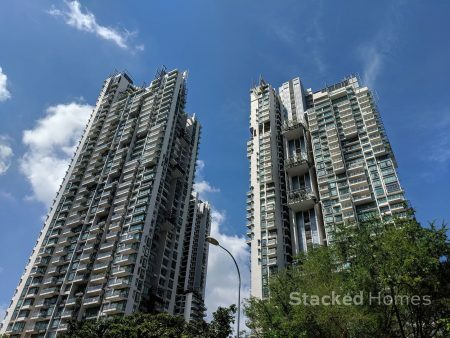 Finally, the third and last part of our en bloc series on freehold homes to stay in now with future en bloc potential. 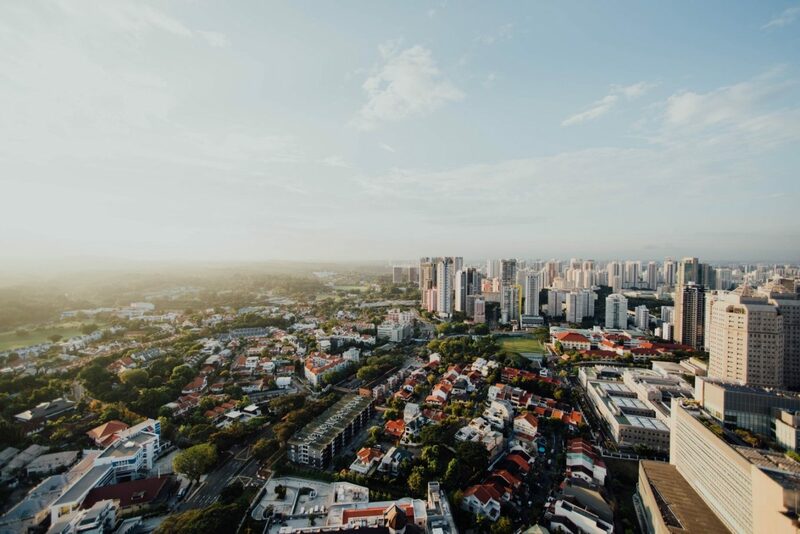 With en bloc sentiment at a new low this year in 2018, and looking likely that it is slowly coming to the end of the en bloc spree, it is now time to look towards other condos with future en bloc potential for the next cycle. If you have not checked it out here, here is Part 1 and Part 2! 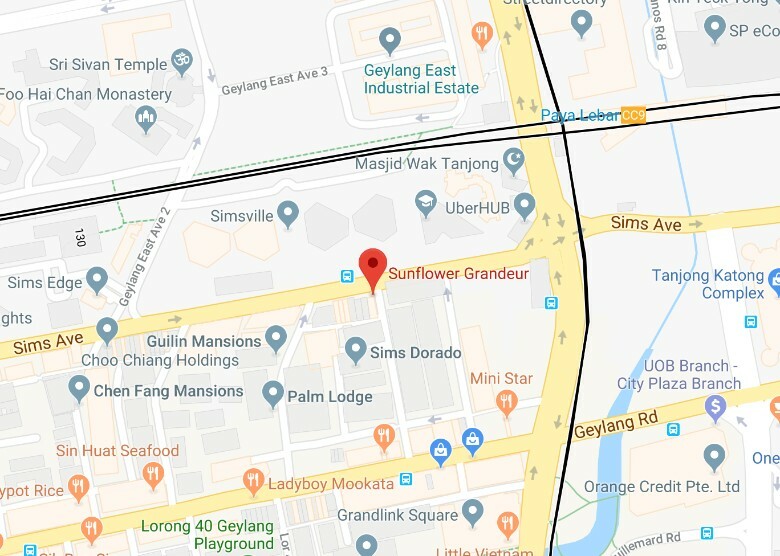 Sunflower Grandeur is a freehold apartment located at Lorong 39 Geylang in District 14. It was built in 2004 and has a total of 32 units. 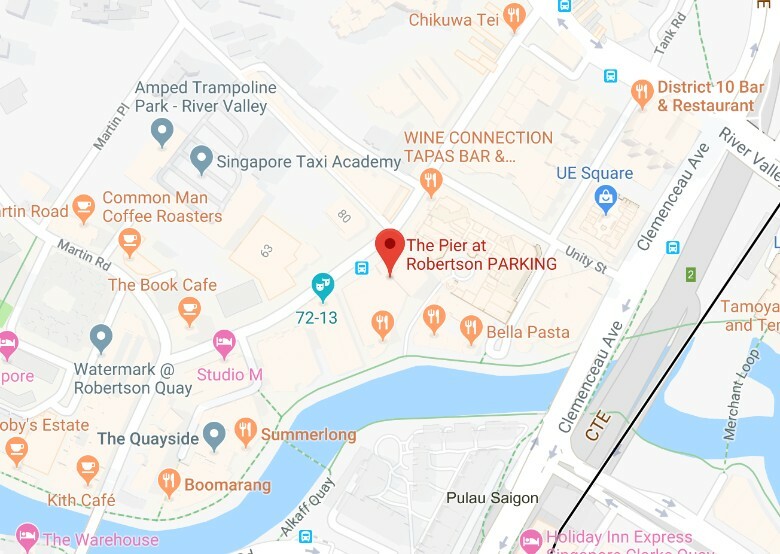 The nearest MRT station is Paya Lebar at about 440m away or a 6 minute walk. If we look at recent transactions, in May 2018 the latest transaction in the development was a 1,033 sq ft unit that changed hands for $1.15 million, or $1,113 PSF. 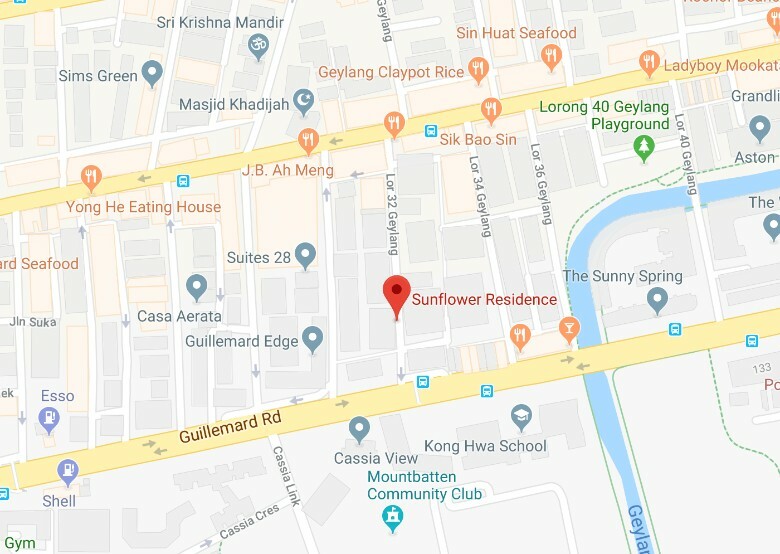 Sunflower Residence is a freehold condominium located at Lorong 32 Geylang in District 14. 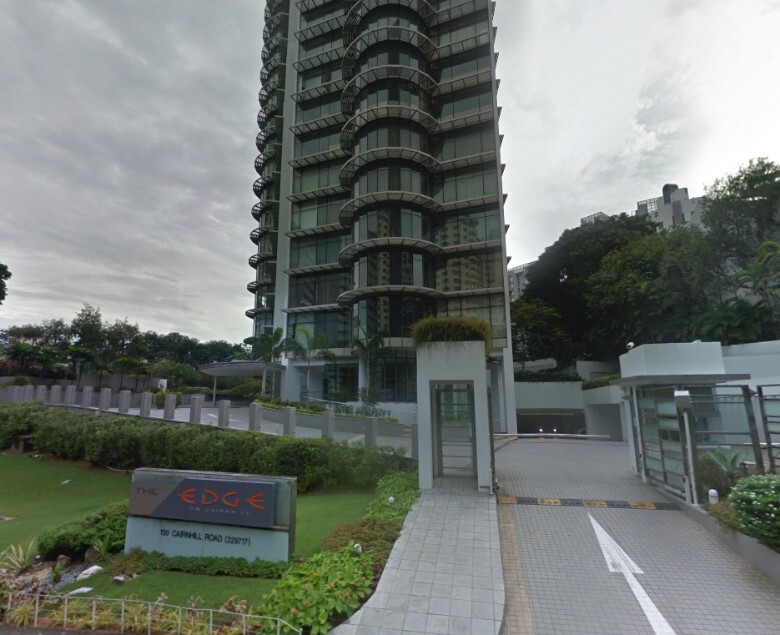 It was completed in 2001 and is located 470m away from Dakota MRT station which is about a 6 minute walk. If we look at recent transactions, in April 2018 the latest transaction in the development was a 1,066 sq ft unit that changed hands for $938,000, or $880 PSF. 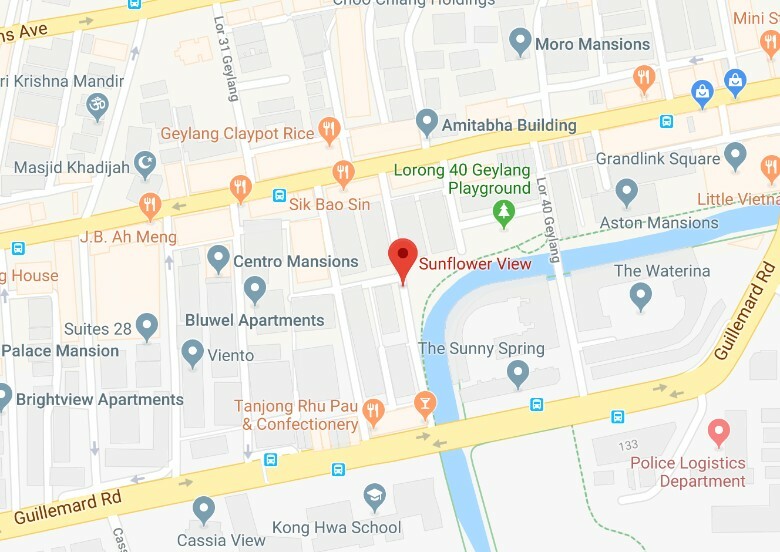 Sunflower View is a freehold condominium located at Lorong 36 Geylang in District 14. It was built in 2002 and has a total of 28 units. 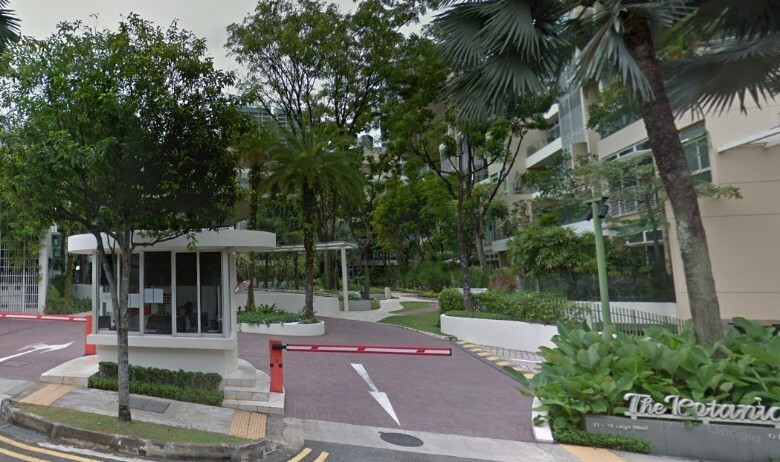 The development is located 500m away from Dakota MRT station which is about a 6 minute walk. If we look at recent transactions, in July 2017 the last transaction in the development was a 1,023 sq ft unit that changed hands for $885,000, or $865 PSF. 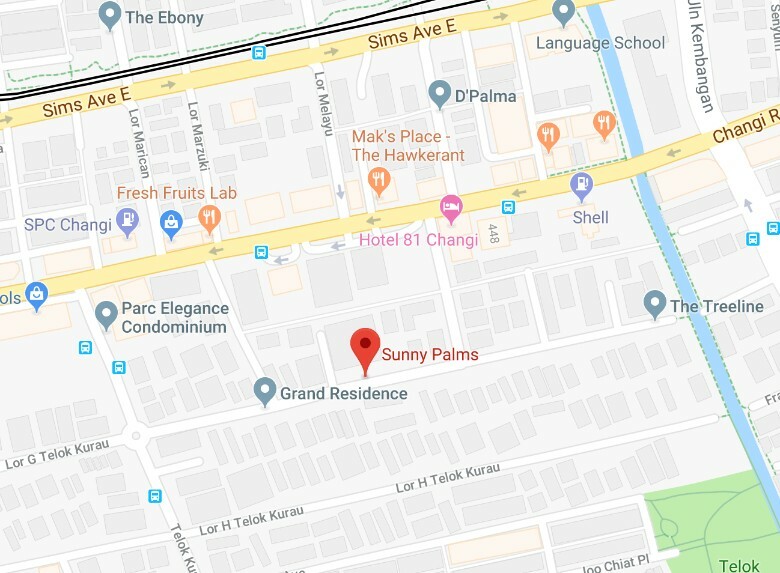 Sunny Palms is a freehold condominium located at Lorong G Telok Kurau in District 15. It was completed in 2004 and has a total of 56 units. 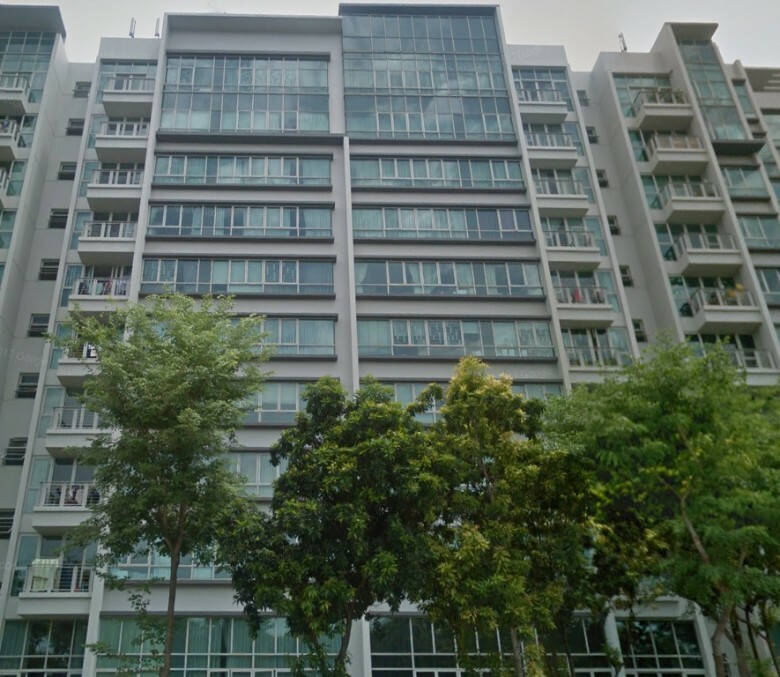 The development is located 420m away from Kembangan MRT station at about a 6 minute walk. If we look at recent transactions, in April 2018 the latest transaction in the development was a 3,649 sq ft unit that changed hands for $2.53 million, or $693 PSF. 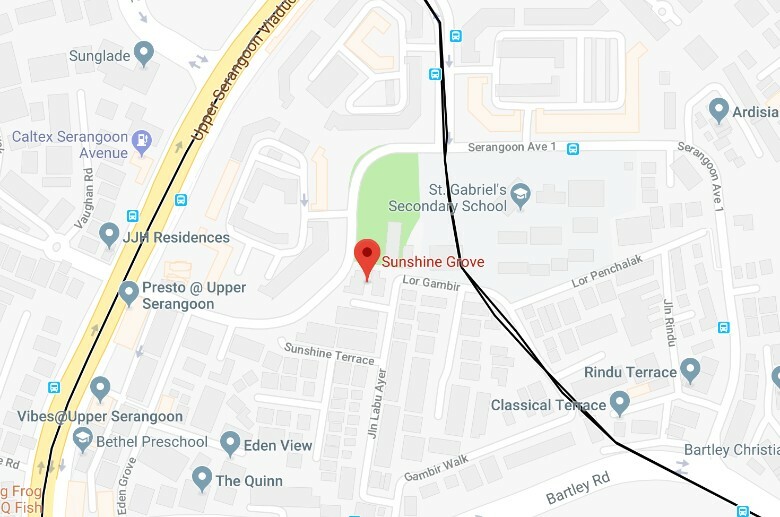 Sunshine Grove is a freehold apartment located at Jalan Labu Merah in District 19. It was completed in 2006 and has a total of 20 units. 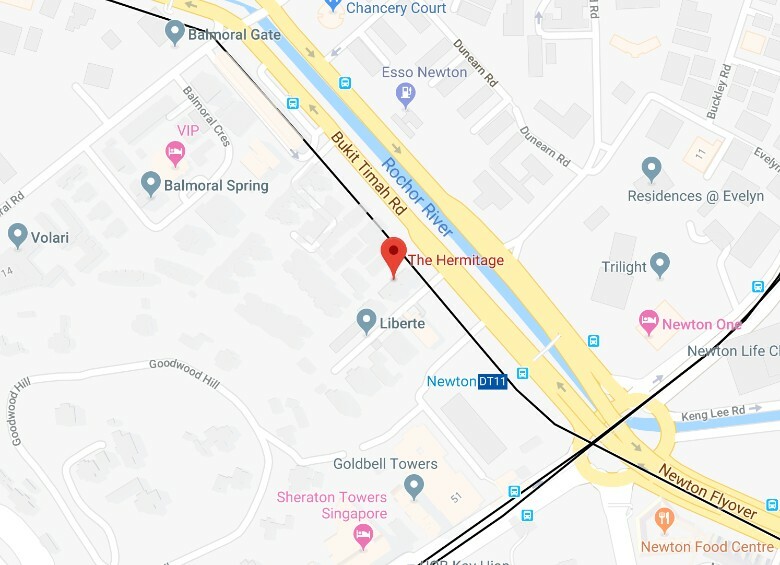 The nearest MRT station is Serangoon at about 350m away or a 5 minute walk. If we look at recent transactions, in July 2016 the latest transaction in the development was a 1,539 sq ft unit that changed hands for $1.36 million, or $884 PSF. 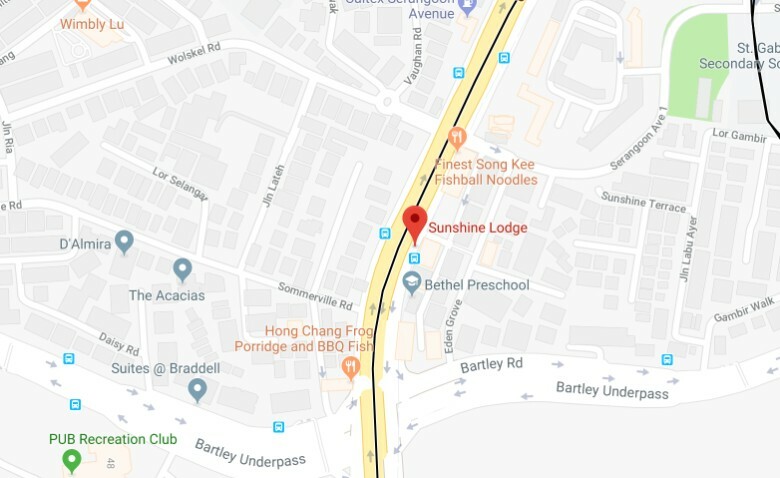 Sunshine Lodge is a freehold condominium that is located at Upper Serangoon Road in District 19. It was built in 1998 and has a total of 30 units. 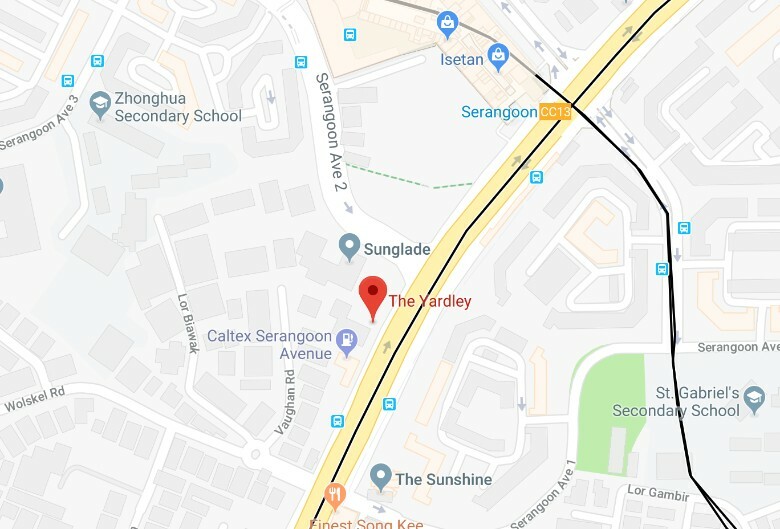 The nearest MRT station is Serangoon at about 500m away, which is about an 8 minute walk. If we look at recent transactions, in July 2016 the last transaction in the development was a 592 sq ft unit that changed hands for $640,000, or $1,081 PSF. 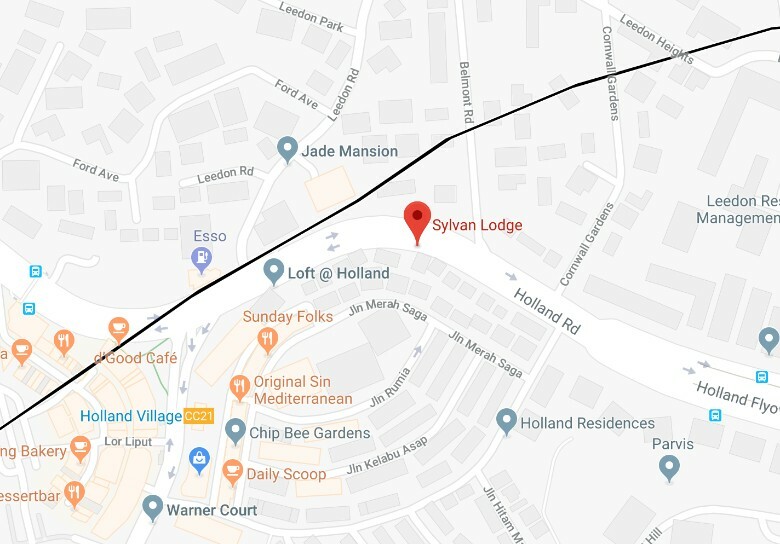 Sylvan Lodge is a freehold apartment located at Holland Road in District 10. It was built in 2006 and has only a total of 6 units. 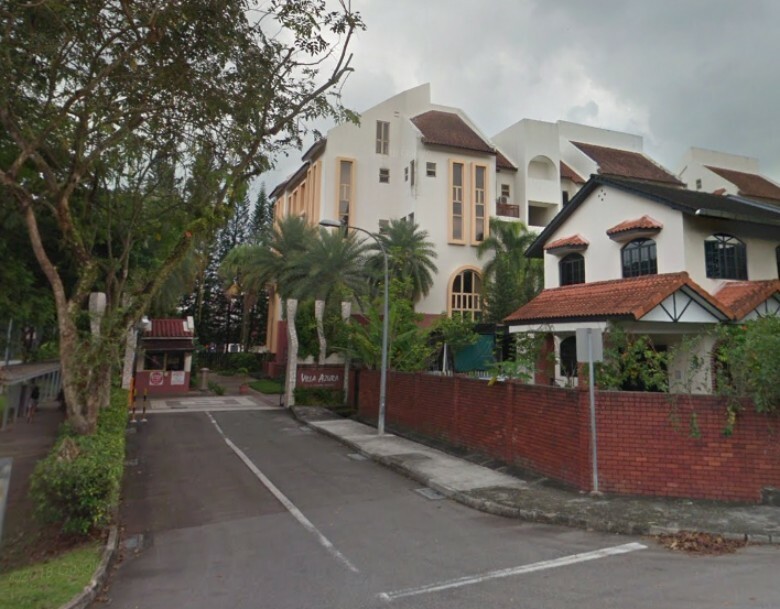 The nearest MRT station is Holland Village at about 300m away which is about a 4 minute walk. If we look at recent transactions, in August 2017 the latest transaction in the development was a 1,658 sq ft unit that changed hands for $1.95 million, or $1,176 PSF. 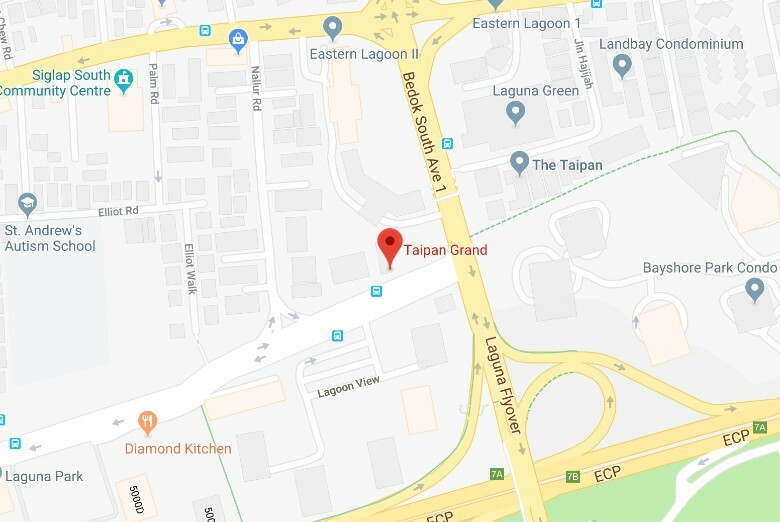 Taipan Grand is a freehold condominium that is located at Marine Parade Road in District 15. It was built in 2005 and has only 16 units. 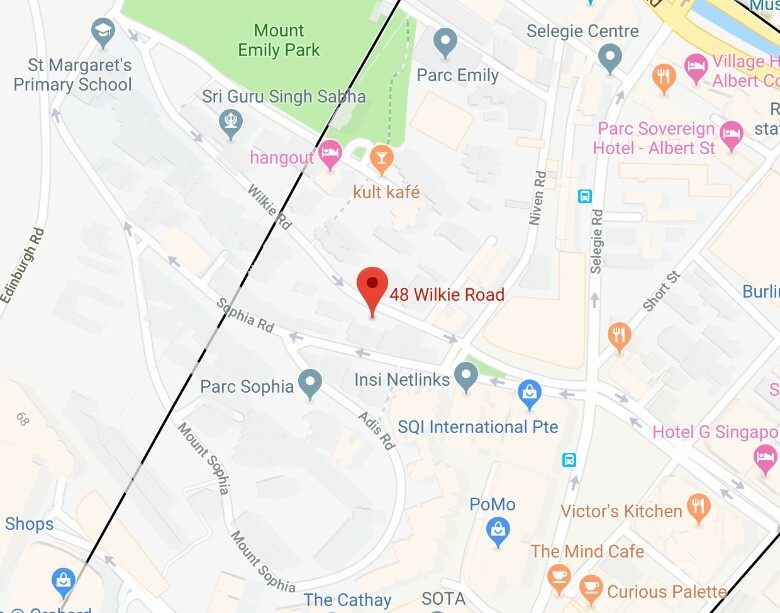 The development is currently located 1.41km away from Bedok MRT station. 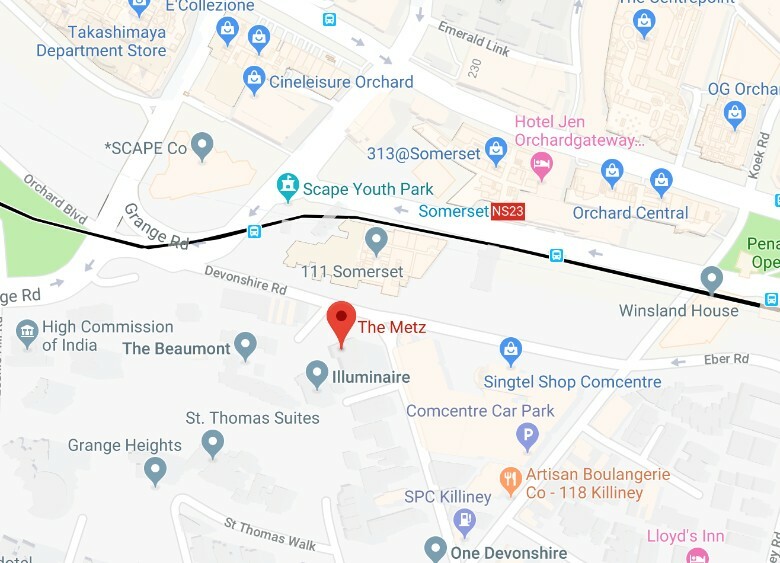 However, when the Thomson-East Coast downtown line is up, Siglap MRT station will be just a short walk away. If we look at recent transactions, in March 2018 the latest transaction in the development was a 1,227 sq ft unit that changed hands for $1.7 million, or $1,385 PSF. 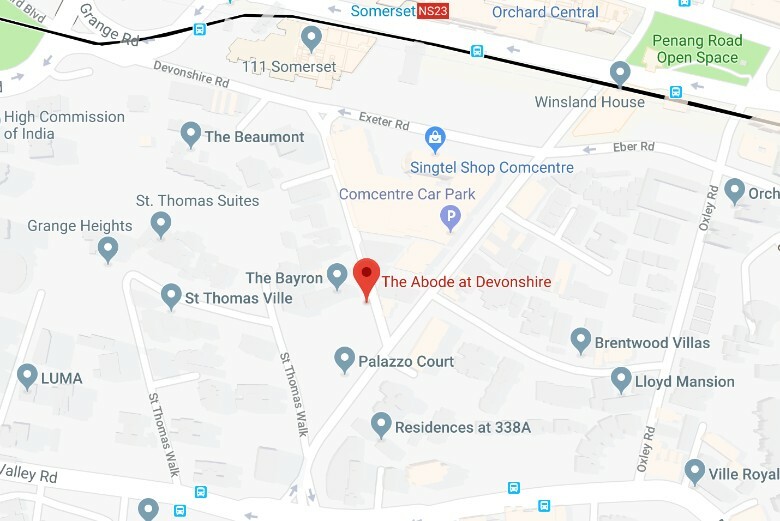 The Abode at Devonshire is a freehold condominium that is located at Devonshire Road in District 9. It was built in 2002 and has a total of 26 units. 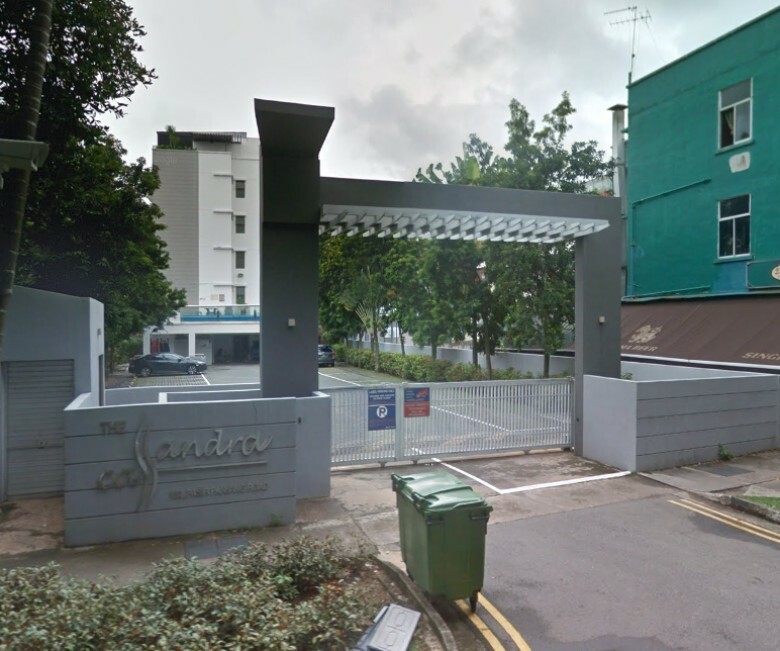 The development is situated 310m away from Somerset MRT station which is about a 5 minute walk. If we look at recent transactions, in June 2018 the latest transaction in the development was a 1,119 sq ft unit that changed hands for $2.08 million, or $1,865 PSF. 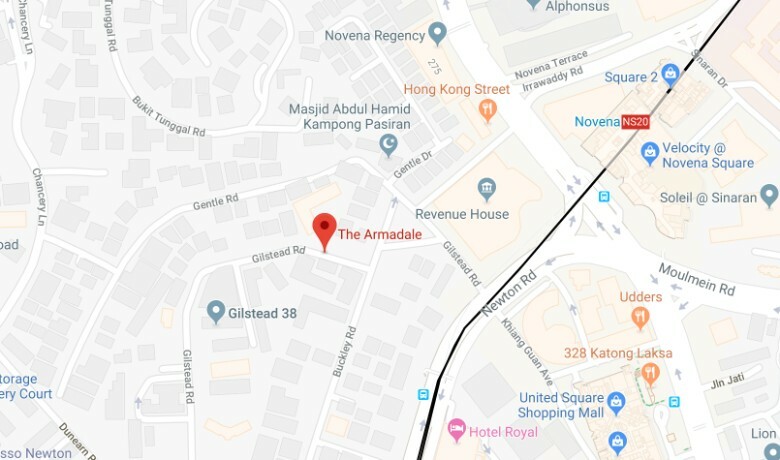 The Armadale is a freehold condominium that is located at Gilstead Road in District 11. It was built in 2000 and has a total of 75 units. 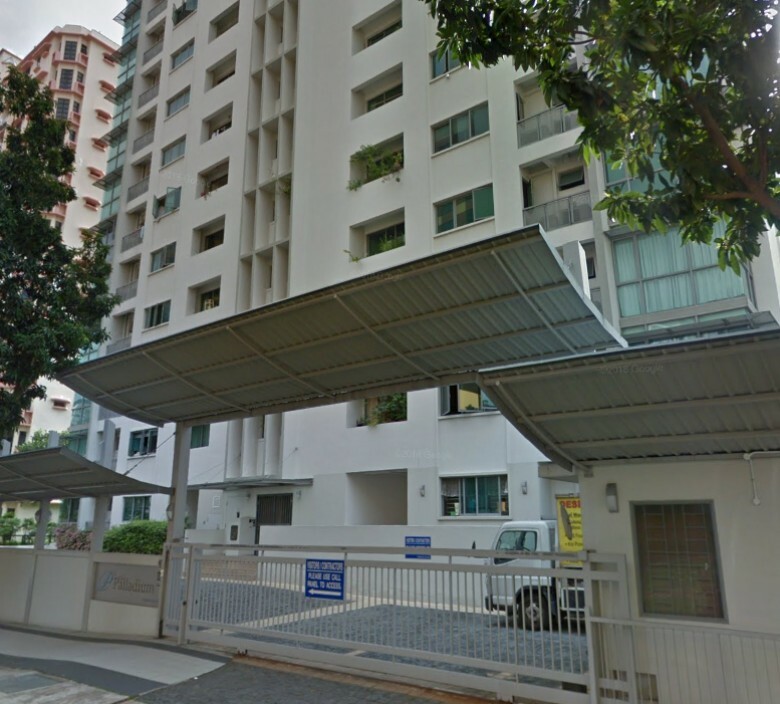 The development is situated 400m away from Novena MRT station which is about a 7 minute walk. If we look at recent transactions, in April 2018 the latest transaction in the development was a 1,991 sq ft unit that changed hands for $2.06 million, or $1,034 PSF. 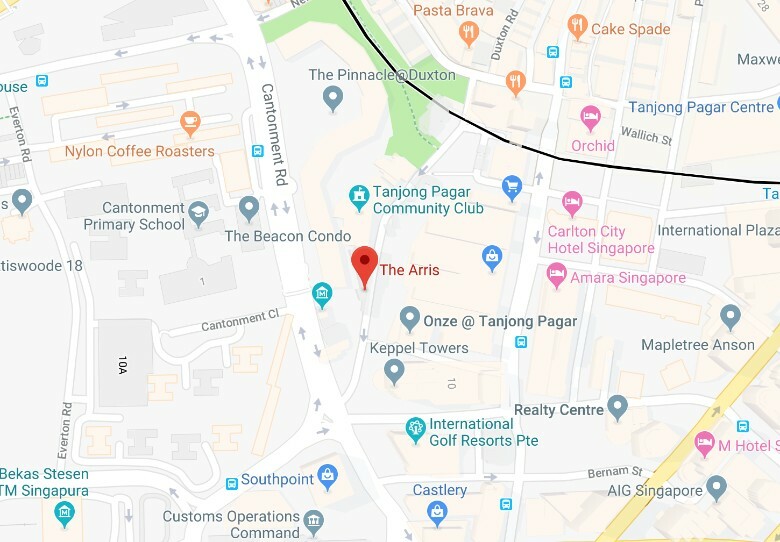 The Arris is a freehold apartment that is located at Yan Kit Road in District 2. It was built in 2003 and has a total of 63 units. 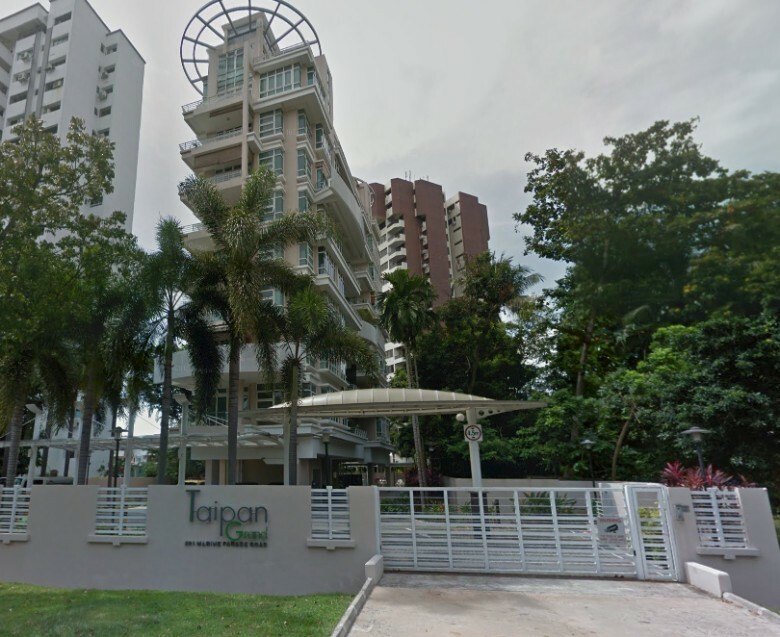 The development is situated 500m away from Tanjong Pagar MRT station, which is about a 7 minute walk. If we look at recent transactions, in June 2018 the latest transaction in the development was a 915 sq ft unit that changed hands for $1.75 million, or $1,913 PSF. 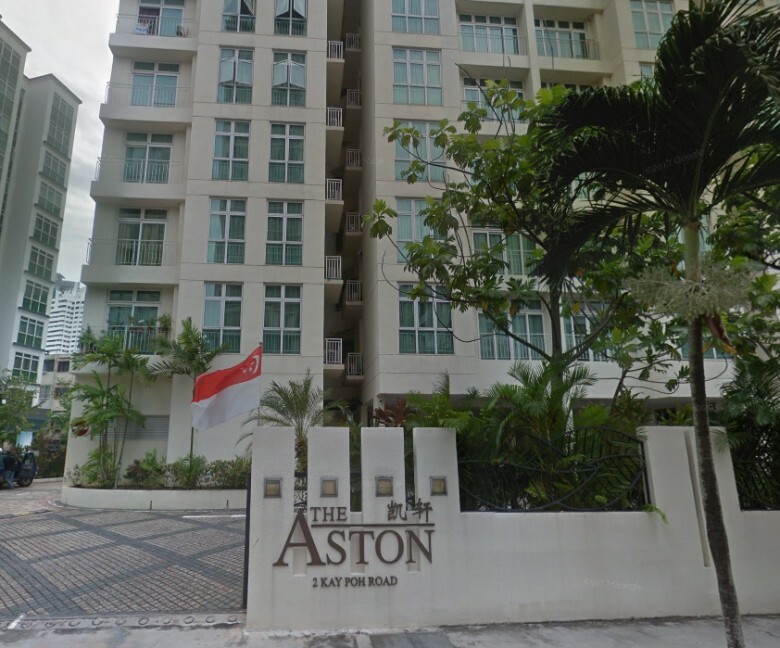 The Aston is a freehold condominium that is located at Kay Poh Road in District 10. It was built in 2002 and has a total of 80 units. 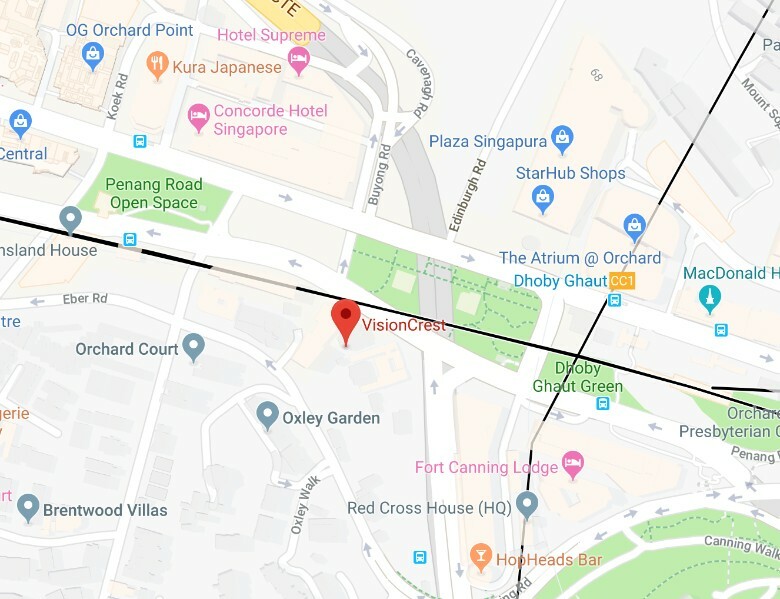 The development is currently located 870m away from Orchard MRT station. However, when the Thomson-East Coast downtown line is up, Great World MRT station will be just a short walk away. If we look at recent transactions, in June 2018 the latest transaction in the development was a 1,109 sq ft unit that changed hands for $1.66 million, or $1,497 PSF. 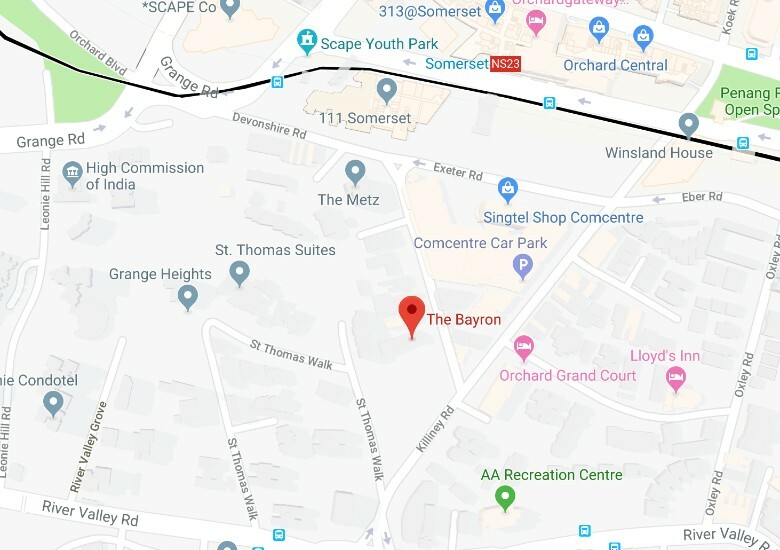 The Bayron is a freehold condominium that is located at St Thomas Walk in District 9. It was built in 1998 and has a total of 96 units. 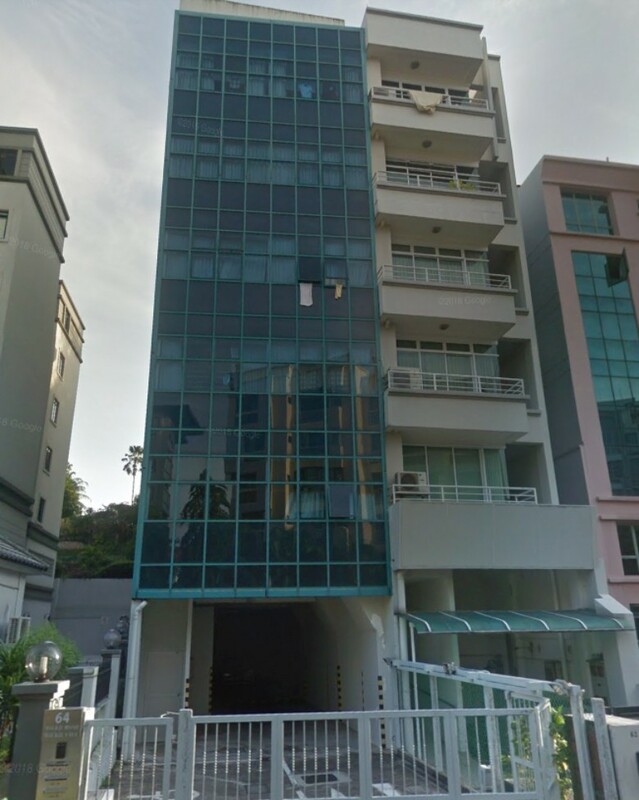 The development is situated 400m away from Somerset MRT station, which is about a 5 minute walk. 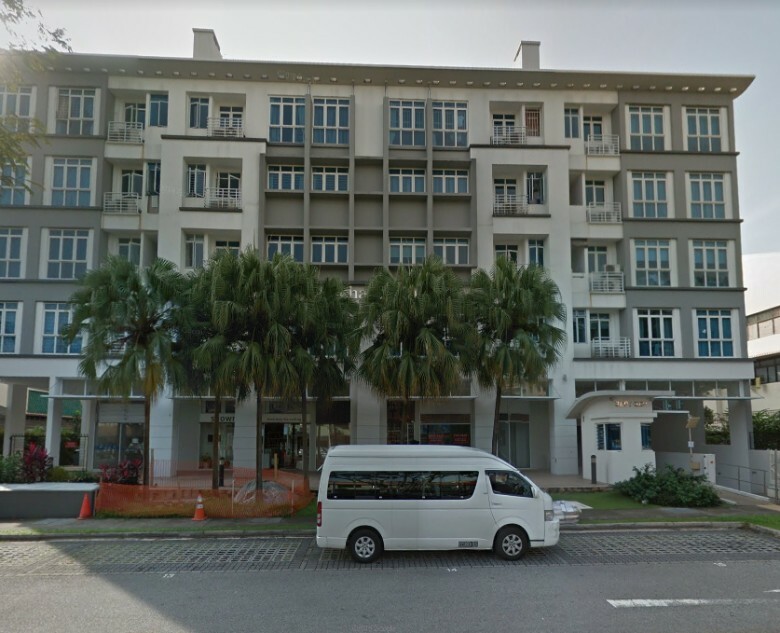 The Botanic on Lloyd is a freehold condominium that is located at Lloyd Road in District 9. It was built in 2006 and has a total of 66 units. 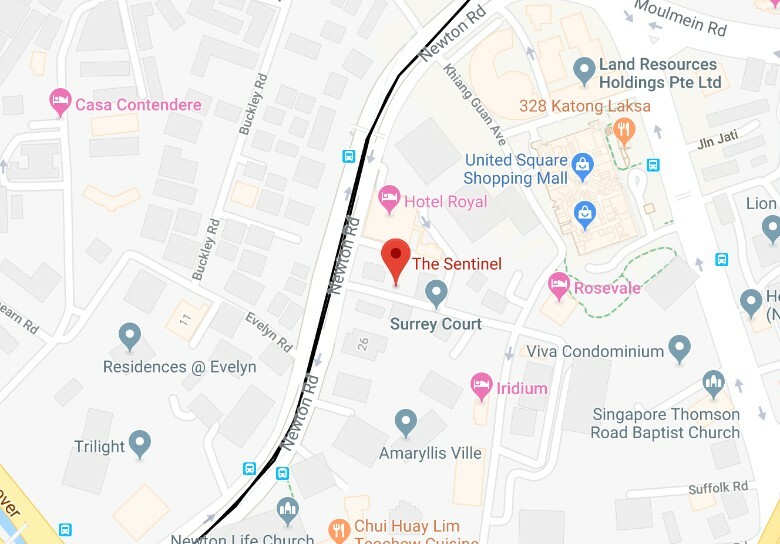 The development is situated 500m away from Somerset MRT station, which is about a 7 minute walk. If we look at recent transactions, in May 2018 the latest transaction in the development was a 2,594 sq ft unit that changed hands for $5.1 million, or $1,966 PSF. 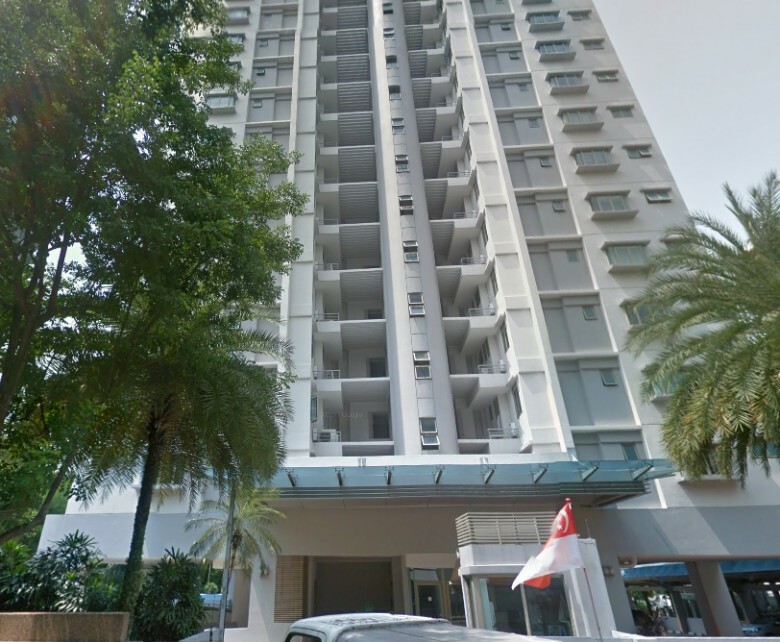 The Boulevard Residence is a freehold condominium that is located at Cuscaden Walk in District 9. It was built in 2005 and has a total of 46 units. 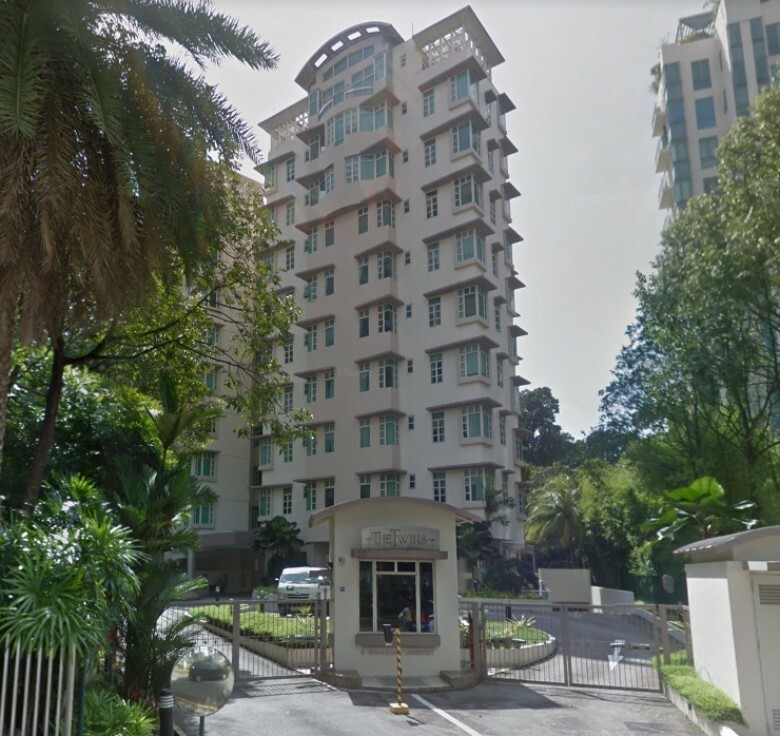 The development is situated 500m away from Tanjong Pagar MRT station, which is about a 7 minute walk. If we look at recent transactions, in May 2018 the latest transaction in the development was a 7,072 sq ft unit that changed hands for $15.8 million, or $2,234 PSF. 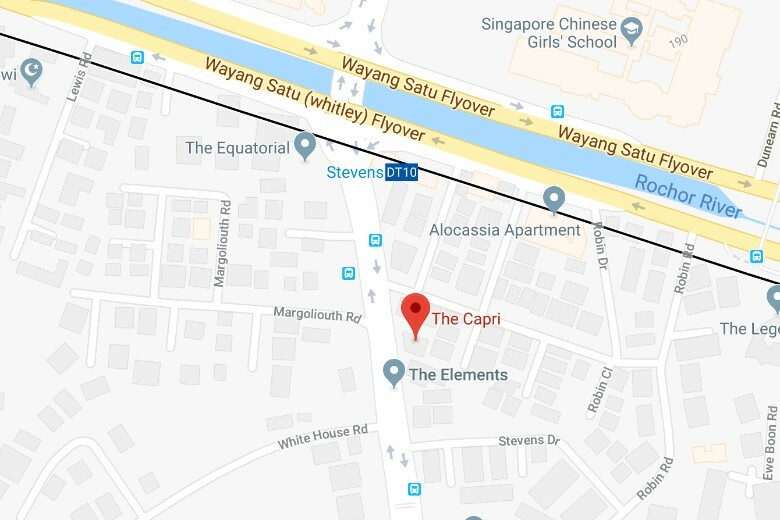 The Calypso is a freehold condominium that is located at Upper East Coast Road in District 16. It was built in 2005 and has a total of 30 units. 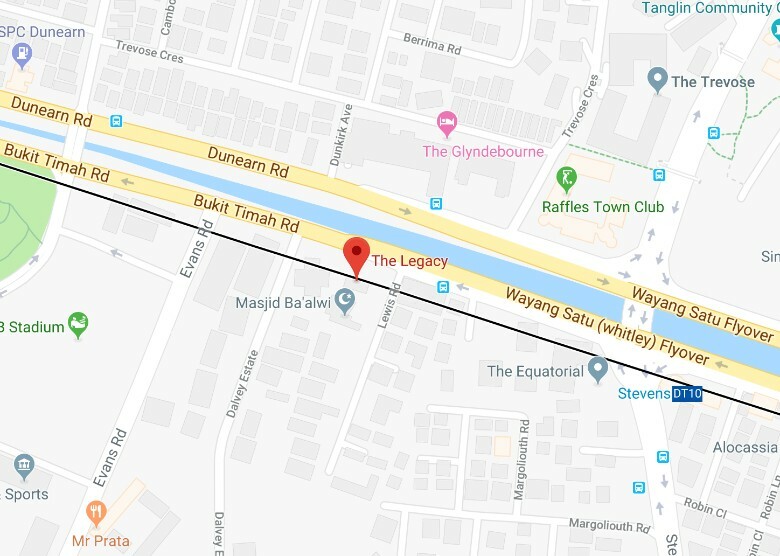 The development is currently located 1.41km away from Tanah Merah MRT station. However, when the Thomson-East Coast downtown line is up, Bayshore MRT station will be just a short walk away. If we look at recent transactions, in April 2018 the last transaction in the development was a 1,324 sq ft unit that changed hands for $1.36 million, or $1,027 PSF. 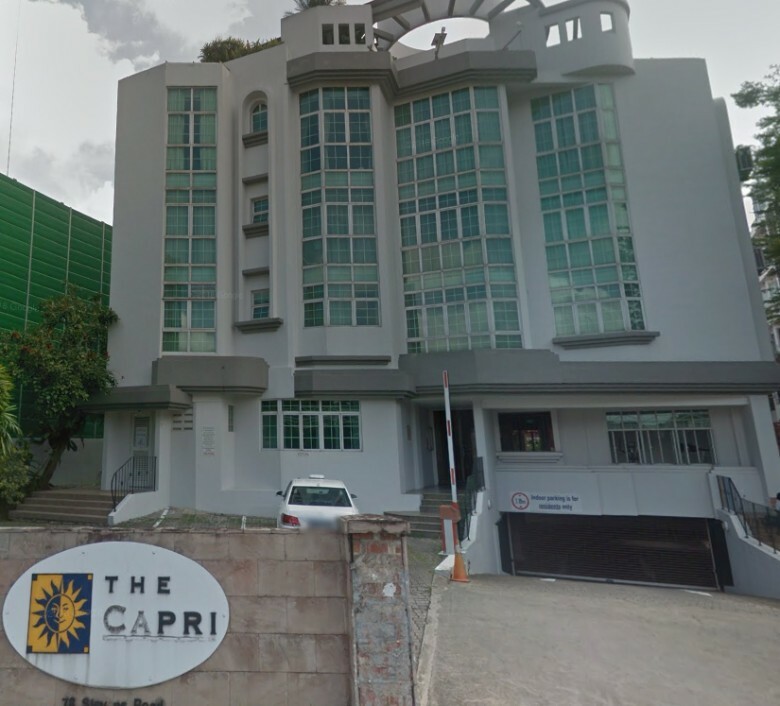 The Capri is a freehold apartment that is located at Stevens Road in District 10. It was built in 1998 and has a total of 18 units. 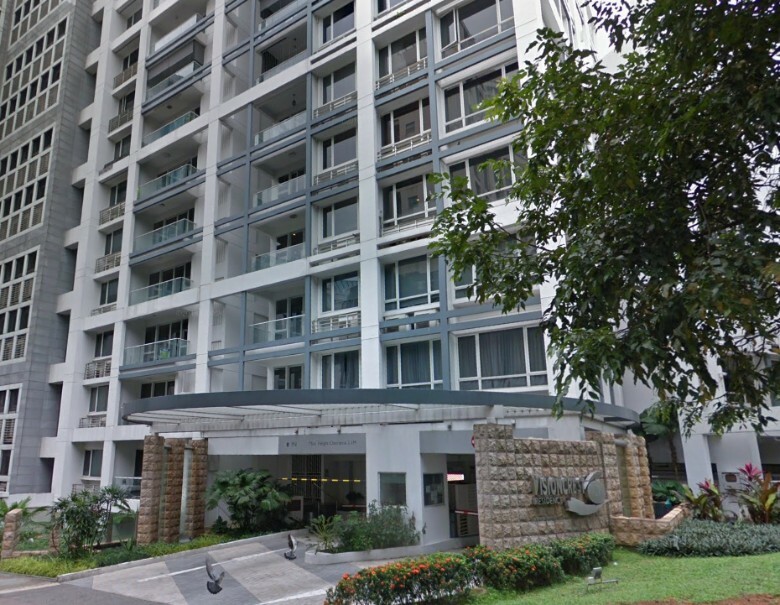 The development is situated 200m away from Stevens MRT station, which is about a 3 minute walk. If we look at recent transactions, in August 2016 the last transaction in the development was a 764 sq ft unit that changed hands for $1.2 million, or $1,570 PSF. 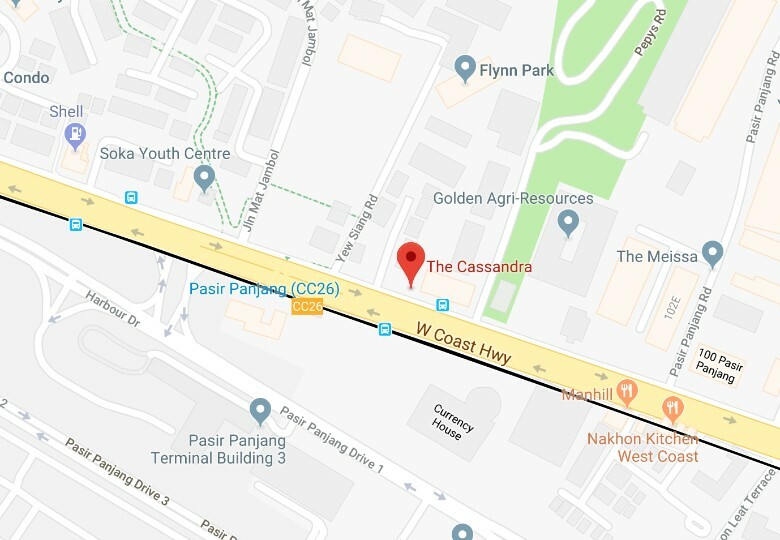 The Cassandra is a freehold apartment that is located at Pasir Panjang Road in District 5. It was built in 2006 and has a total of 20 units. 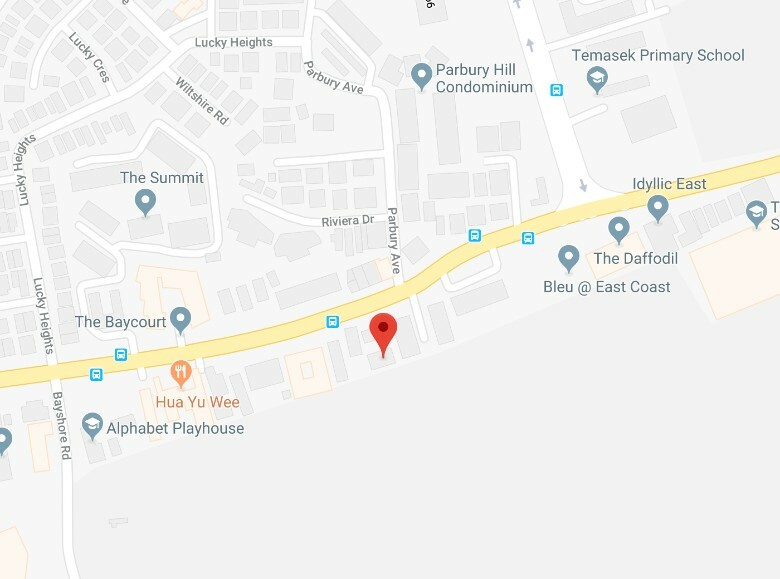 The development is situated 160m away from Pasir Panjang MRT station, which is about a 2 minute walk. 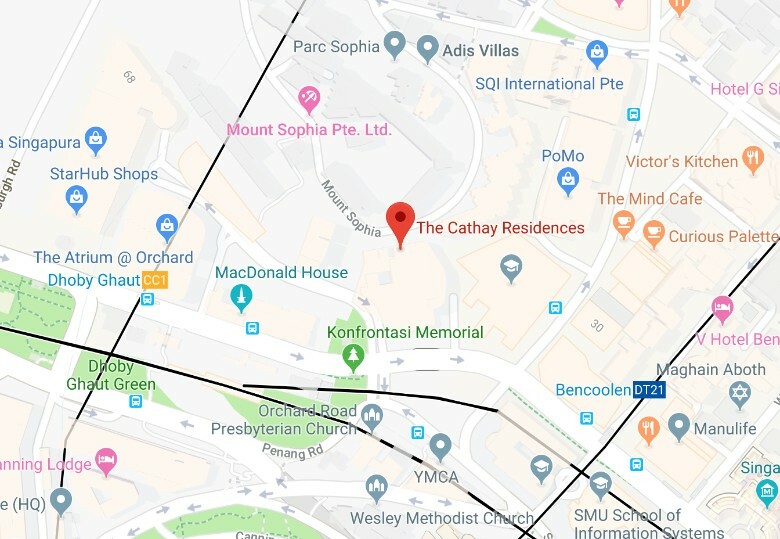 The Cathay Residences is a freehold apartment that is located at Mount Sophia Road in District 9. It was built in 2007 and has a total of 76 units. The development is situated 300m away from Dhoby Ghaut MRT station, which is about a 4 minute walk. 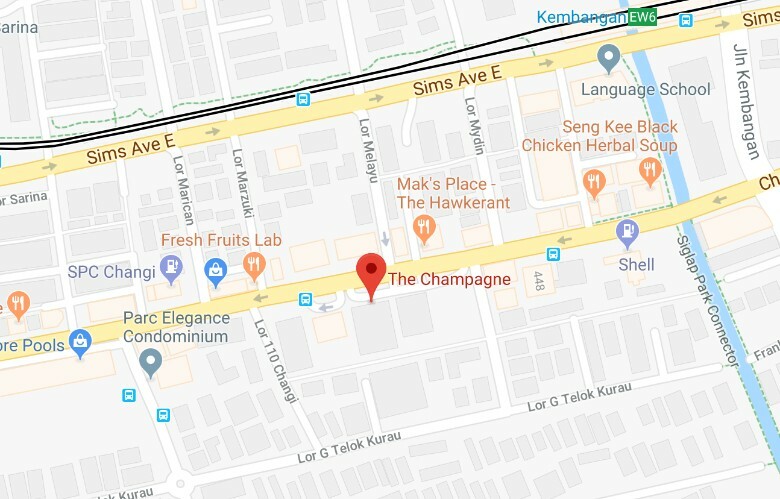 The Champagne is a freehold apartment that is located at Changi Road in District 14. It was built in 2004 and has a total of 46 units. 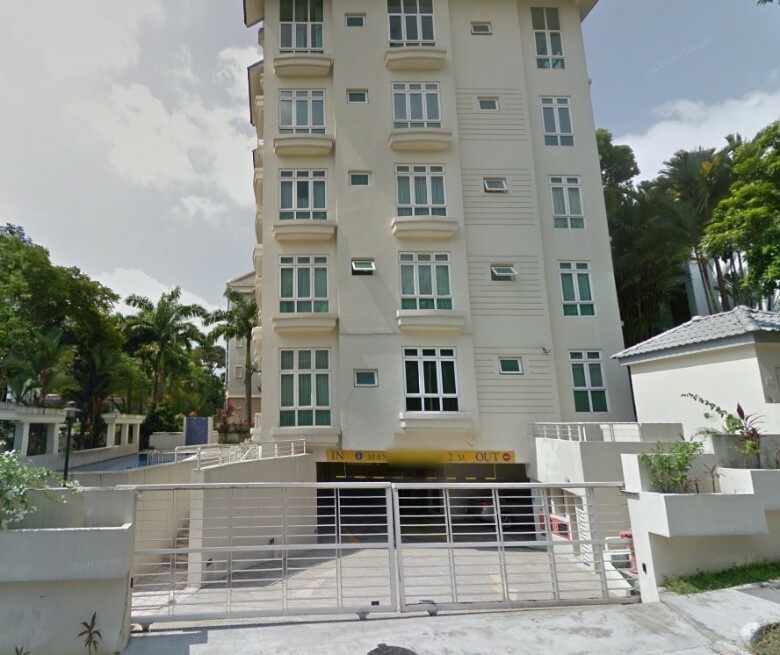 The development is situated 500m away from Kembangan MRT station, which is about a 7 minute walk. If we look at recent transactions, in May 2018 the latest transaction in the development was a 1,109 sq ft unit that changed hands for $1.13 million, or $1,019 PSF. 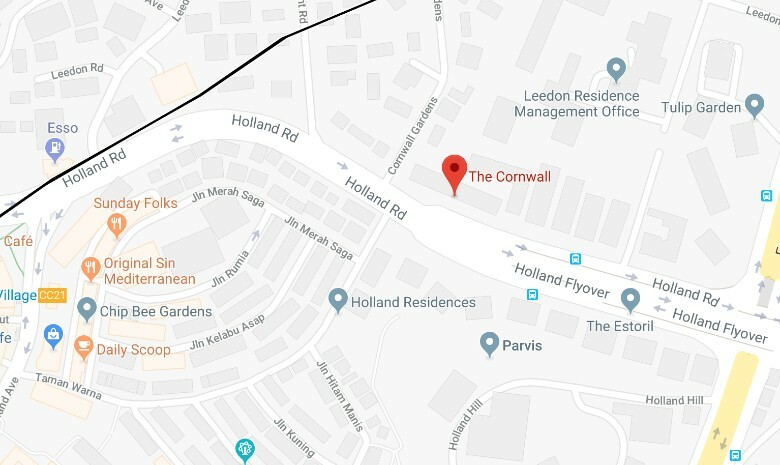 The Cornwall is a freehold condominium that is located at Cornwall Gardens in District 10. It was built in 2005 and has a total of 99 units. 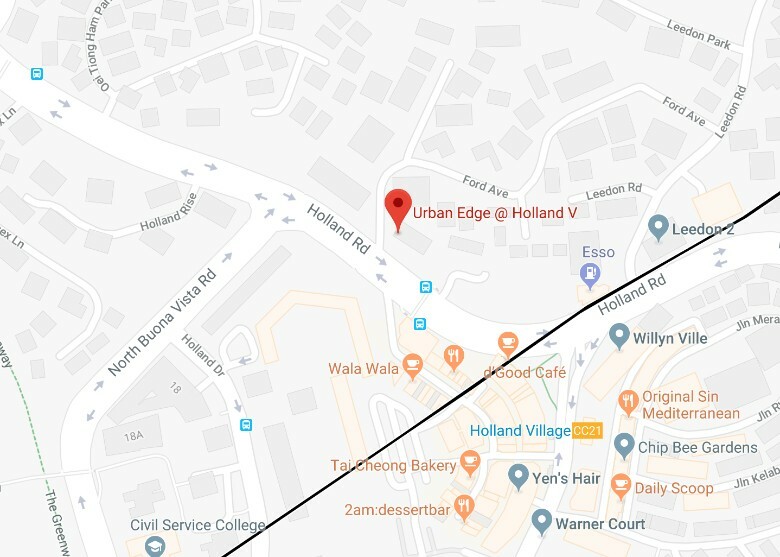 The development is situated 500m away from Holland Village MRT station, which is about a 7 minute walk. If we look at recent transactions, in July 2018 the latest transaction in the development was a 657 sq ft unit that changed hands for $1.23 million, or $1,873 PSF. 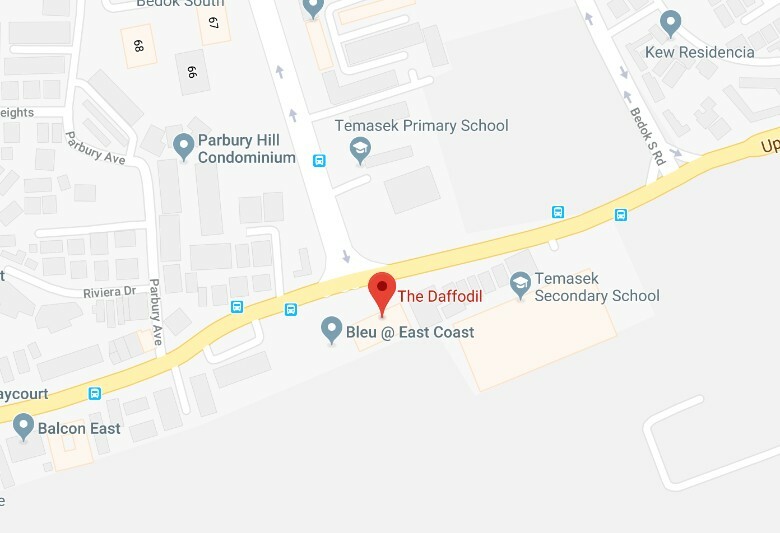 The Daffodil is a freehold apartment that is located at Upper East Coast Road in District 16. It was built in 1999 and has a total of 65 units. 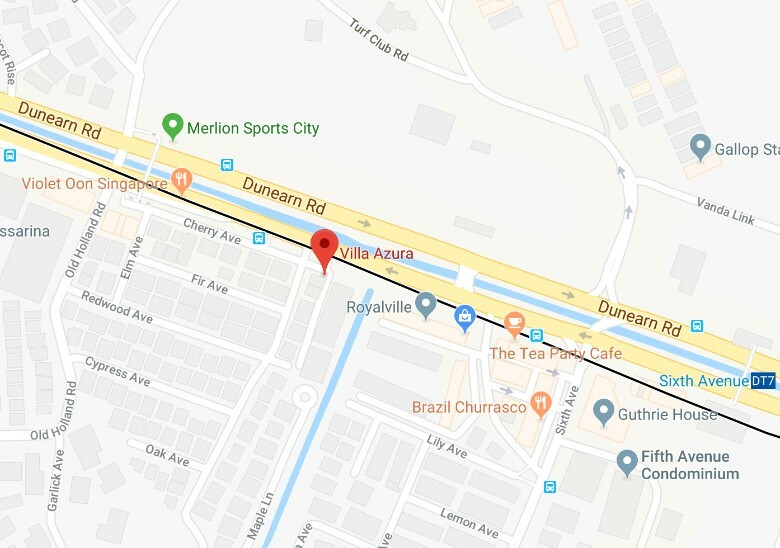 The development is currently located 1.21km away from Tanah Merah MRT station. However, when the Thomson-East Coast downtown line is up, Bedok South MRT station will be just a short walk away. If we look at recent transactions, in June 2018 the latest transaction in the development was a 753 sq ft unit that changed hands for $900,000, or $1,194 PSF. 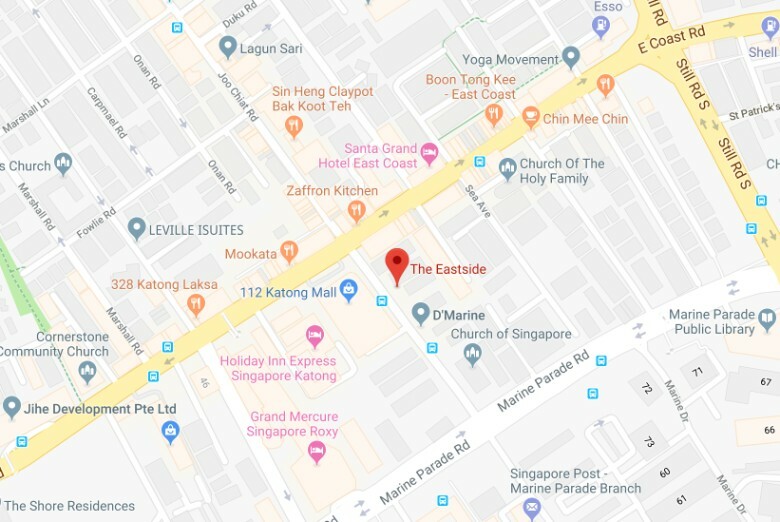 The Eastside is a freehold condominium that is located at Joo Chiat Road in District 15. It was built in 2006 and has a total of 32 units. 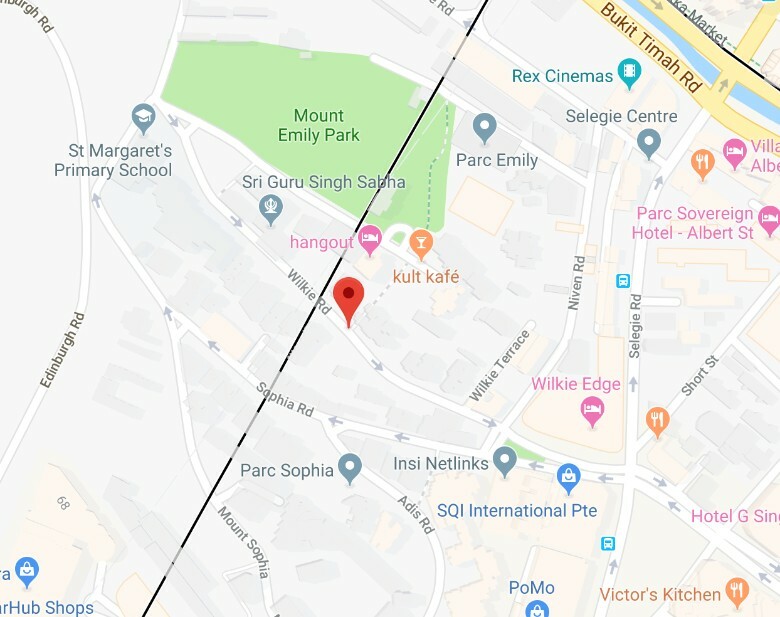 The development is currently located 1.59km away from Eunos MRT station. However, when the Thomson-East Coast downtown line is up, Marine Parade MRT station will be just a short walk away. If we look at recent transactions, in May 2018 the latest transaction in the development was a 1,206 sq ft unit that changed hands for $1.86 million, or $1,543 PSF. 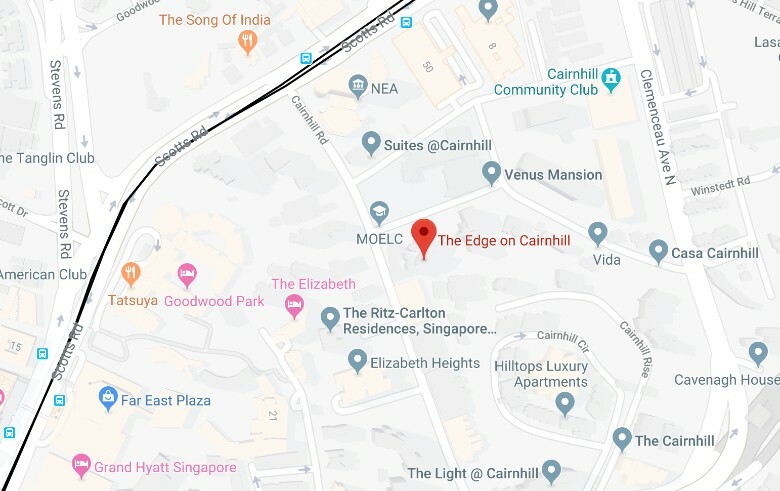 The Edge on Cairnhill is a freehold condominium that is located at Cairnhill Road in District 9. It was built in 2003 and has a total of 46 units. 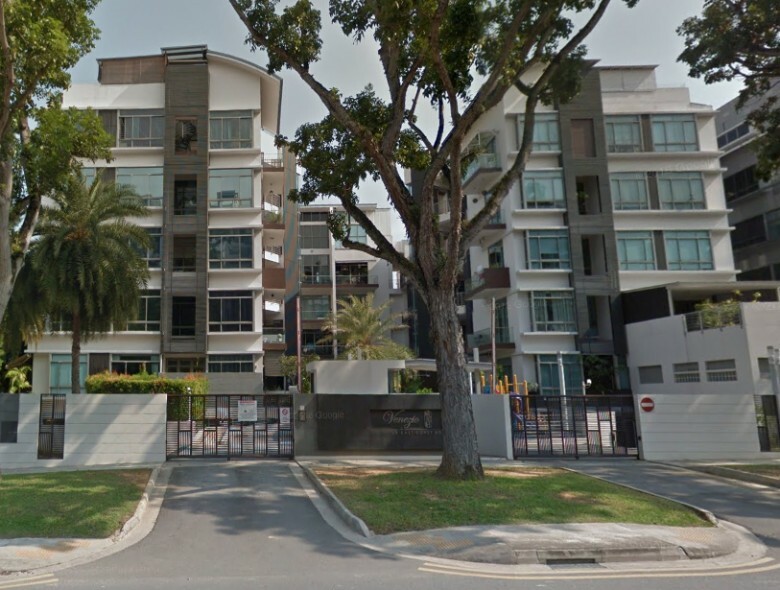 The development is situated 500m away from Newton MRT station, which is about a 7 minute walk. If we look at recent transactions, in May 2018 the latest transaction in the development was a 2,142 sq ft unit that changed hands for $3.68 million, or $1,718 PSF. 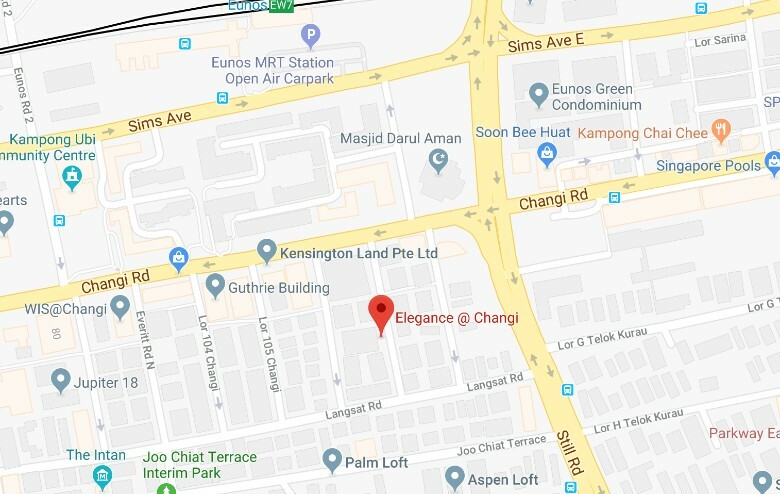 The Elegance at Changi is a freehold condominium that is located at Lorong 107 Changi in District 15. It was built in 2006 and has a total of 26 units. 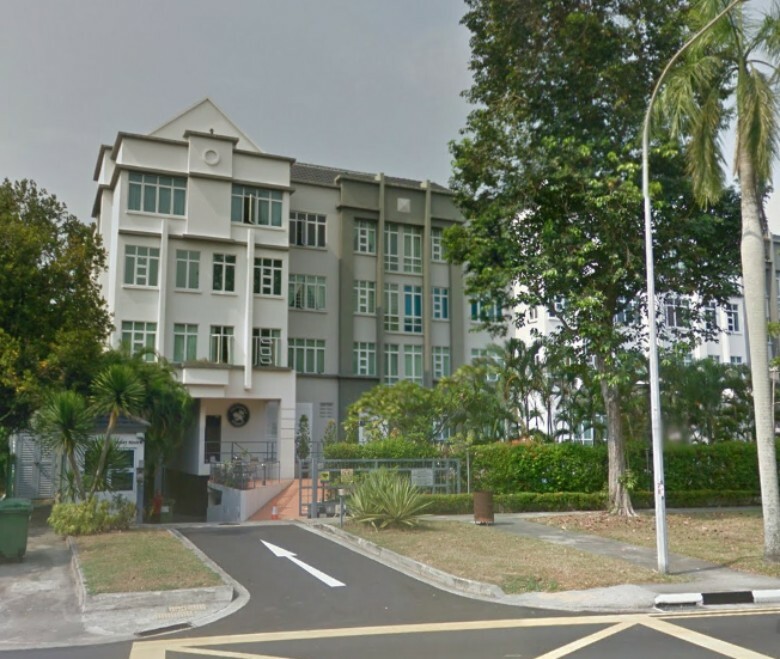 The development is situated 400m away from Eunos MRT station, which is about a 6 minute walk. If we look at recent transactions, in March 2018 the latest transaction in the development was a 1,012 sq ft unit that changed hands for $1.06 million, or $1,048 PSF. 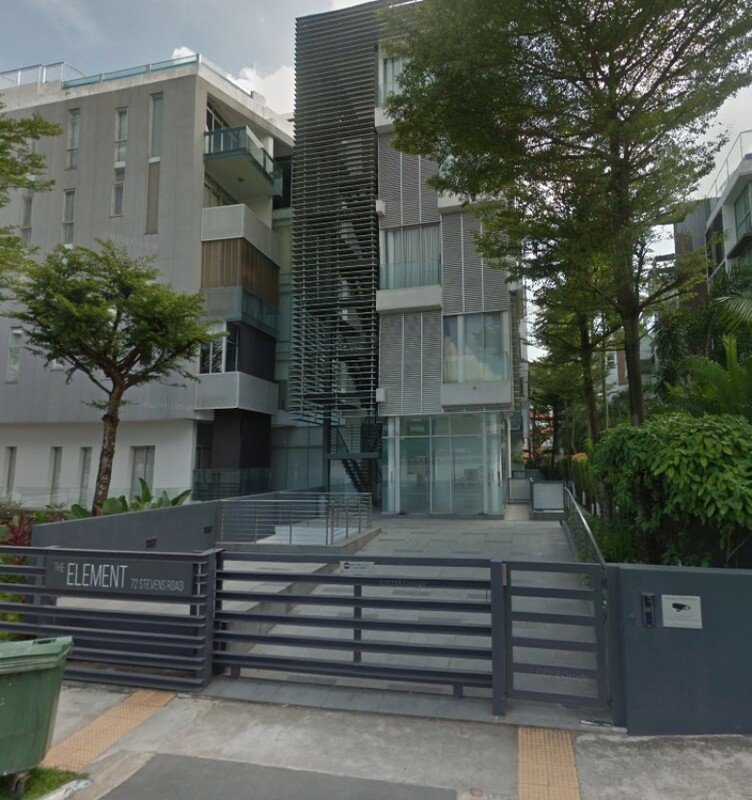 The Element at Stevens is a freehold condominium that is located at Stevens Road in District 10. It was built in 2007 and has a total of only 17 units. 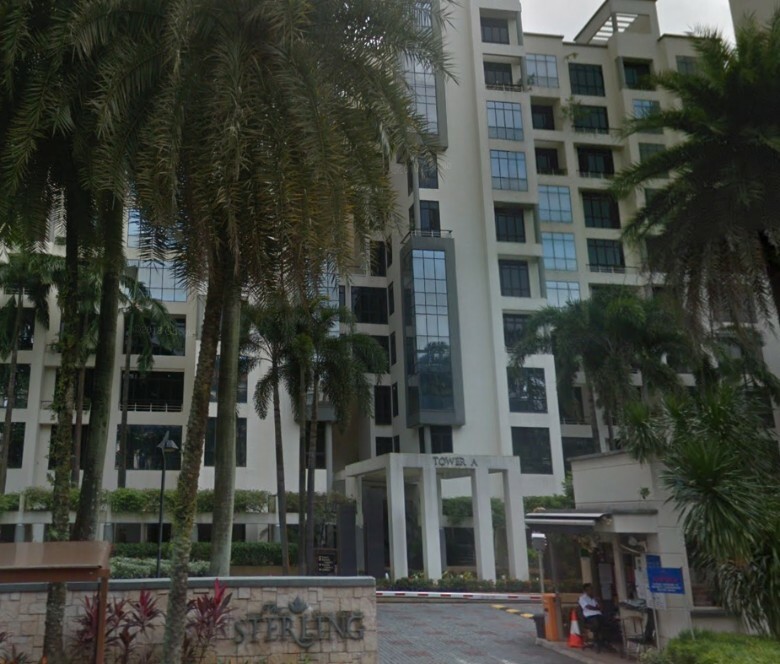 The development is situated 300m away from Stevens MRT station, which is about a 4 minute walk. If we look at recent transactions, in June 2018 the latest transaction in the development was a 1,389 sq ft unit that changed hands for $2.3 million, or $1,656 PSF. 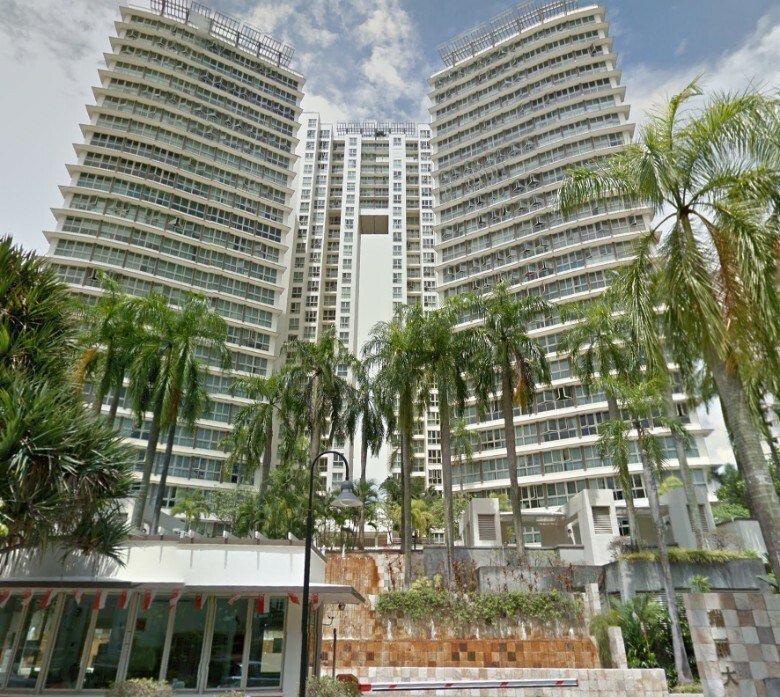 The Equatorial is a freehold condominium that is located at Stevens Road in District 10. It was built in 2002 and has a total of 95 units. 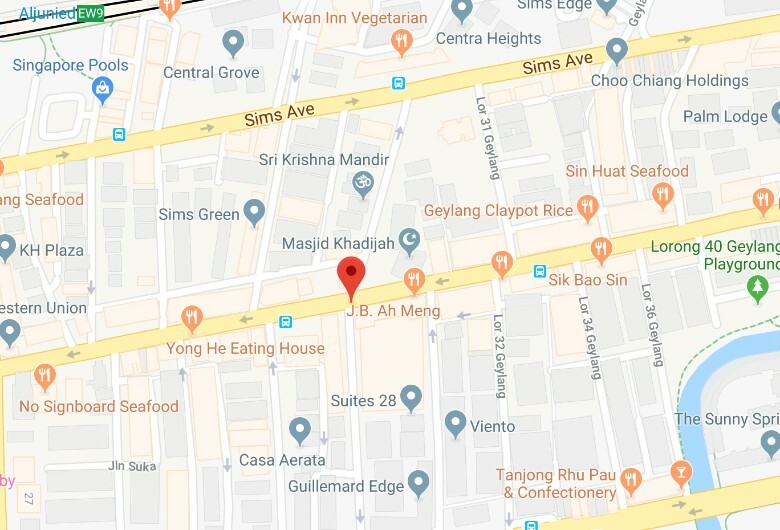 The development is situated directly opposite Stevens MRT station, which is less than a minute walk. If we look at recent transactions, in June 2018 the latest transaction in the development was a 1,722 sq ft unit that changed hands for $3.01 million, or $1,749 PSF. 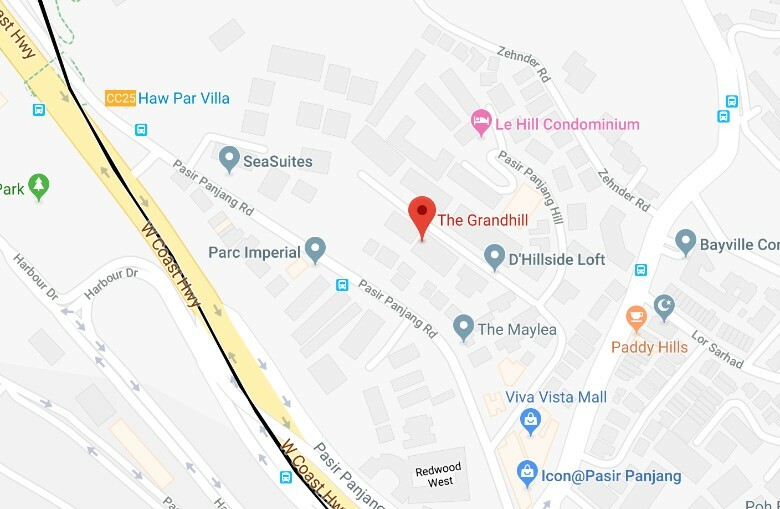 The Grandhill is a freehold condominium that is located at Pasir Panjang Hill in District 5. It was built in 2007 and has a total of 53 units. 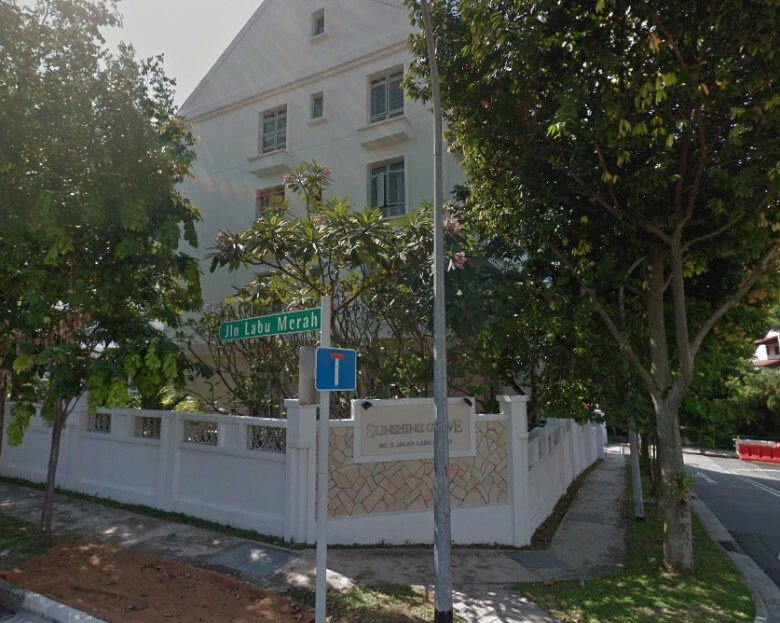 The development is situated 300m away from Haw Par Villa MRT station, which is about a 5 minute walk. If we look at recent transactions, in June 2018 the latest transaction in the development was a 1,259 sq ft unit that changed hands for $1.71 million, or $1,360 PSF. 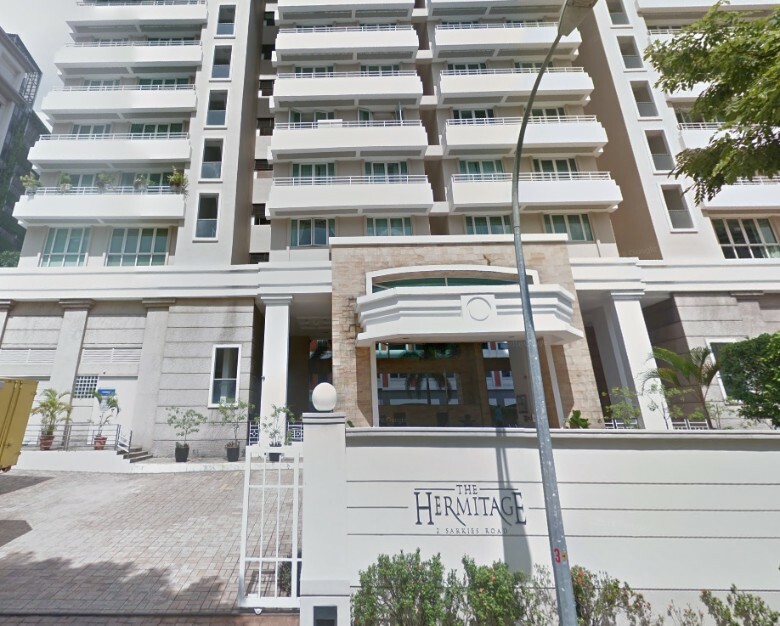 The Hermitage is a freehold apartment that is located at Sarkies Road in District 10. It was built in 1999 and has a total of 32 units. 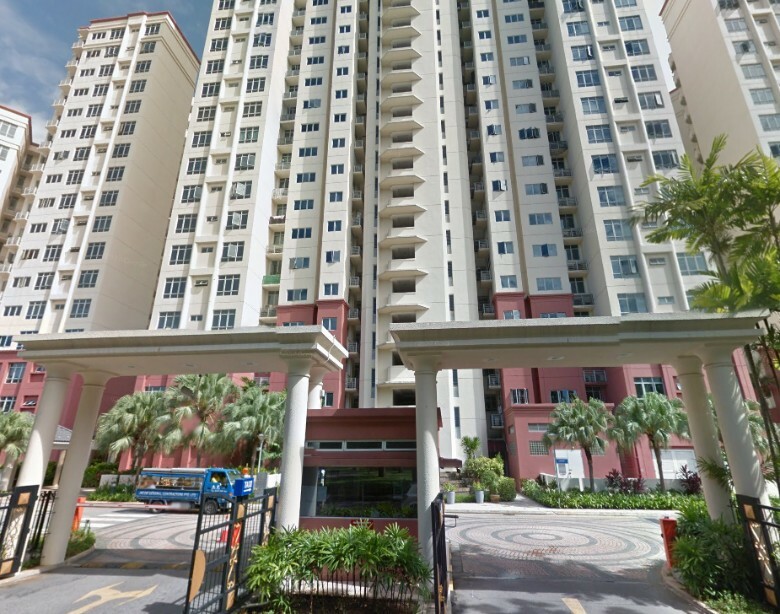 The development is situated 200m away from Newton MRT station, which is about a 3 minute walk. If we look at recent transactions, in July 2017 the latest transaction in the development was a 850 sq ft unit that changed hands for $1.42 million, or $1,670 PSF. 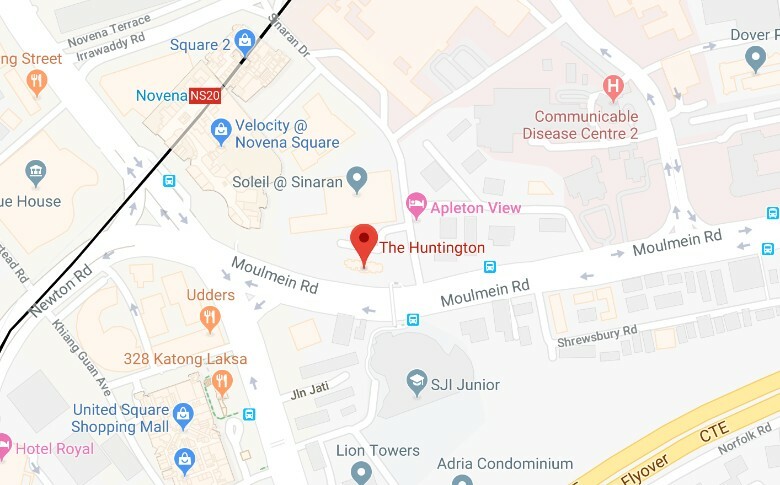 The Huntington is a freehold condominium that is located at Moulmein Road in District 11. It was built in 2000 and has a total of 42 units. 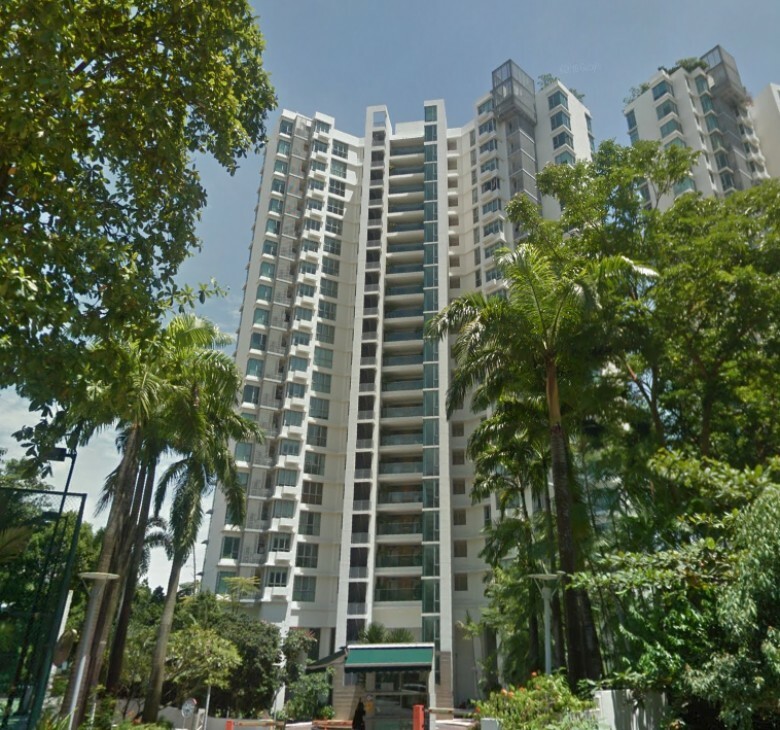 The development is situated 300m away from Newton MRT station, which is about a 4 minute walk. 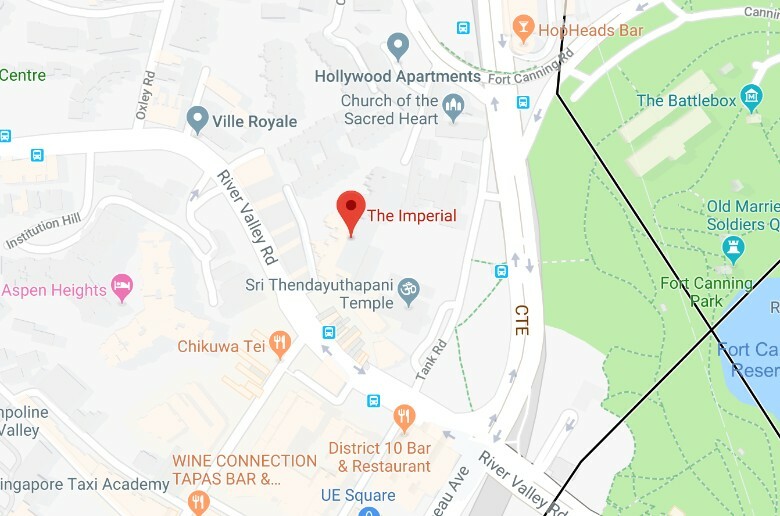 The Imperial is a freehold condominium that is located at Jalan Rumbia in District 9. It was built in 2006 and has a total of 187 units. 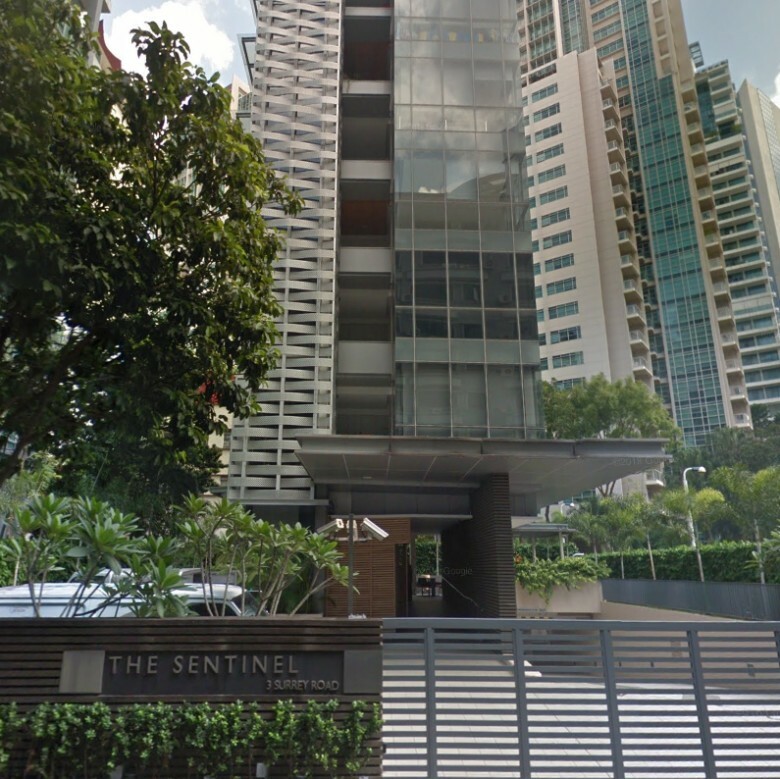 The development is situated 500m away from Fort Canning MRT station, which is about a 7 minute walk. If we look at recent transactions, in May 2018 the latest transaction in the development was a 1,464 sq ft unit that changed hands for $2.96 million, or $2,025 PSF. 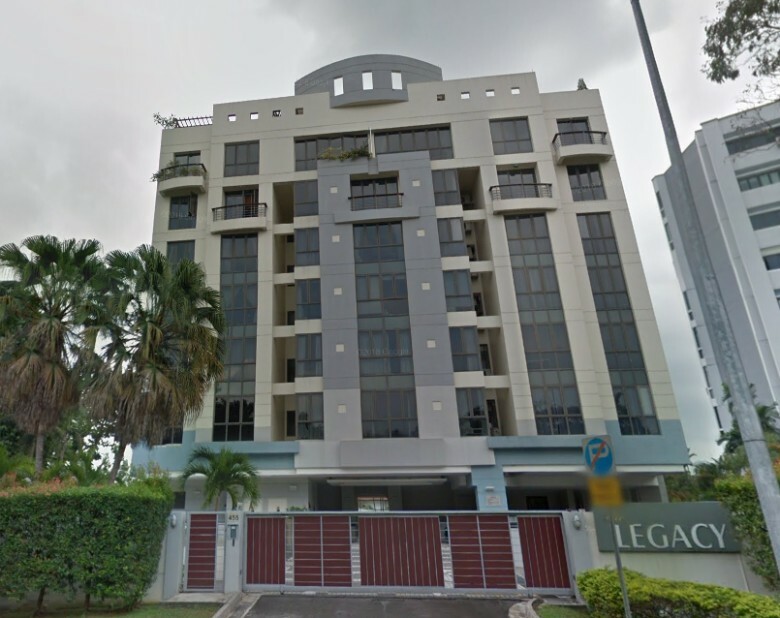 The Legacy is a freehold apartment that is located at Bukit Timah Road in District 10. It was built in 1999 and has a total of 17 units. 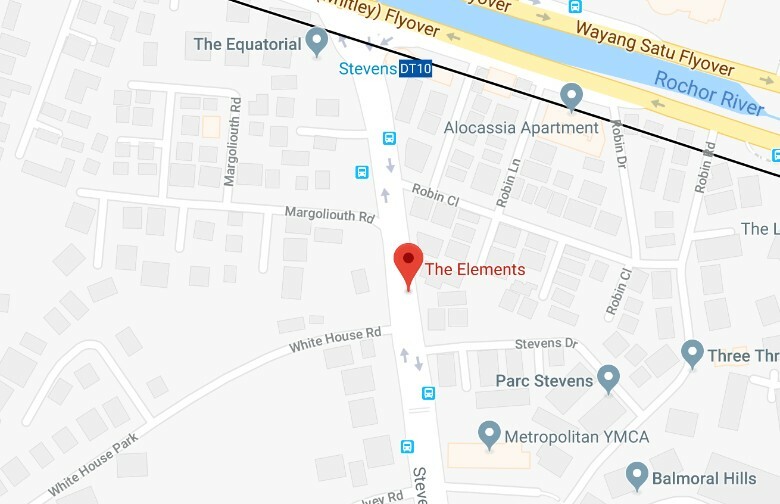 The development is situated 200m away from Stevens MRT station, which is about a 6 minute walk. If we look at recent transactions, in November 2017 the latest transaction in the development was a 958 sq ft unit that changed hands for $1.46 million, or $1,524 PSF. 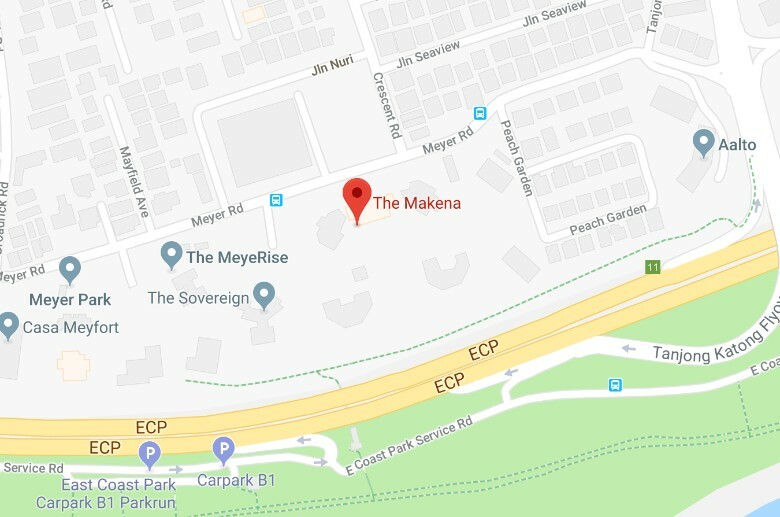 The Makena is a freehold condominium that is located at Meyer Road in District 15. It was built in 1998 and has a total of 504 units. 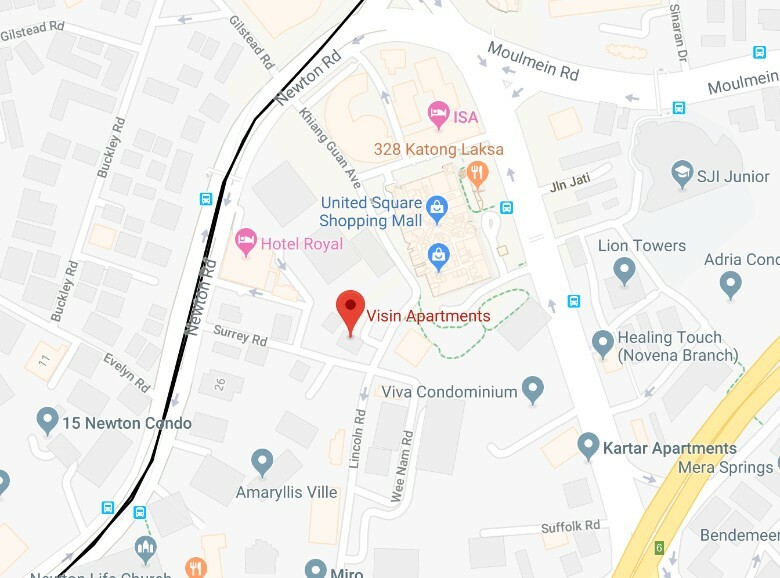 The development is currently located 1.41km away from Dakota MRT station. 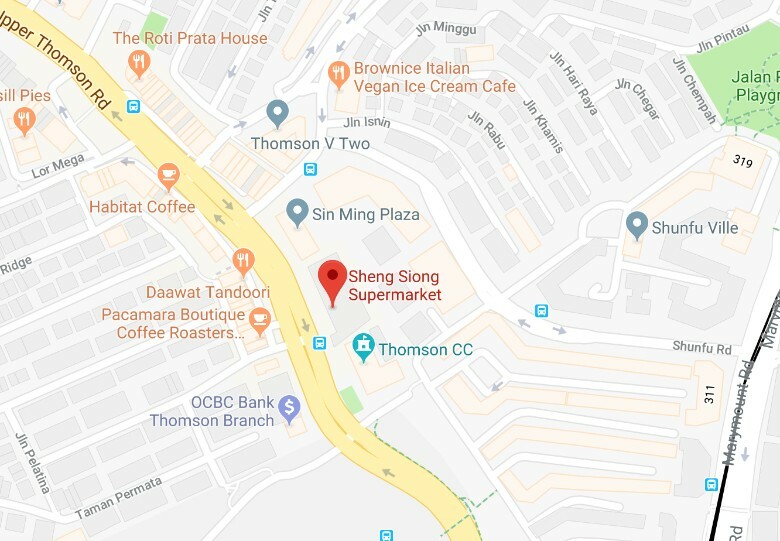 However, when the Thomson-East Coast downtown line is up, Tanjong Katong MRT station will be just a short walk away. If we look at recent transactions, in July 2018 the latest transaction in the development was a 1,582 sq ft unit that changed hands for $2.65 million, or $1,675 PSF. 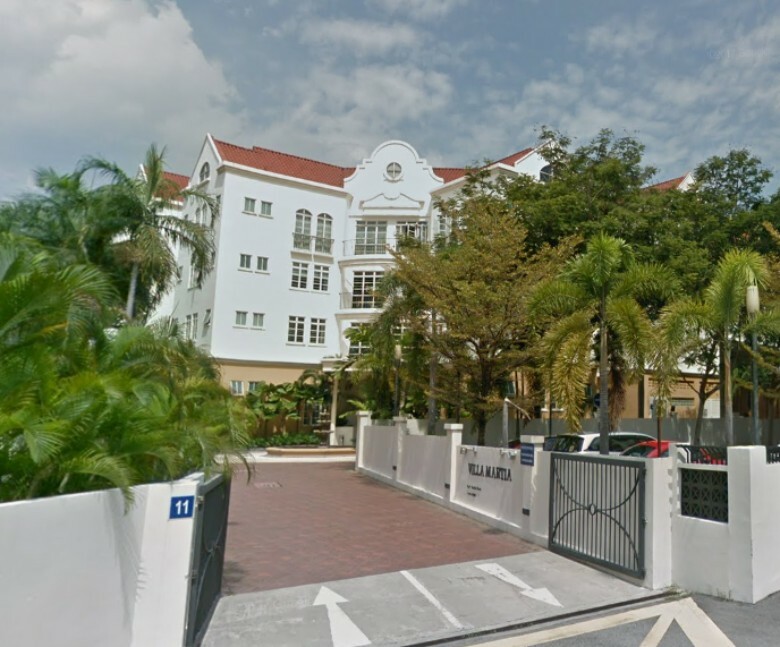 The Marbella is a freehold condominium that is located at Mount Sinai Rise in District 10. It was built in 2005 and has a total of 239 units. 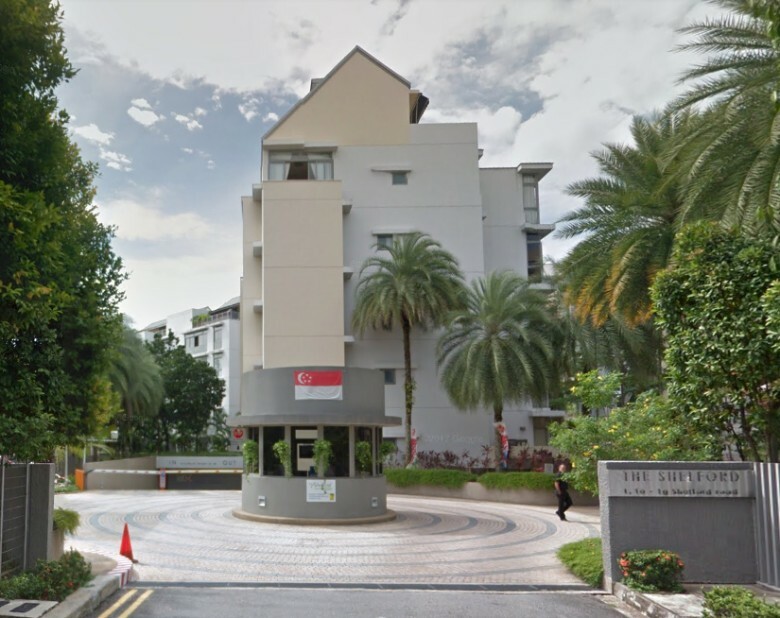 The development is situated 400m away from Dover MRT station, which is about a 5 minute walk. If we look at recent transactions, in June 2018 the latest transaction in the development was a 1,744 sq ft unit that changed hands for $3.16 million, or $1,812 PSF. 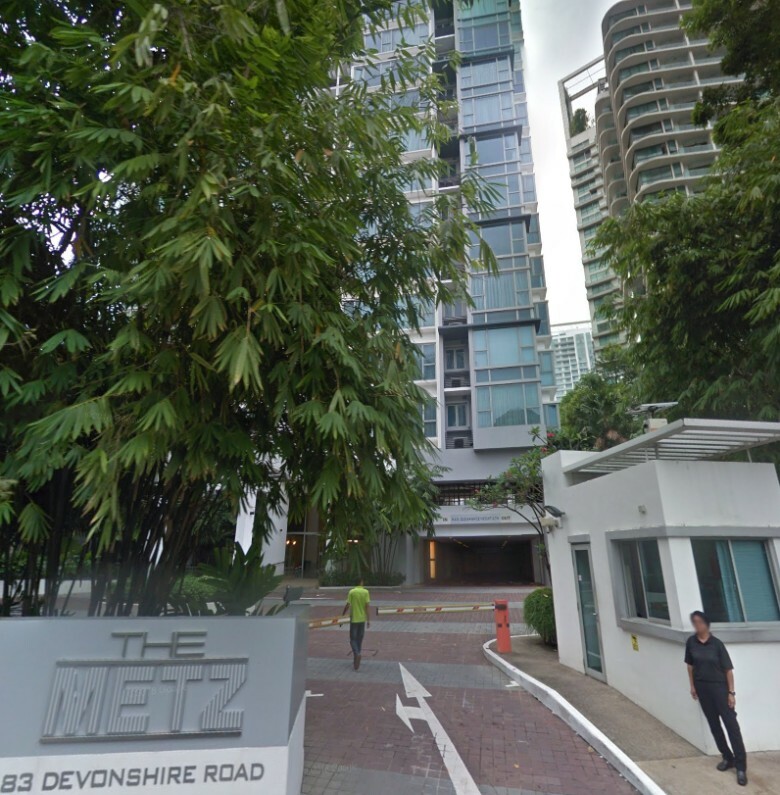 The Metz is a freehold condominium that is located at Devonshire Road in District 9. It was built in 2007 and has a total of 169 units. 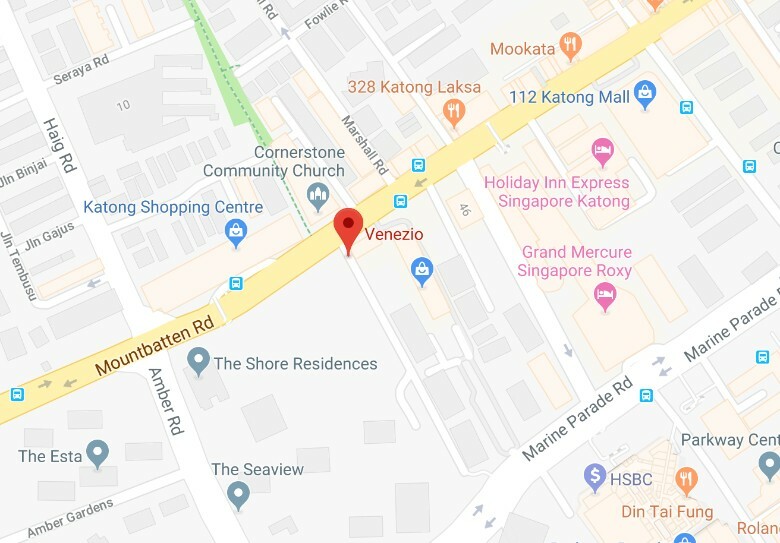 The development is situated 200m away from Somerset MRT station, which is about a 3 minute walk. If we look at recent transactions, in February 2018 the latest transaction in the development was a 1,496 sq ft unit that changed hands for $3.5 million, or $2,339 PSF. 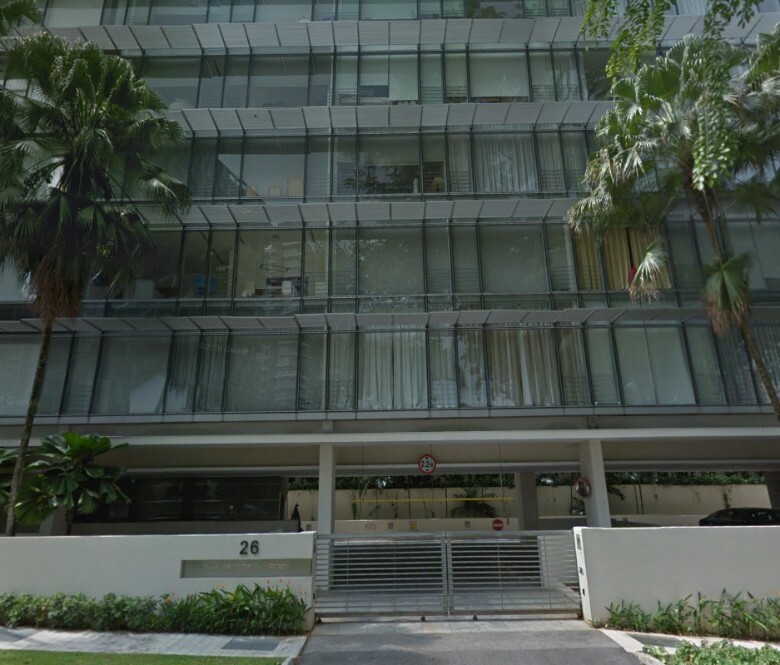 The Nexus is a freehold condominium that is located at Bukit Timah Road in District 21. It was built in 2007 and has a total of 242 units. 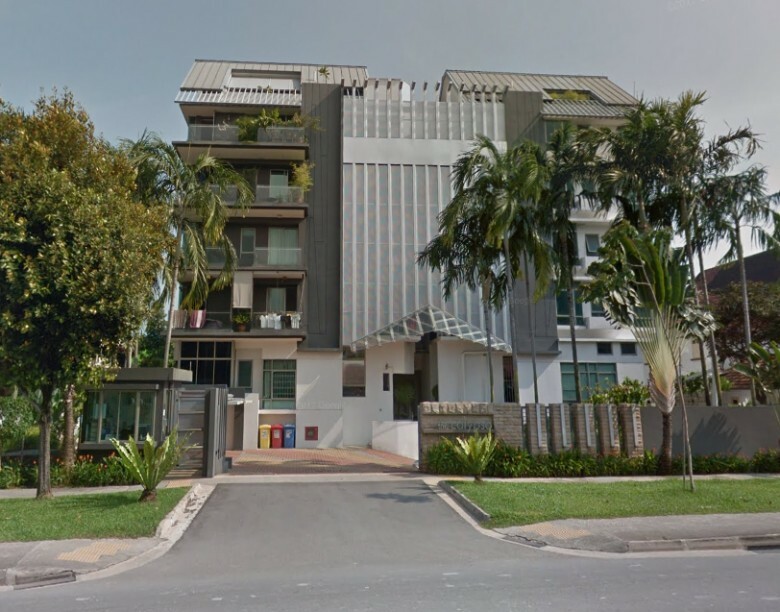 The development is situated 400m away from King Albert Park MRT station, which is about a 6 minute walk. If we look at recent transactions, in May 2018 the latest transaction in the development was a 1,066 sq ft unit that changed hands for $1.67 million, or $1,567 PSF. 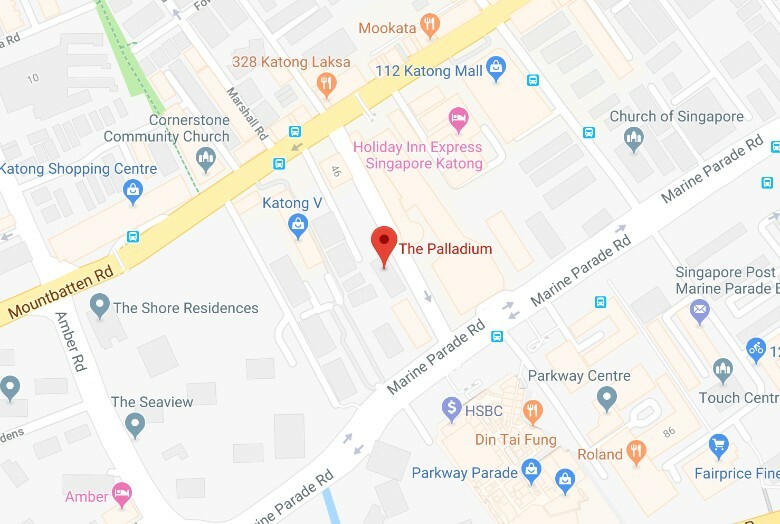 The Palladium is a freehold condominium that is located at Brooke Road in District 15. It was built in 2003 and has a total of 43 units. 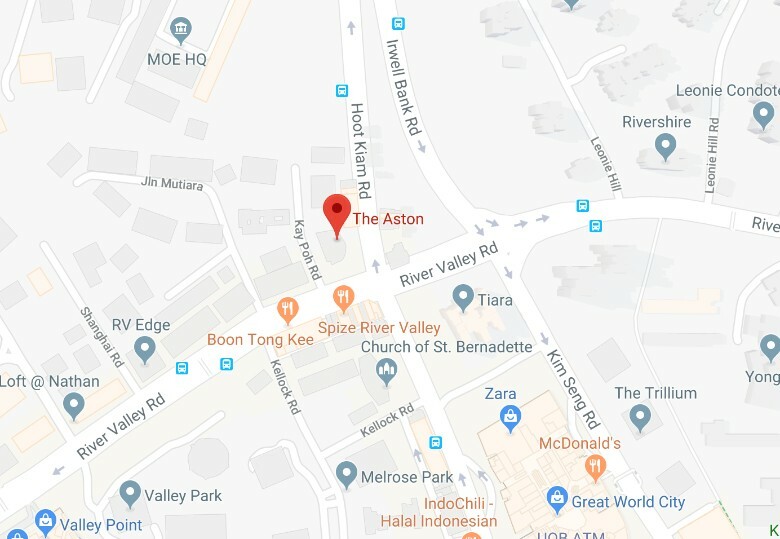 The development is currently located 1.82km away from Dakota MRT station. However, when the Thomson-East Coast downtown line is up, Marine Parade MRT station will be just a short walk away. If we look at recent transactions, in September 2017 the latest transaction in the development was a 872 sq ft unit that changed hands for $1.1 million, or $1,262 PSF. 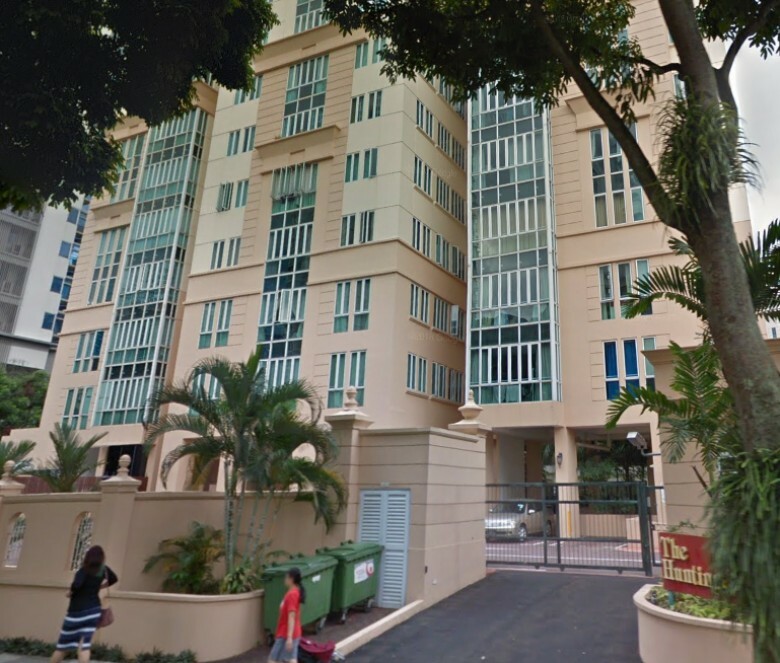 The Paterson is a freehold condominium that is located at Paterson Road in District 9. It was built in 2004 and has a total of 88 units. 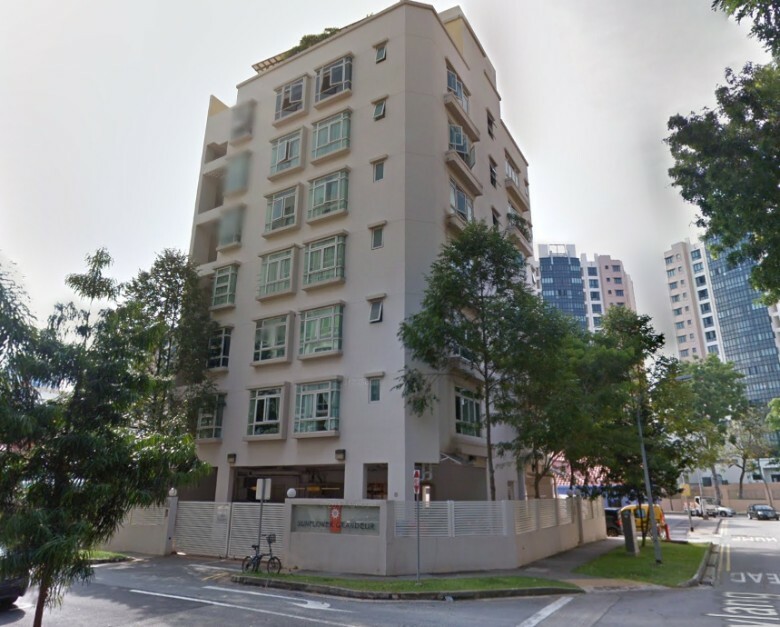 The development is situated 500m away from Orchard MRT station, which is about a 7 minute walk. If we look at recent transactions, in June 2018 the latest transaction in the development was a 1,313 sq ft unit that changed hands for $2.99 million, or $2,277 PSF. 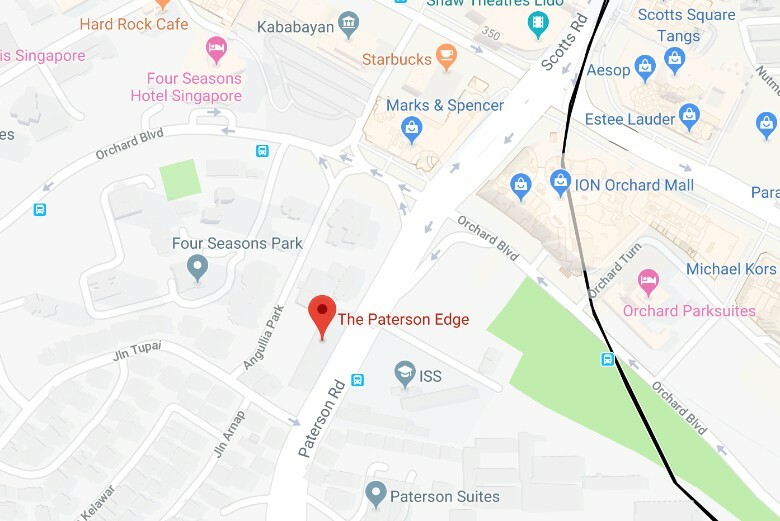 The Paterson Edge is a freehold apartment that is located at Paterson Road in District 9. It was built in 1999 and has a total of 61 units. 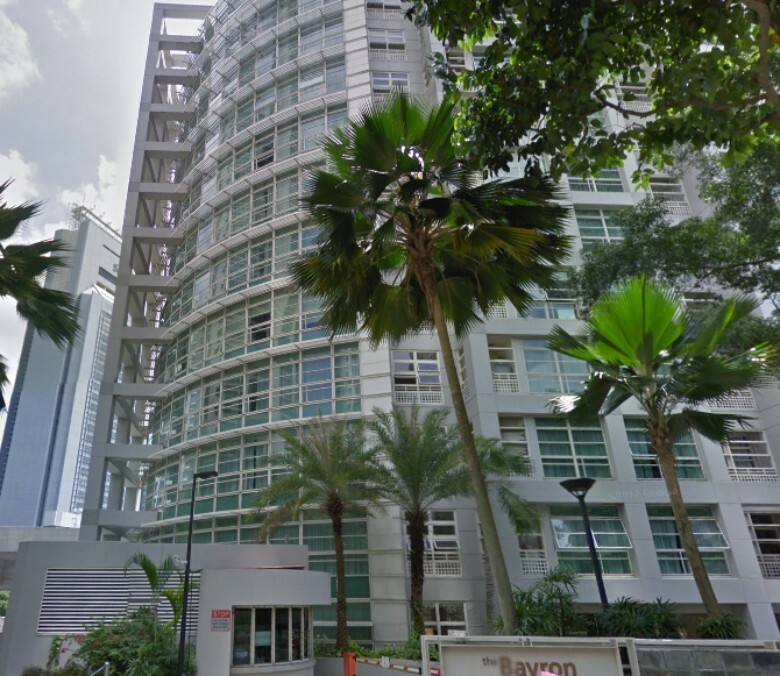 The development is situated 300m away from Orchard MRT station, which is about a 5 minute walk. If we look at recent transactions, in December 2017 the latest transaction in the development was a 1,012 sq ft unit that changed hands for $2.45 million, or $2,421 PSF. 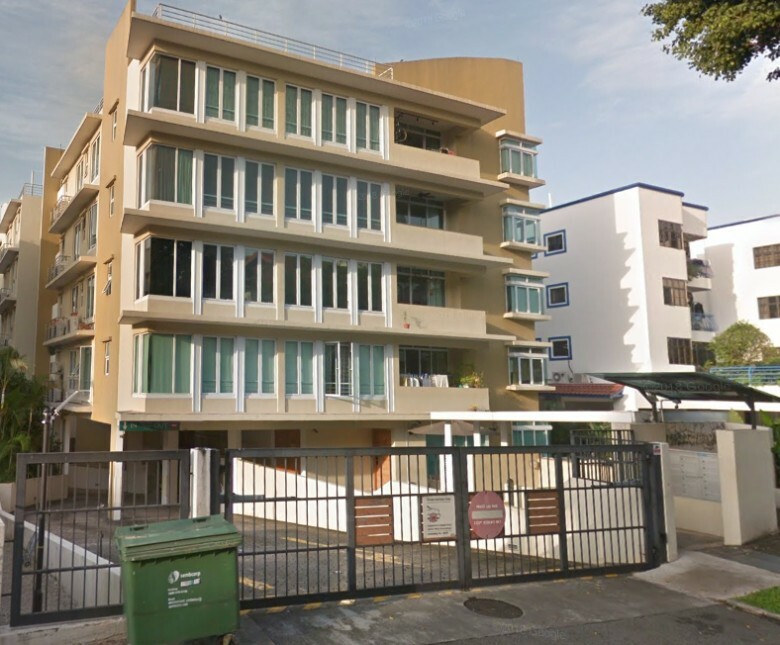 The Pier at Robertson is a freehold apartment that is located at Marna Road in District 8. It was built in 2006 and has a total of 201 units. 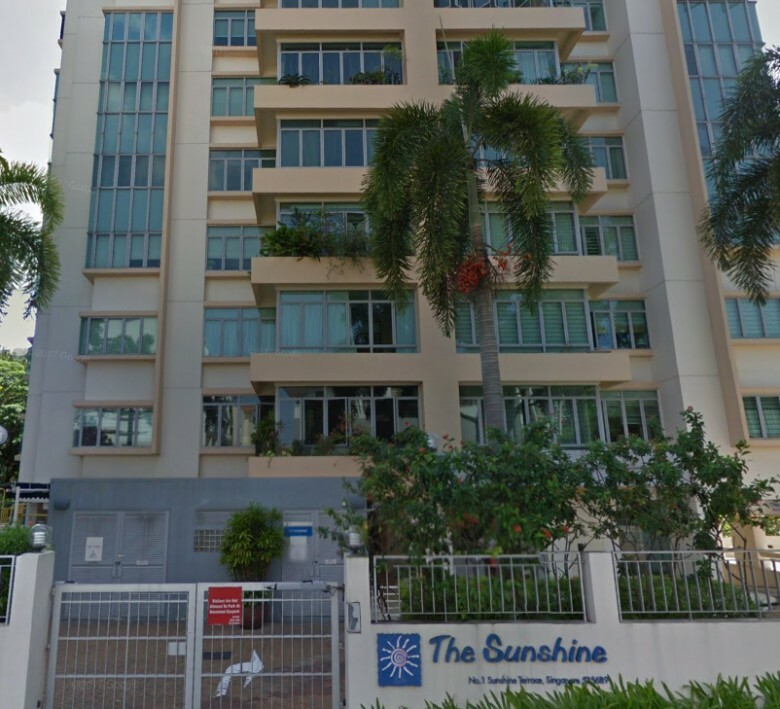 The development is situated 500m away from Fort Canning MRT station, which is about a 7 minute walk. If we look at recent transactions, in August 2018 the latest transaction in the development was a 1,098 sq ft unit that changed hands for $2.32 million, or $2,113 PSF. 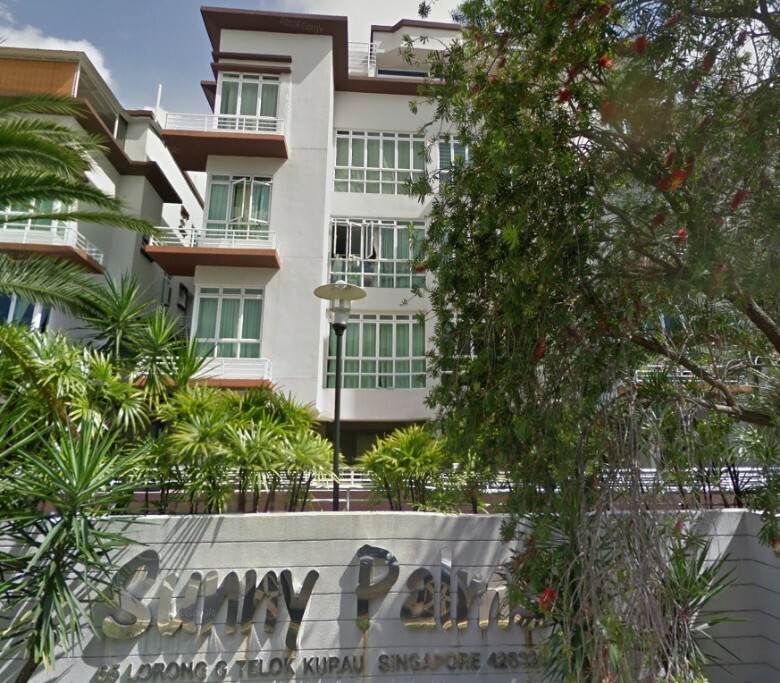 The Sentinel is a freehold apartment that is located at Surrey Road in District 11. It was built in 2003 and has a total of only 14 units. 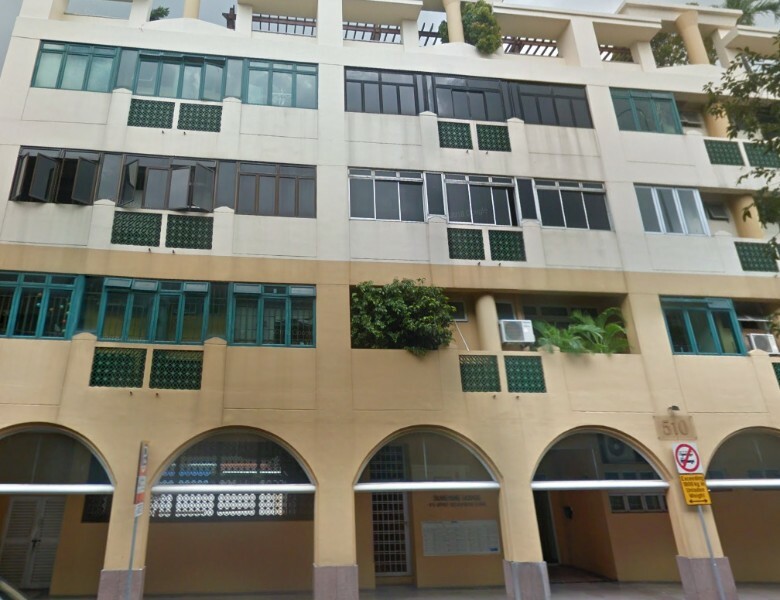 The development is situated 500m away from Novena MRT station, which is about a 7 minute walk. 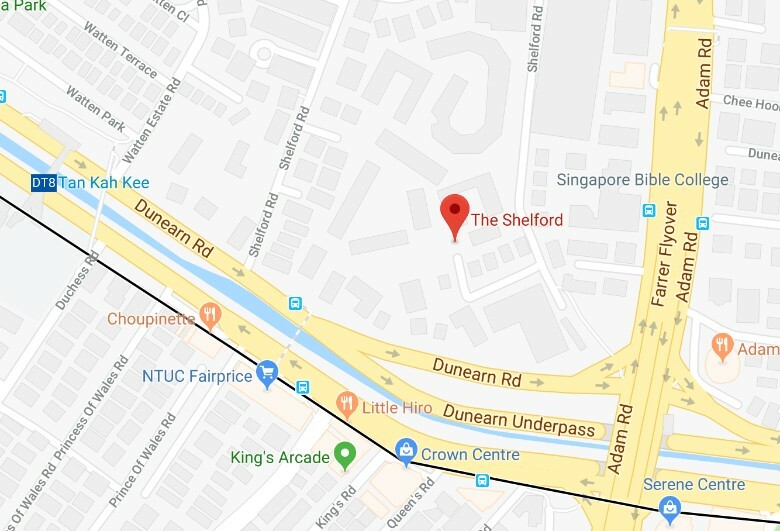 The Shelford is a freehold condominium that is located at Shelford Road in District 11. It was built in 2005 and has a total of 215 units. 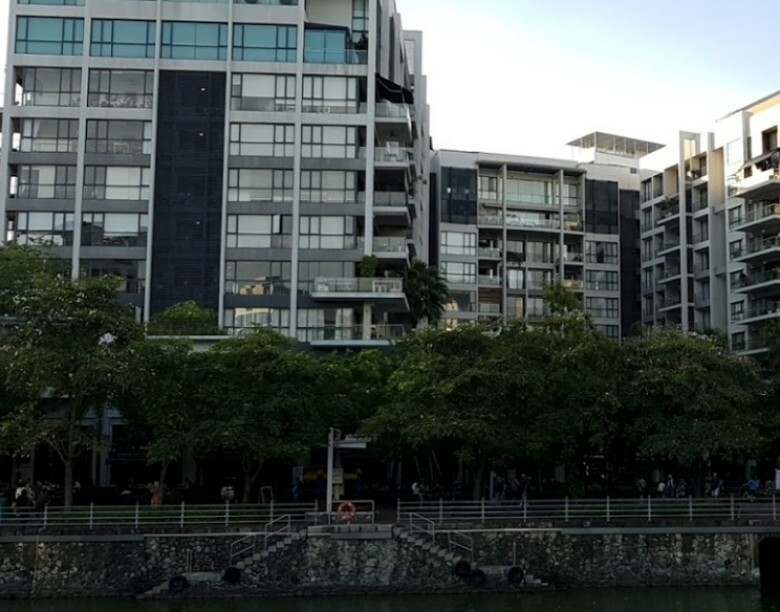 The development is situated 500m away from Botanic Gardens MRT station, which is about a 6 minute walk. If we look at recent transactions, in July 2018 the latest transaction in the development was a 1,033 sq ft unit that changed hands for $1.93 million, or $1,875 PSF. 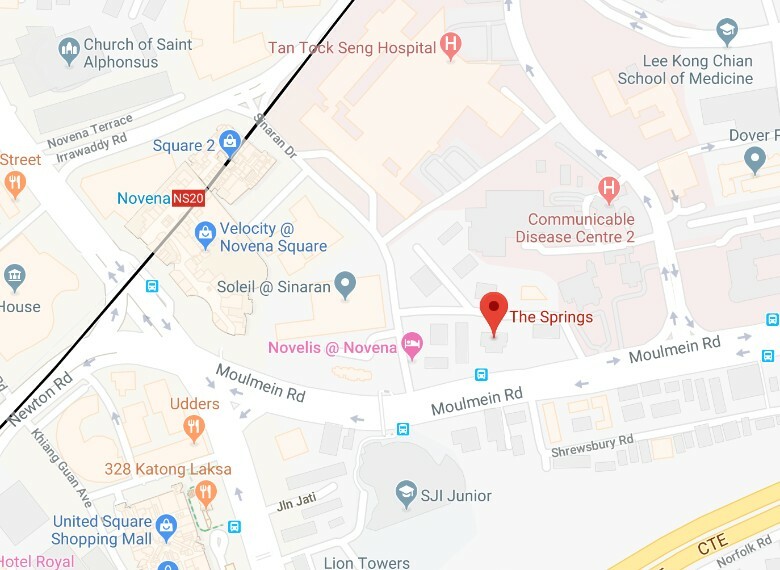 The Springs is a freehold apartment that is located at Moulmein Rise in District 11. It was built in 2003 and has a total of 62 units. 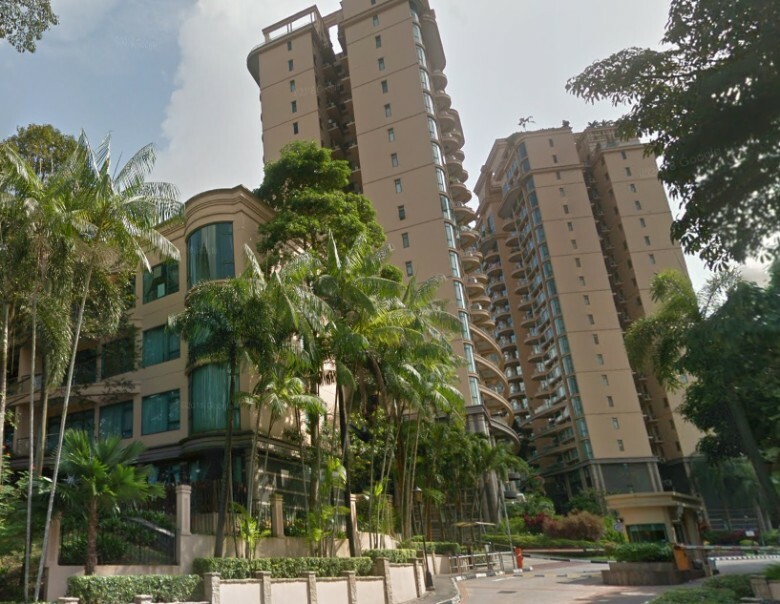 The development is situated 400m away from Novena MRT station, which is about a 6 minute walk. If we look at recent transactions, in November 2017 the latest transaction in the development was a 1,012 sq ft unit that changed hands for $1.51 million, or $1,492 PSF. 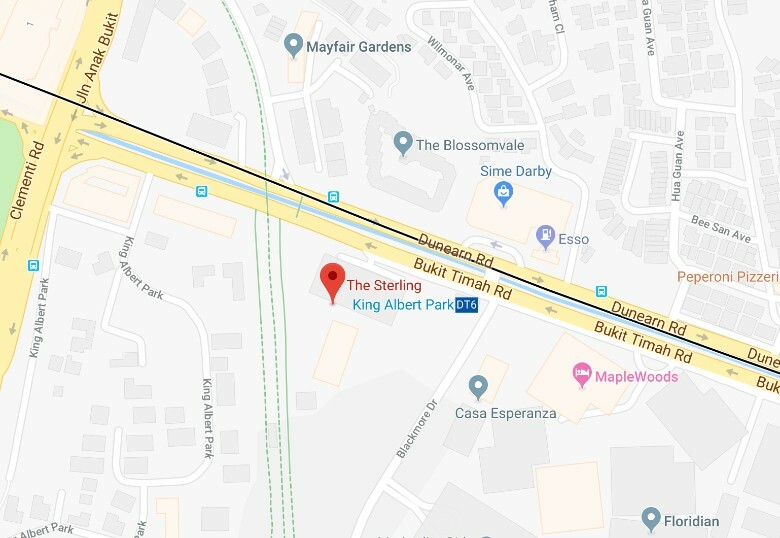 The Sterling is a freehold condominium that is located at Bukit Timah Road in District 21. It was built in 2001 and has a total of 232 units. 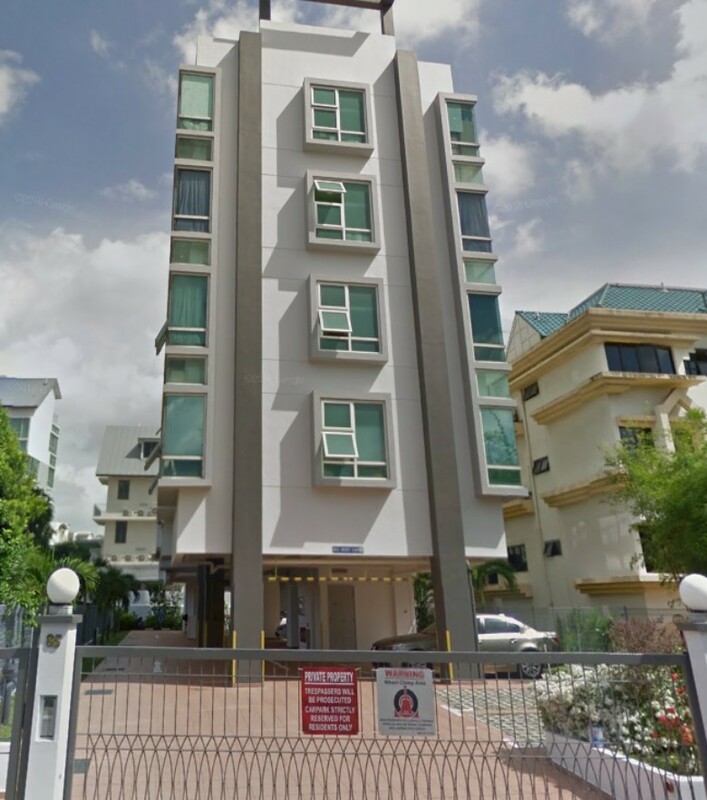 The development is situated 200m away from King Albert Park MRT station, which is about a 2 minute walk. If we look at recent transactions, in April 2018 the latest transaction in the development was a 1,292 sq ft unit that changed hands for $2.2 million, or $1,703 PSF. 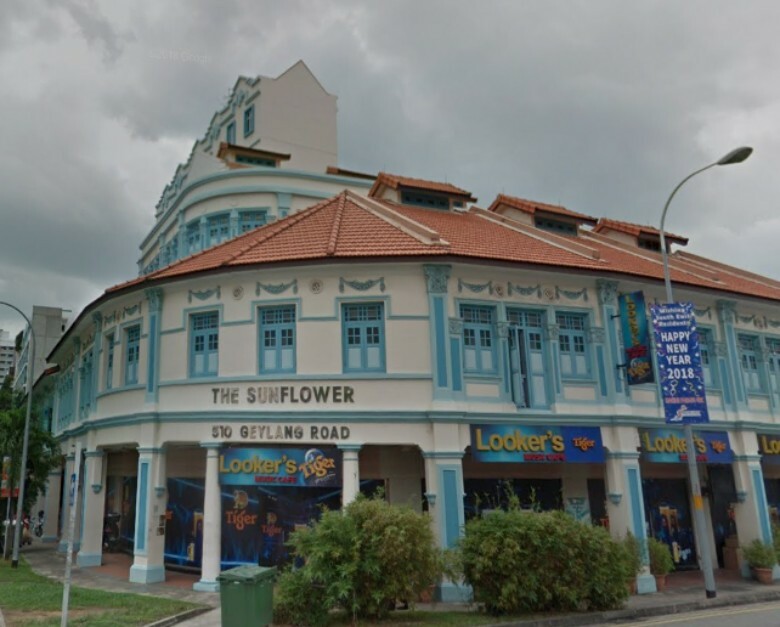 The Sunflower is a freehold apartment that is located at Lorong 28 Geylang in District 14. 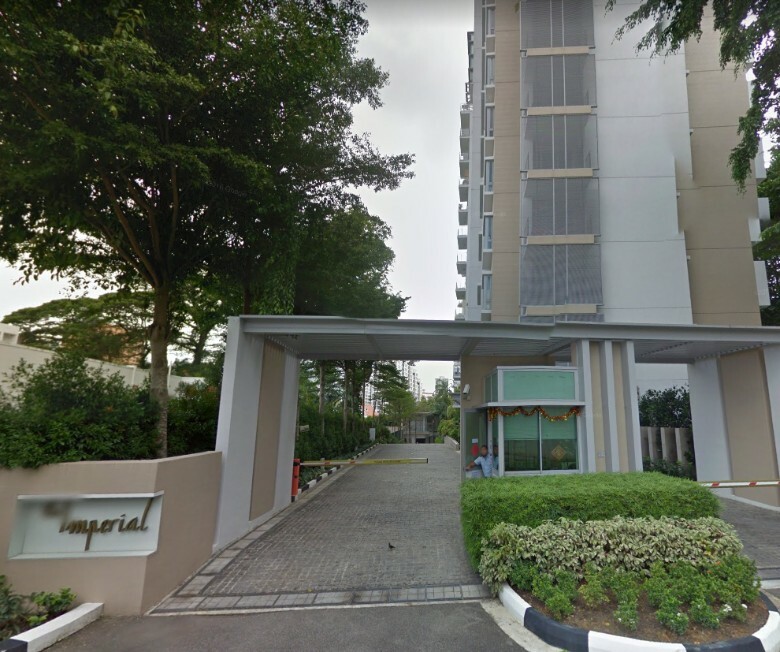 It was built in 2000 and the development is situated 500m away from Aljunied MRT station, which is about a 7 minute walk. If we look at recent transactions, in April 2018 the last transaction in the development was a 1,658 sq ft unit that changed hands for $1.72 million, or $1,038 PSF. 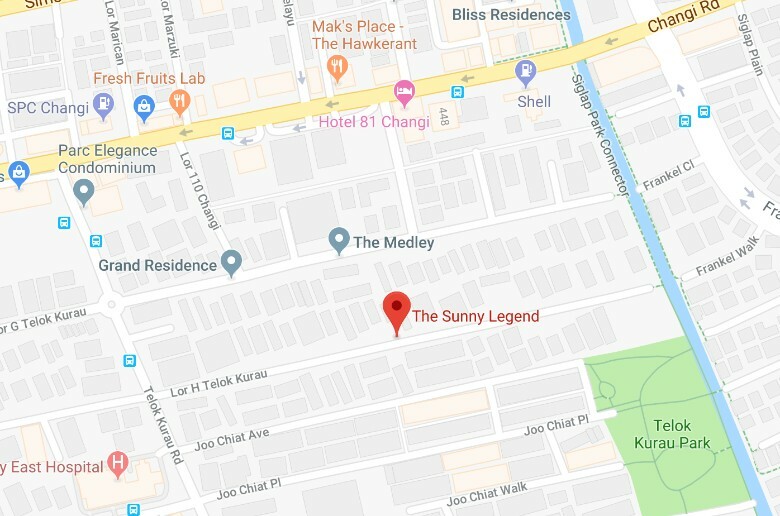 The Sunny Legend is a freehold apartment that is located at Lorong H Telok Kurau in District 15. It was built in 2006 and has a total of only 12 units. 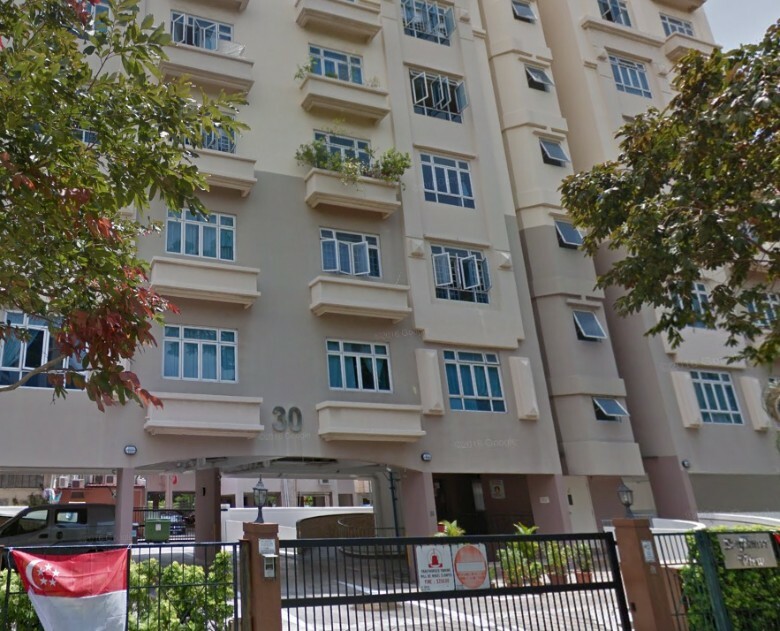 The development is situated 500m away from Kembangan MRT station, which is about a 7 minute walk. 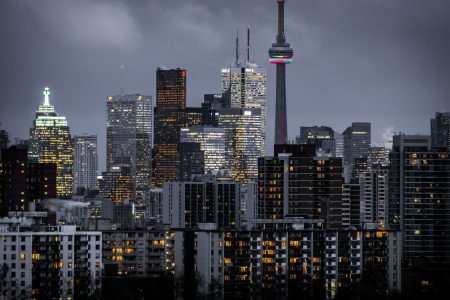 If we look at recent transactions, in September 2015 the last transaction in the development was a 861 sq ft unit that changed hands for $928,000, or $1,078 PSF. 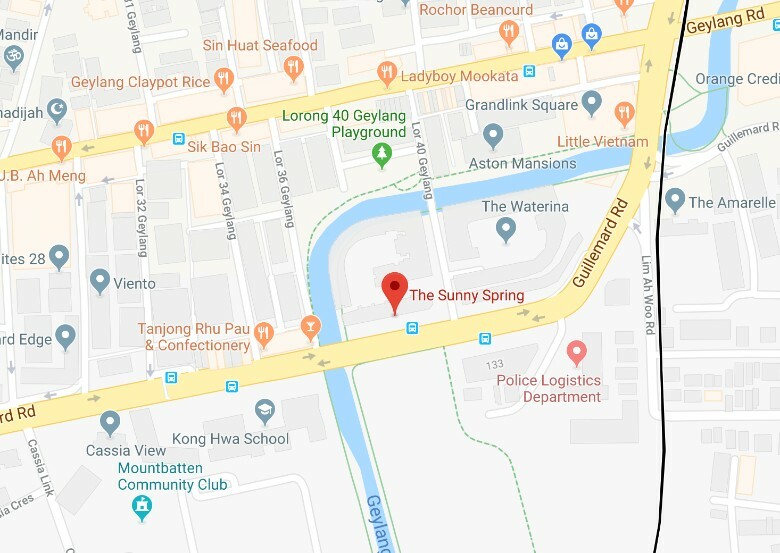 The Sunny Spring is a freehold apartment that is located at Lorong 40 Geylang in District 14. It was built in 1998 and has a total of 338 units. 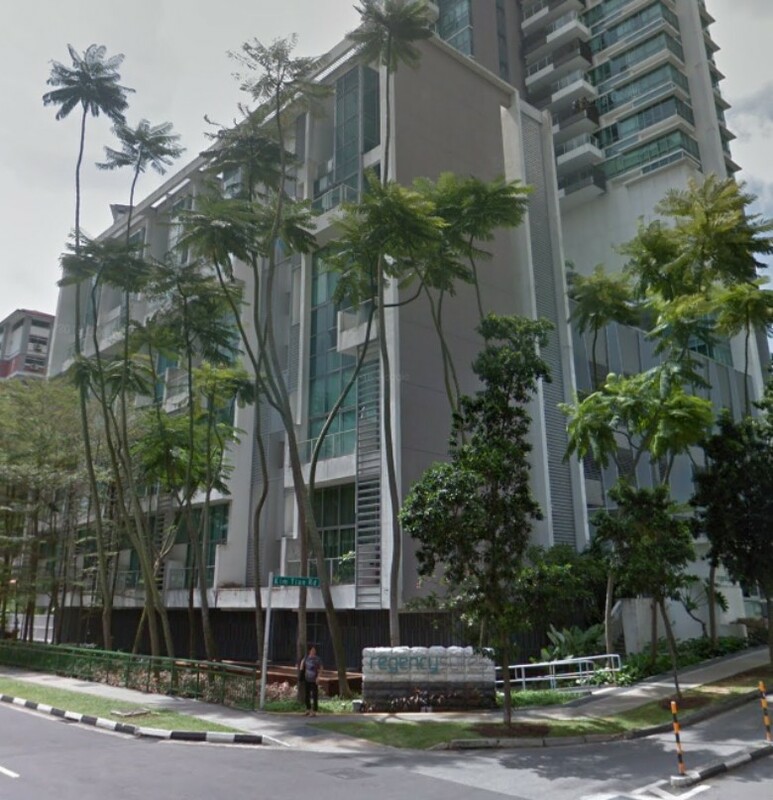 The development is situated 500m away from Dakota MRT station, which is about a 7 minute walk. If we look at recent transactions, in July 2018 the latest transaction in the development was a 1,109 sq ft unit that changed hands for $1.2 million, or $1,082 PSF. 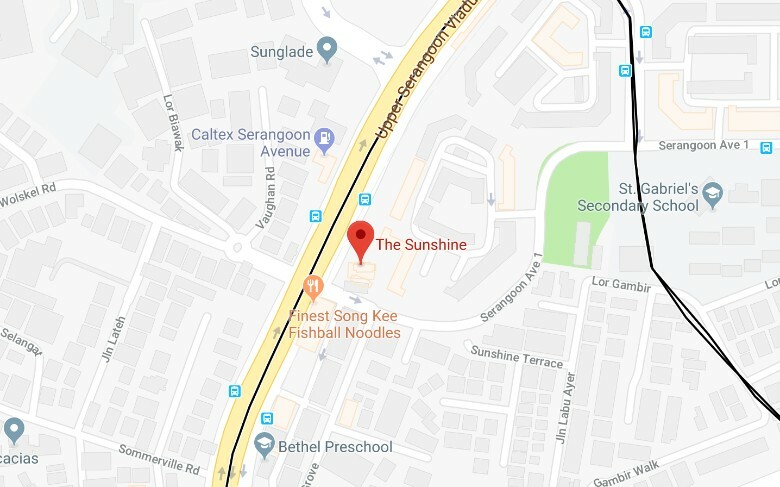 The Sunshine is a freehold apartment that is located at Sunshine Terrace in District 19. It was built in 2003 and has a total of 45 units. 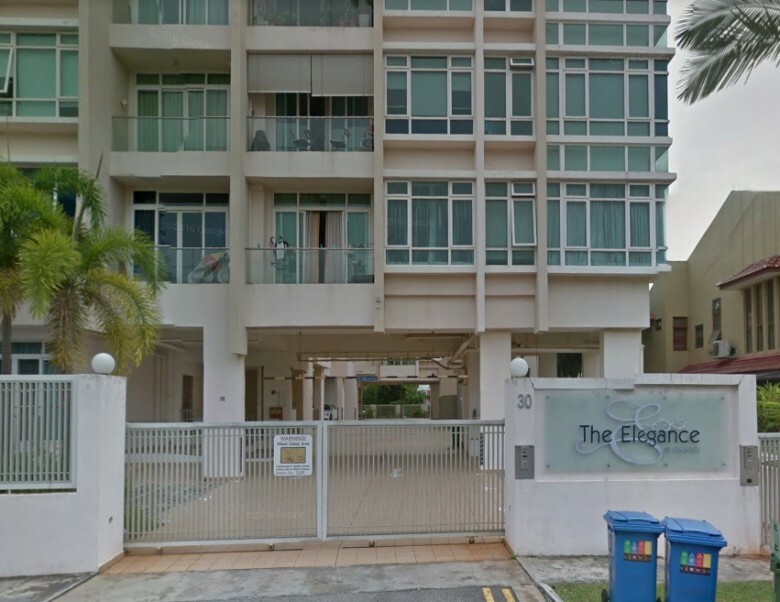 The development is situated 500m away from Serangoon MRT station, which is about a 7 minute walk. If we look at recent transactions, in April 2018 the latest transaction in the development was a 1,249 sq ft unit that changed hands for $1.38 million, or $1,105 PSF. 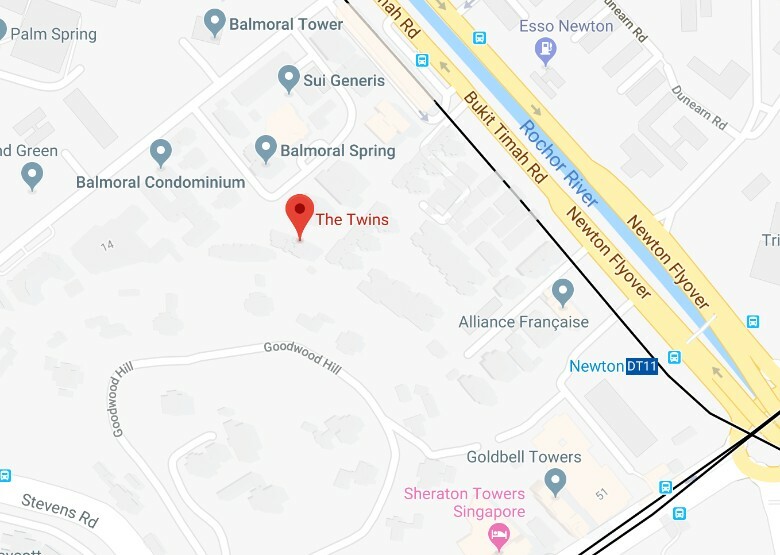 The Twins is a freehold condominium that is located at Balmoral Crescent in District 10. It was built in 2002 and has a total of only 16 units. 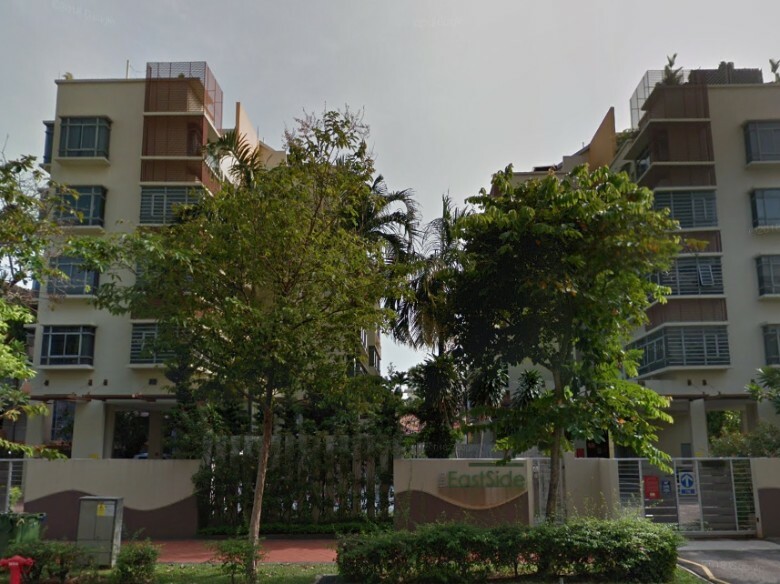 The development is situated 500m away from Newton MRT station, which is about a 7 minute walk. If we look at recent transactions, in June 2018 the latest transaction in the development was a 2,260 sq ft unit that changed hands for $3.7 million, or $1,637 PSF. 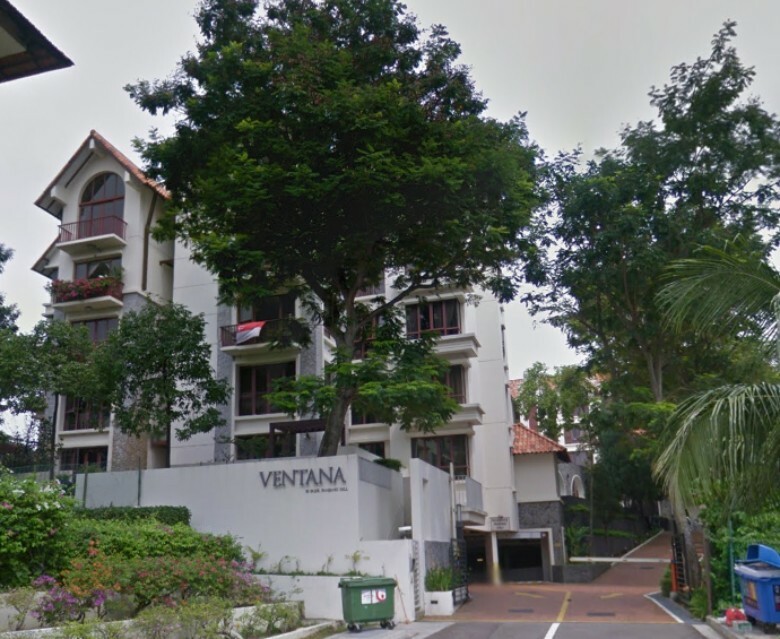 The Ventana is a freehold apartment that is located at Pasir Panjang Road in District 5. It was built in 2003 and has a total of 39 units. 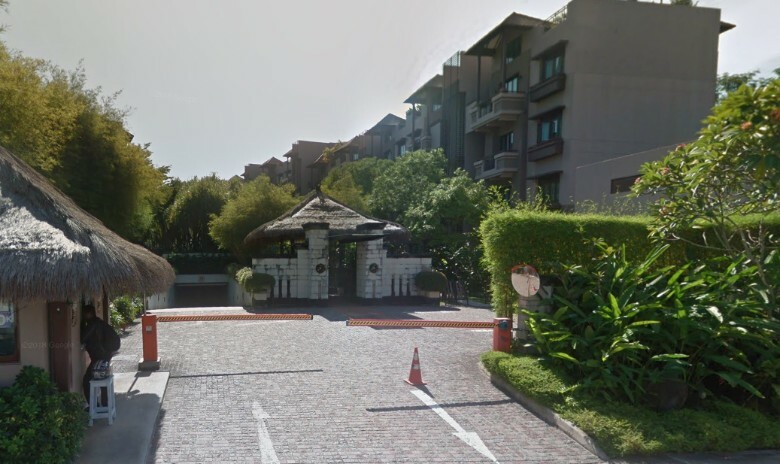 The development is situated 400m away from Haw Par Villa MRT station, which is about a 5 minute walk. 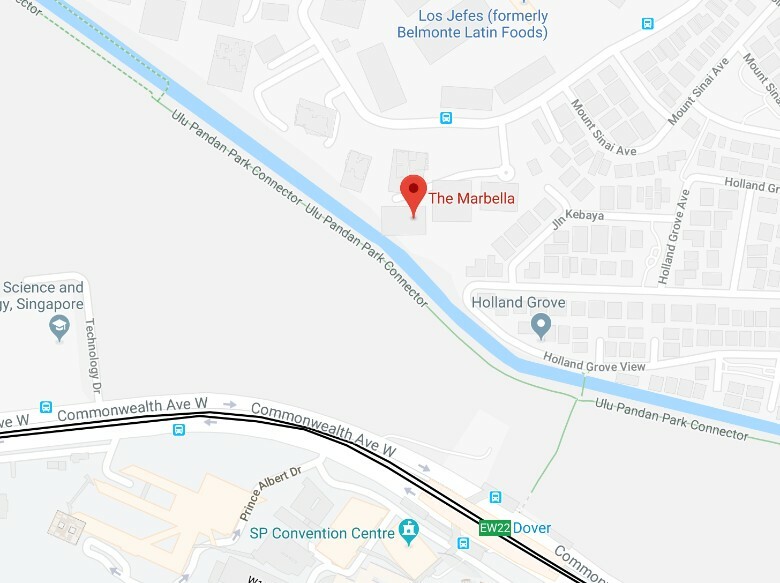 The Yardley is a freehold apartment that is located at Upper Serangoon Road in District 19. It was built in 2005 and has a total of 55 units. 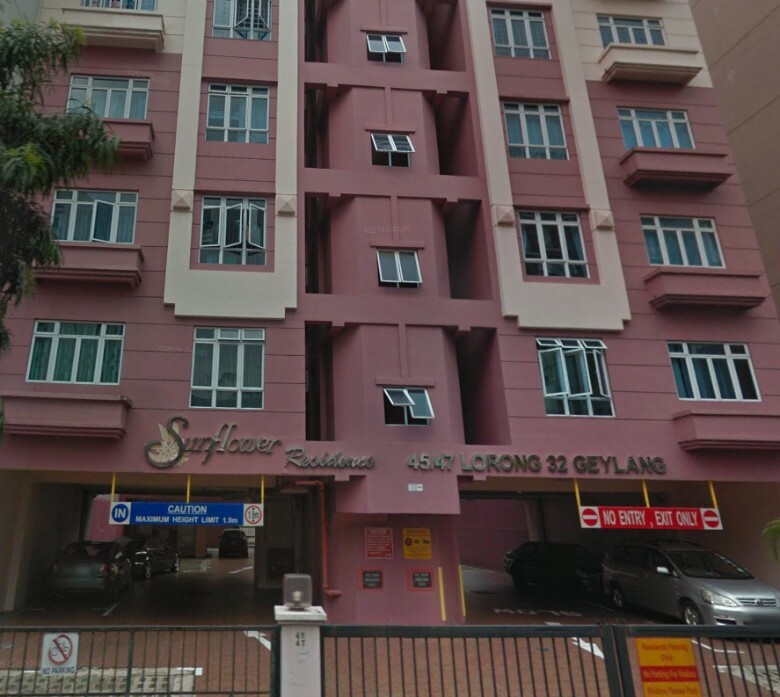 The development is situated 300m away from Serangoon MRT station, which is about a 5 minute walk. If we look at recent transactions, in June 2018 the latest transaction in the development was a 1,421 sq ft unit that changed hands for $1.73 million, or $1,218 PSF. 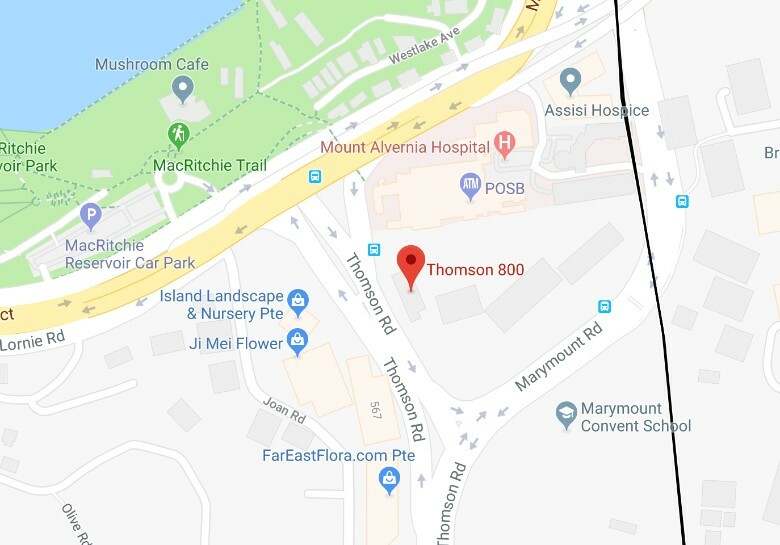 The Thomson 800 is a freehold condominium that is located at Thomson Road in District 11. It was built in 2000 and has a total of 390 units. 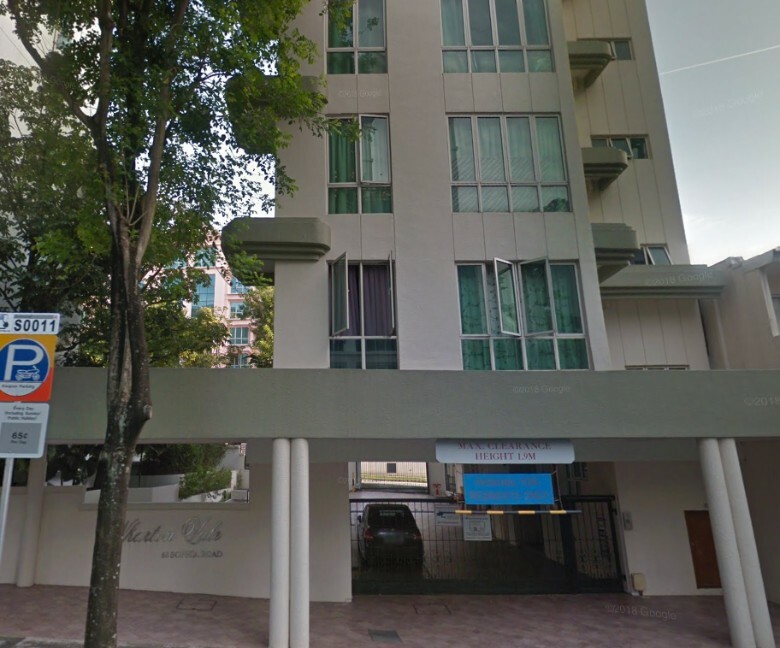 The development is situated 400m away from Caldecott MRT station, which is about a 6 minute walk. If we look at recent transactions, in June 2018 the latest transaction in the development was a 1,399 sq ft unit that changed hands for $1.97 million, or $1,408 PSF. 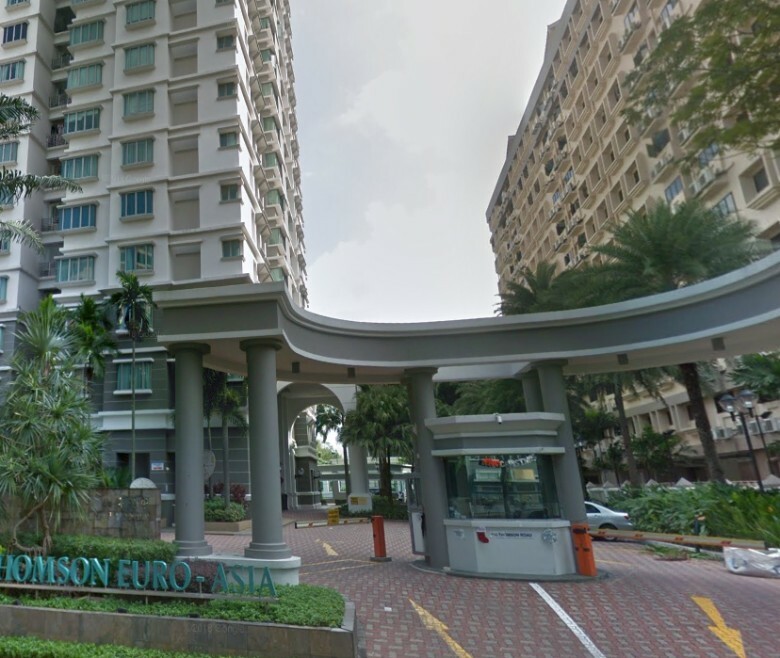 Thomson Euro-Asia is a freehold condominium that is located at Thomson Road in District 11. It was built in 2002 and has a total of 136 units. 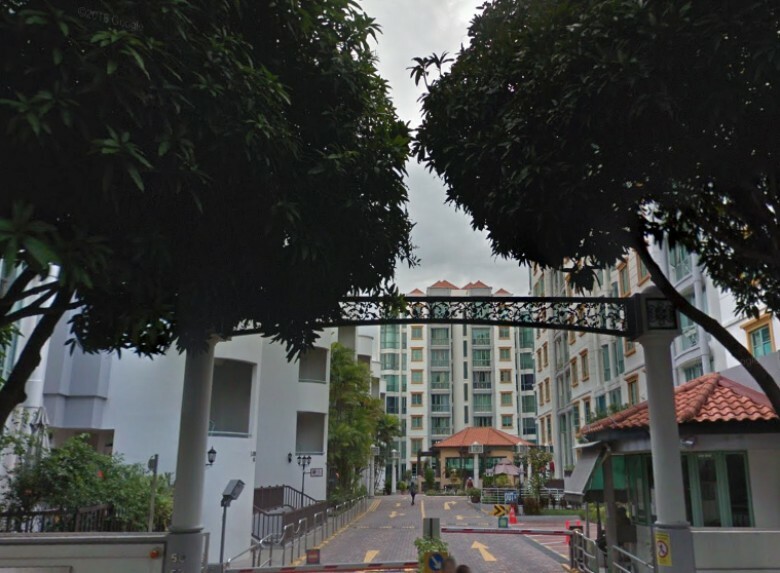 The development is situated 300m away from Novena MRT station, which is about a 4 minute walk. If we look at recent transactions, in May 2018 the latest transaction in the development was a 1,292 sq ft unit that changed hands for $2.6 million, or $2,013 PSF. 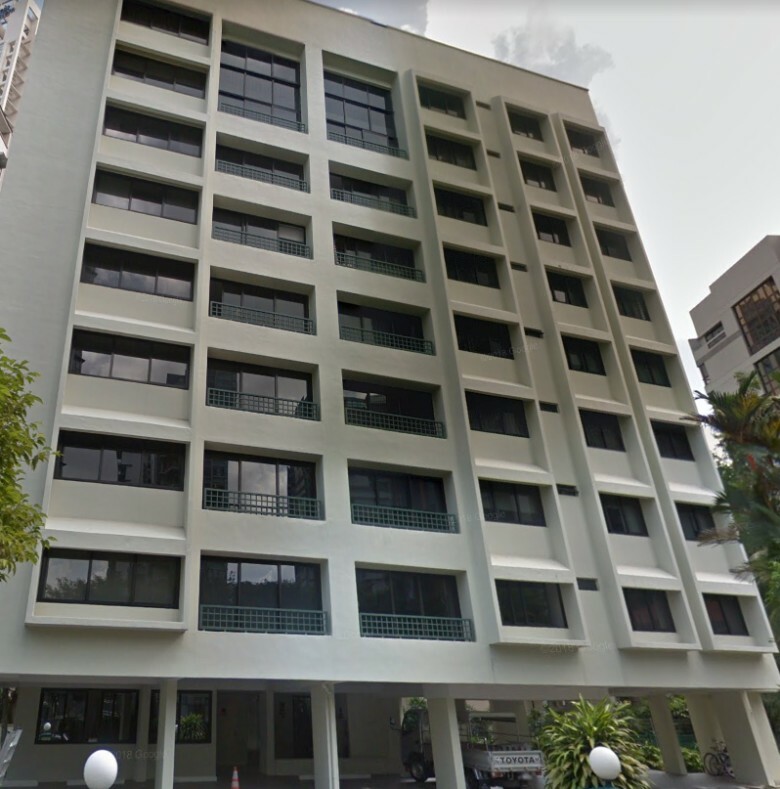 Thomson Imperial Court is a freehold apartment that is located at Upper Thomson Road in District 20. It was built in 1999 and has a total of 36 units. 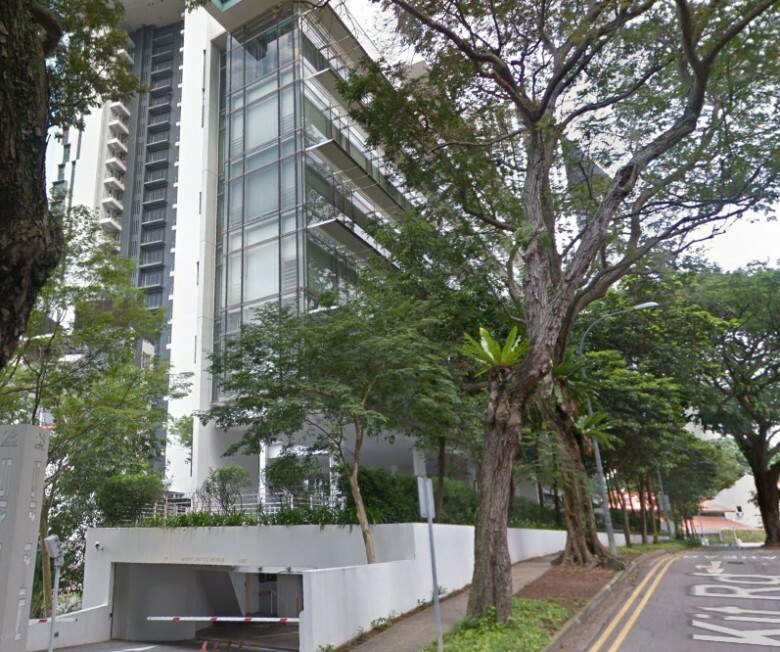 The development is currently located 600m away from Marymount MRT station. 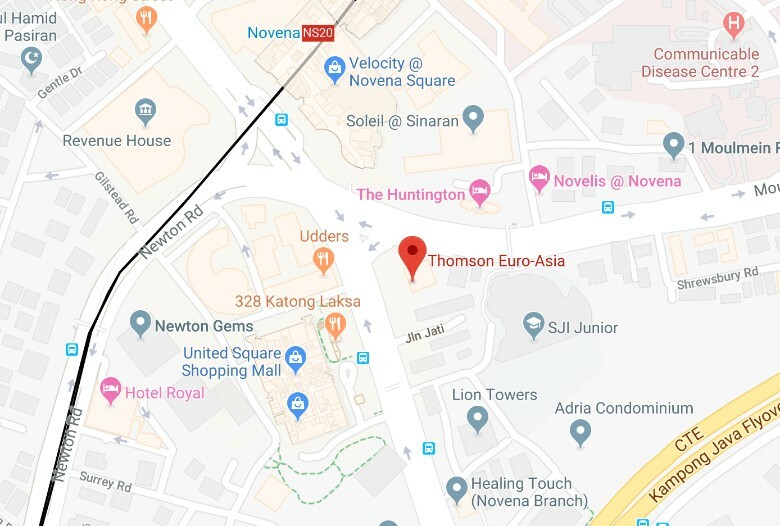 However, when the Thomson-East Coast downtown line is up, Upper Thomson MRT station will be just a short walk away. If we look at recent transactions, in January 2018 the latest transaction in the development was a 2,153 sq ft unit that changed hands for $1.6 million, or $743 PSF. 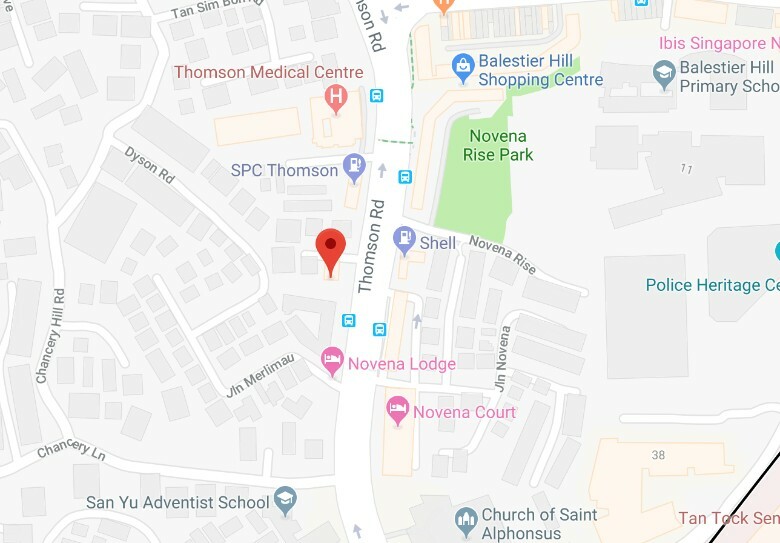 Thomson Vale is a freehold apartment that is located at Thomson Road in District 11. It was built in 2002 and has a total of only 10 units. 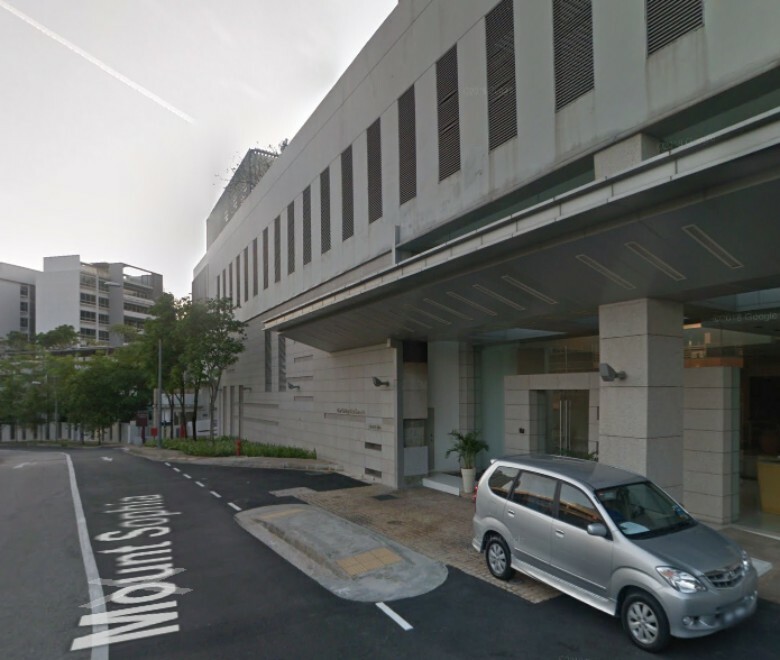 The development is situated 500m away from Novena MRT station, which is about a 7 minute walk. If we look at recent transactions, in November 2017 the latest transaction in the development was a 1,012 sq ft unit that changed hands for $1.35 million, or $1,334 PSF. 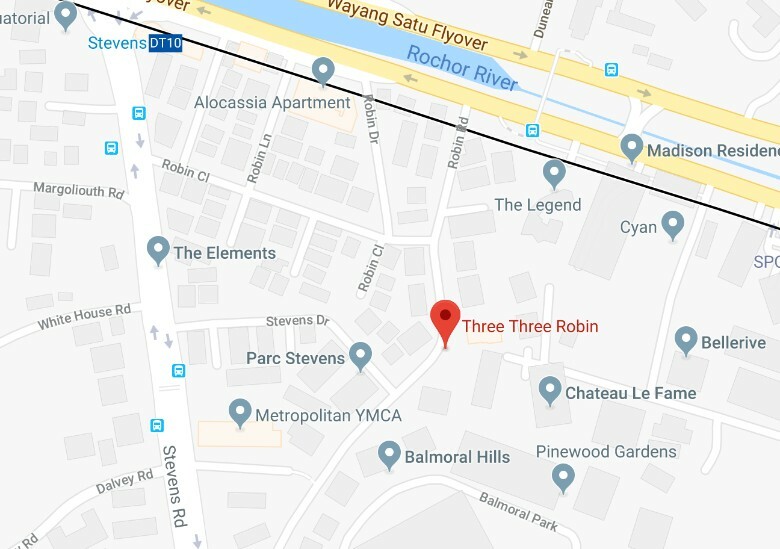 Three Three Robin is a freehold condominium that is located at Robin Road in District 10. It was built in 2006 and has a total of 36 units. 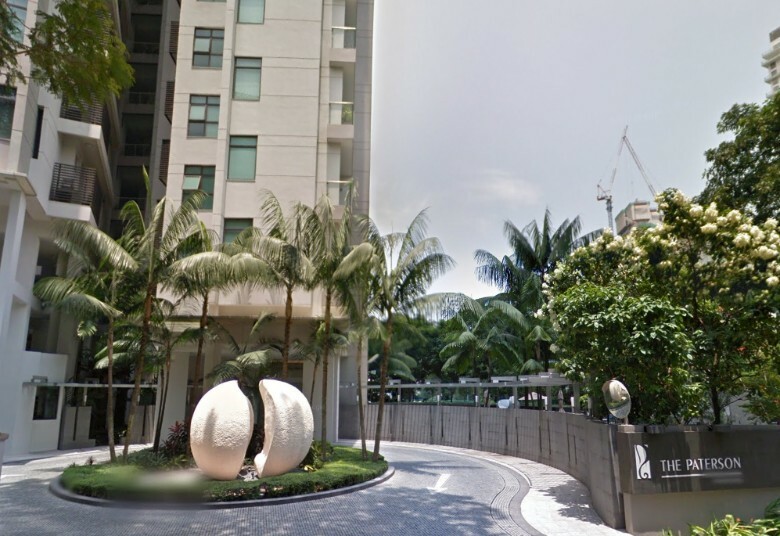 The development is situated 500m away from Stevens MRT station, which is about a 6 minute walk. If we look at recent transactions, in May 2018 the latest transaction in the development was a 1,582 sq ft unit that changed hands for $3.48 million, or $2,199 PSF. 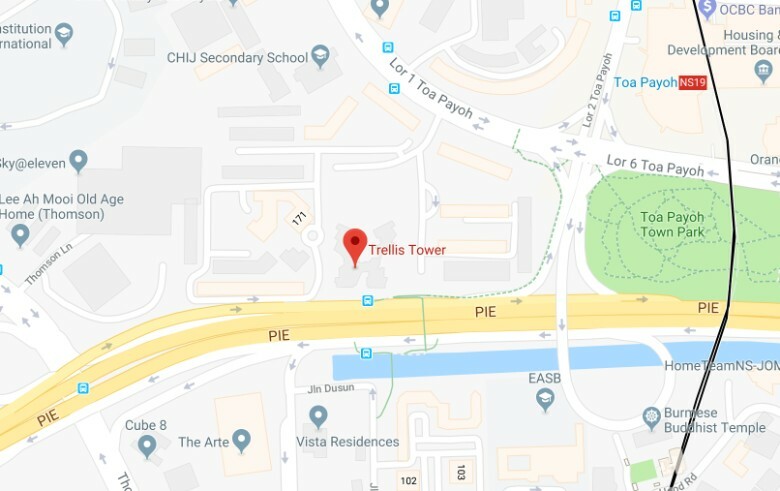 Trellis Towers is a freehold condominium that is located at Toa Payoh Lorong 1 in District 12. It was built in 2000 and has a total of 384 units. 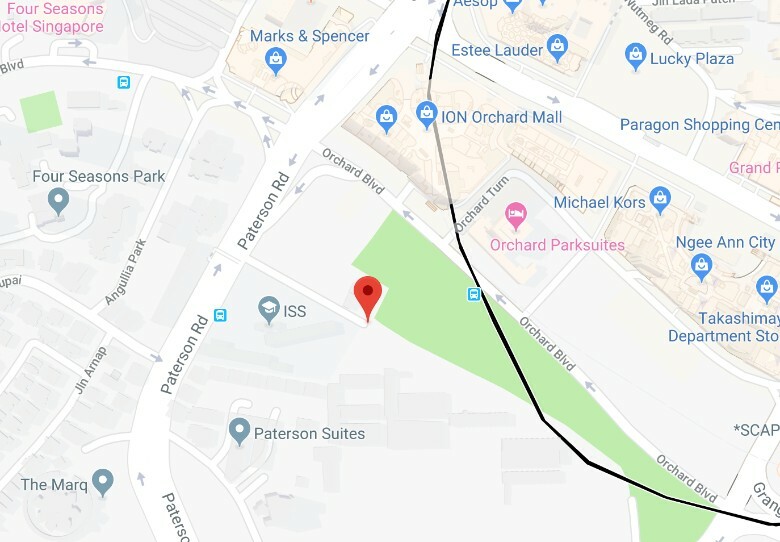 The development is situated 500m away from Toa Payoh MRT station, which is about a 7 minute walk. If we look at recent transactions, in July 2018 the latest transaction in the development was a 1,647 sq ft unit that changed hands for $2.3 million, or $1,397 PSF. 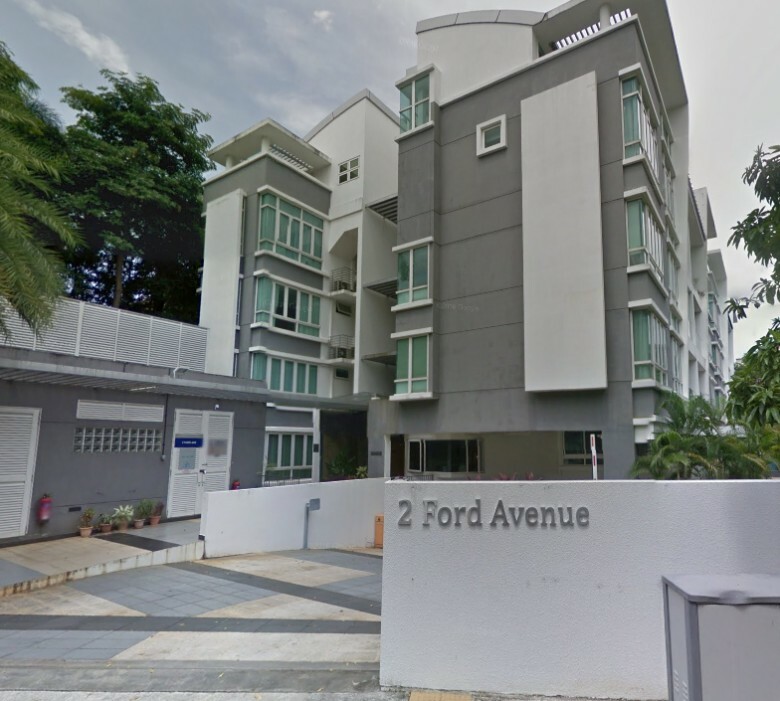 Urban Edge @ Holland V is a freehold apartment that is located at Ford Avenue in District 10. It was built in 2007 and has a total of 31 units. 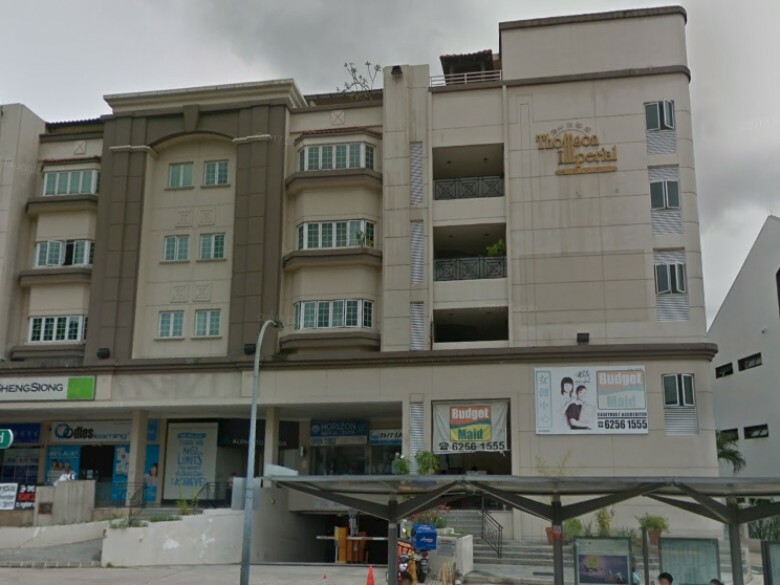 The development is situated 300m away from Holland Village MRT station, which is about a 4 minute walk. If we look at recent transactions, in October 2016 the latest transaction in the development was a 1,830 sq ft unit that changed hands for $2.15 million, or $1,179 PSF. 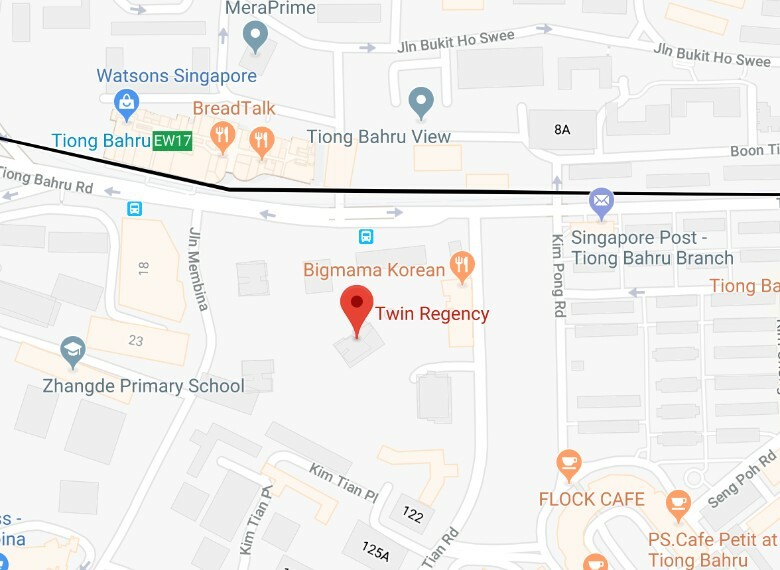 Twin Regency is a freehold condominium that is located at Kim Tian Road in District 3. It was built in 2007 and has a total of 234 units. 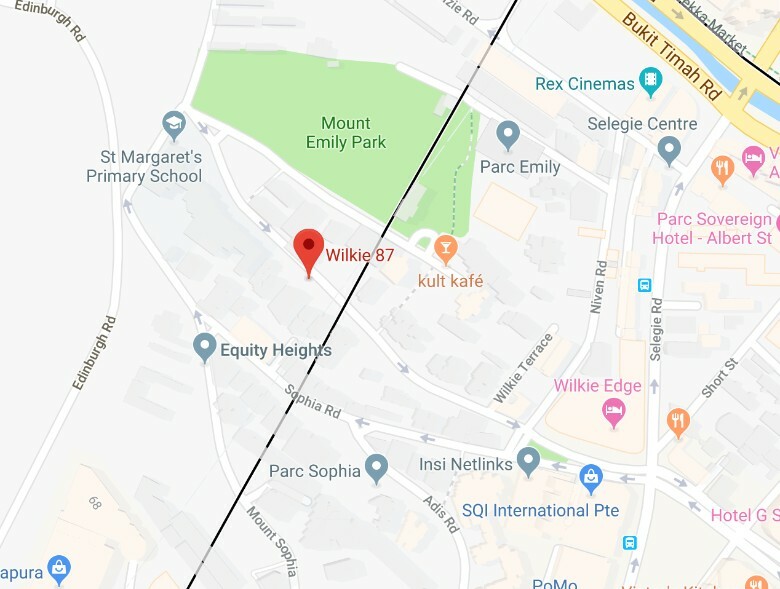 The development is situated 300m away from Tiong Bahru MRT station, which is about a 4 minute walk. If we look at recent transactions, in November 2017 the latest transaction in the development was a 980 sq ft unit that changed hands for $1.67 million, or $1,705 PSF. 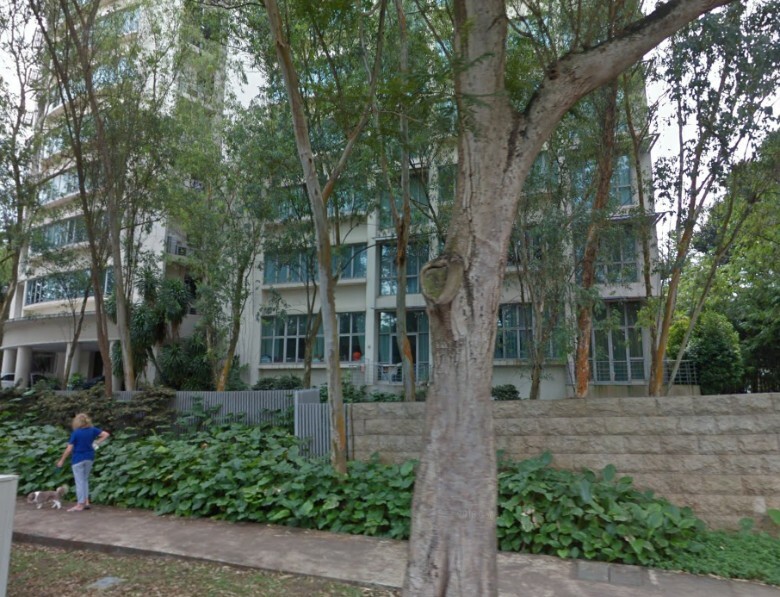 Venezio is a freehold apartment that is located at Upper East Coast in District 16. It was built in 2006 and has a total of 40 units. 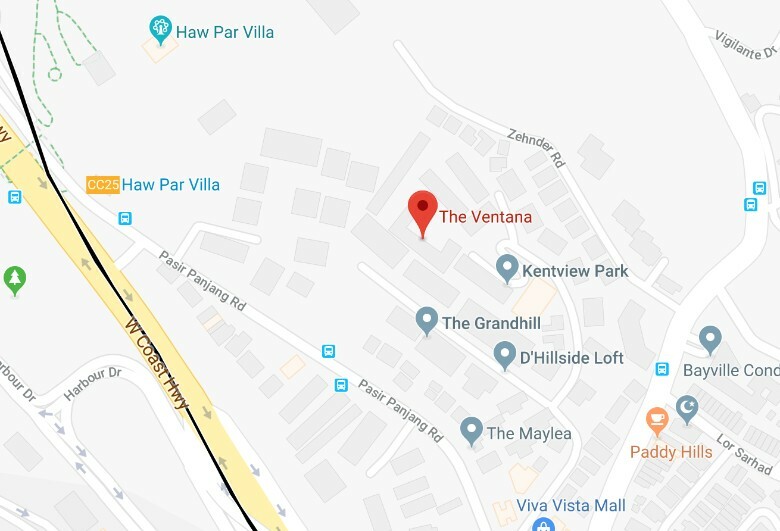 The development is currently located 1.43km away from Tanah Merah MRT station. However, when the Thomson-East Coast downtown line is up, Bayshore MRT station will be just a short walk away. If we look at recent transactions, in October 2017 the latest transaction in the development was a 1,313 sq ft unit that changed hands for $1.29 million, or $982 PSF. 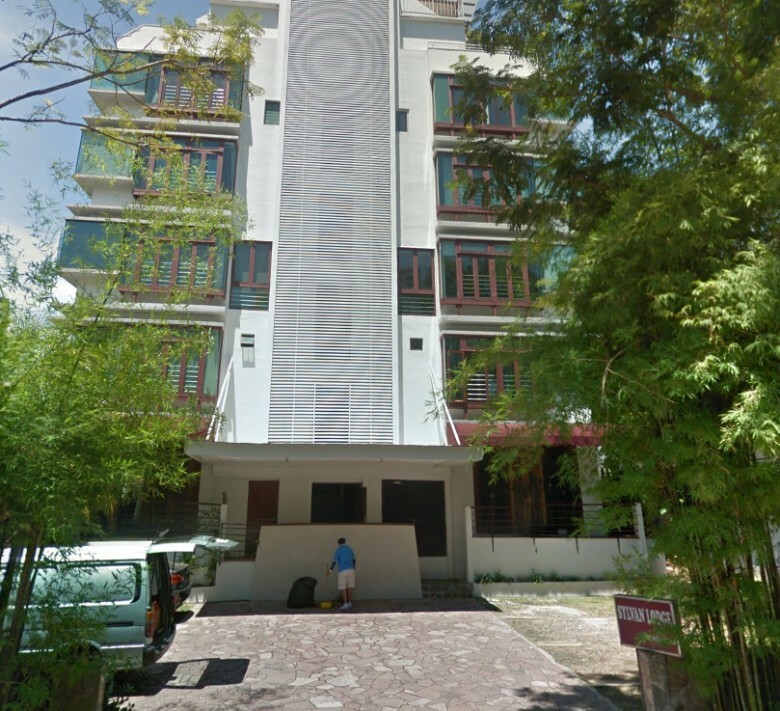 Villa Azura is a freehold condominium that is located at Cherry Avenue in District 10. It was built in 1999 and has a total of 53 units. 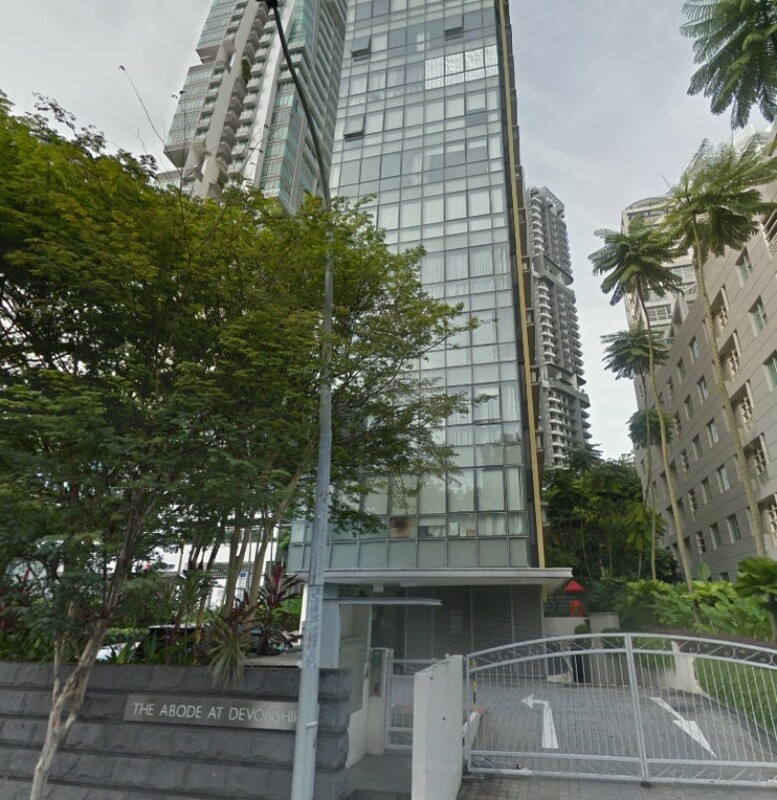 The development is situated 500m away from Sixth Avenue MRT station, which is about a 7 minute walk. If we look at recent transactions, in January 2018 the latest transaction in the development was a 1,335 sq ft unit that changed hands for $1.87 million, or $1,407 PSF. 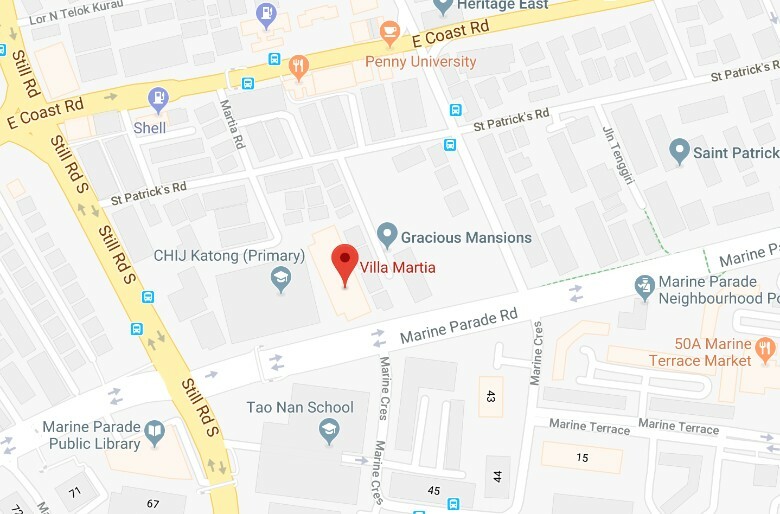 Villa Martia is a freehold condominium that is located at Martia Road in District 15. It was built in 2000 and has a total of 60 units. 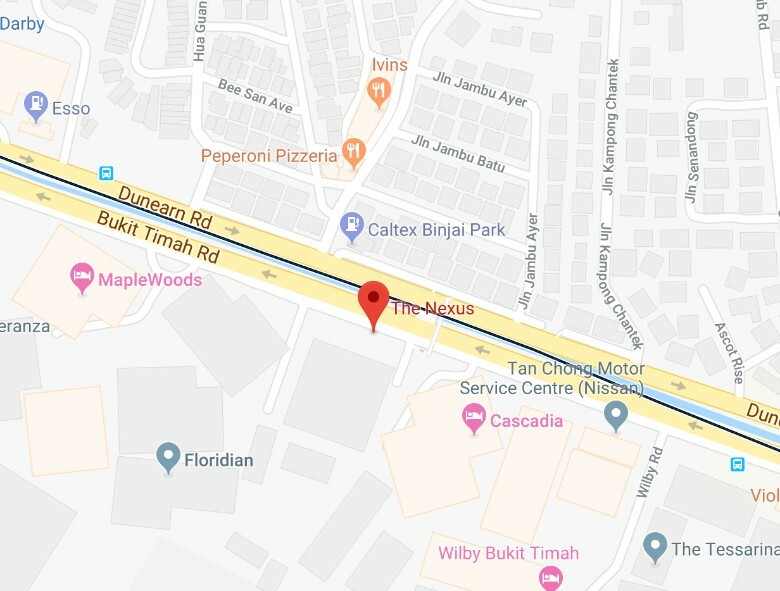 The development is currently located 1.56km away from Kembangan MRT station. However, when the Thomson-East Coast downtown line is up, Marine Parade MRT station will be just a short walk away. If we look at recent transactions, in May 2018 the latest transaction in the development was a 1,281 sq ft unit that changed hands for $1.68 million, or $1,312 PSF. 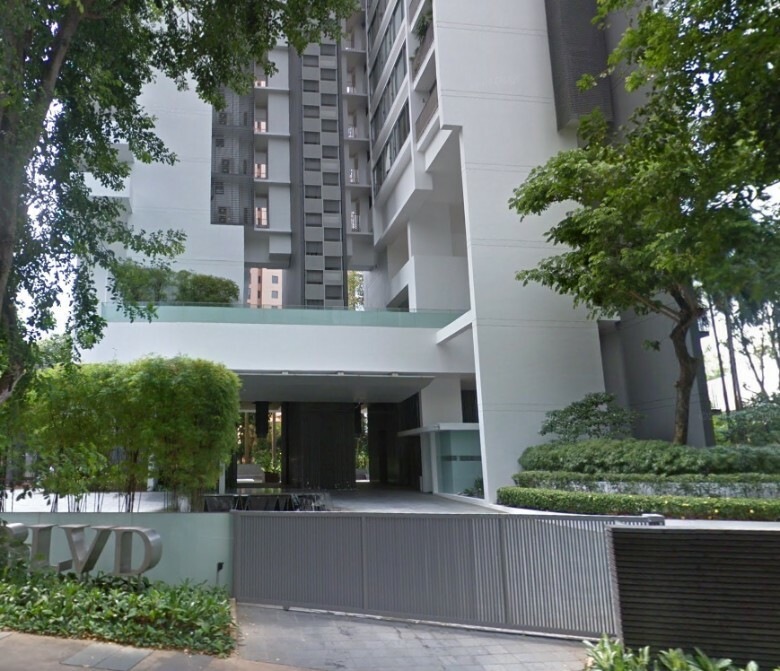 Visin Apartment is a freehold apartment that is located at Surrey Road in District 11. 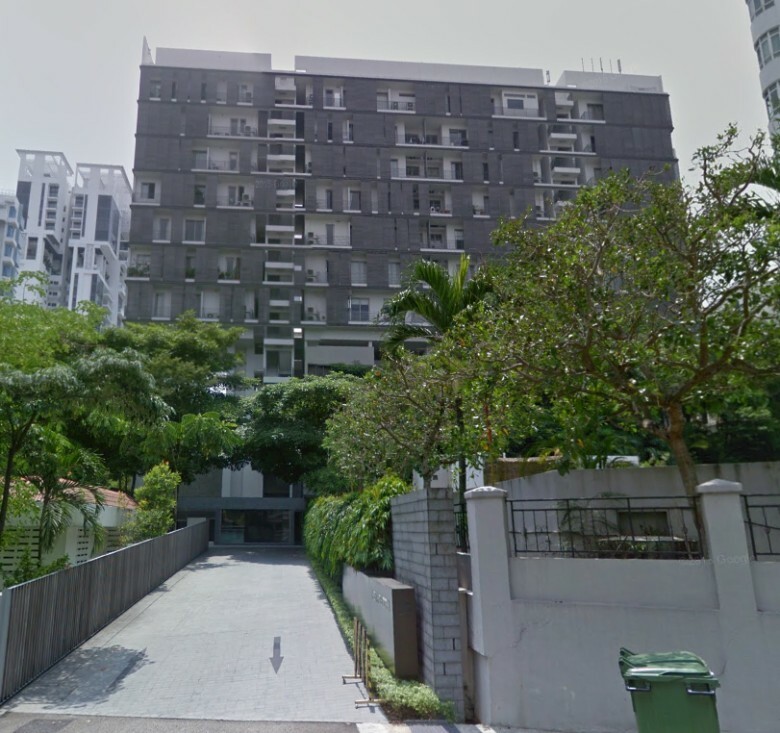 It was built in 2005 and the development is situated 500m away from Novena MRT station, which is about a 7 minute walk. 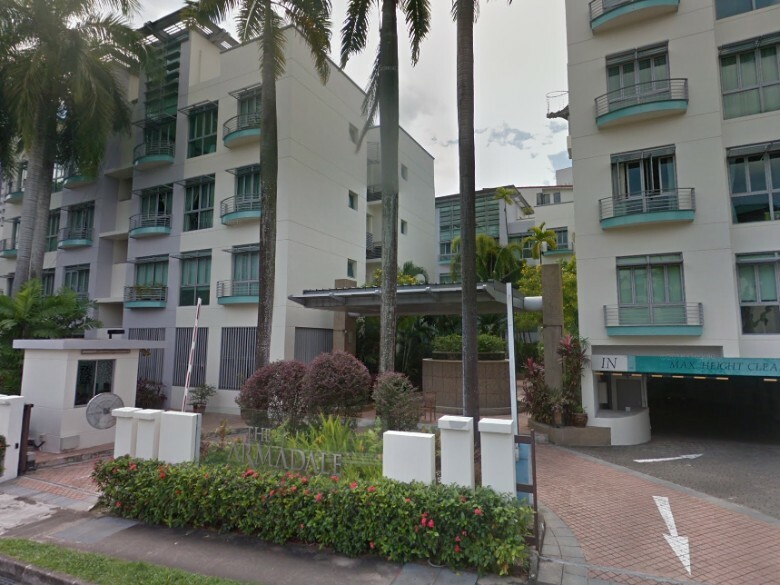 Visioncrest is a freehold apartment that is located at Oxley Rise in District 9. It was built in 2007 and has a total of 265 units. The development is situated 400m away from Dhoby Ghaut MRT station, which is about a 5 minute walk. If we look at recent transactions, in June 2018 the latest transaction in the development was a 753 sq ft unit that changed hands for $1.53 million, or $2,037 PSF. 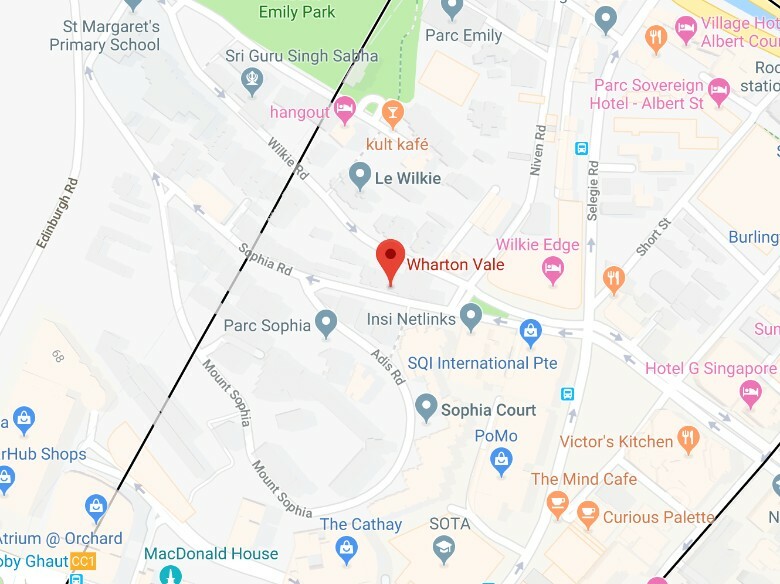 Wharton Vale is a freehold condominium that is located at Sophia Road in District 9. It was built in 2002 and has a total of only 14 units. 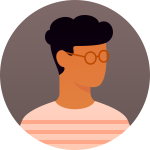 The development is situated 500m away from Dhoby Ghaut MRT station, which is about a 7 minute walk. If we look at recent transactions, in September 2017 the latest transaction in the development was a 1,991 sq ft unit that changed hands for $2.1 million, or $1,055 PSF. 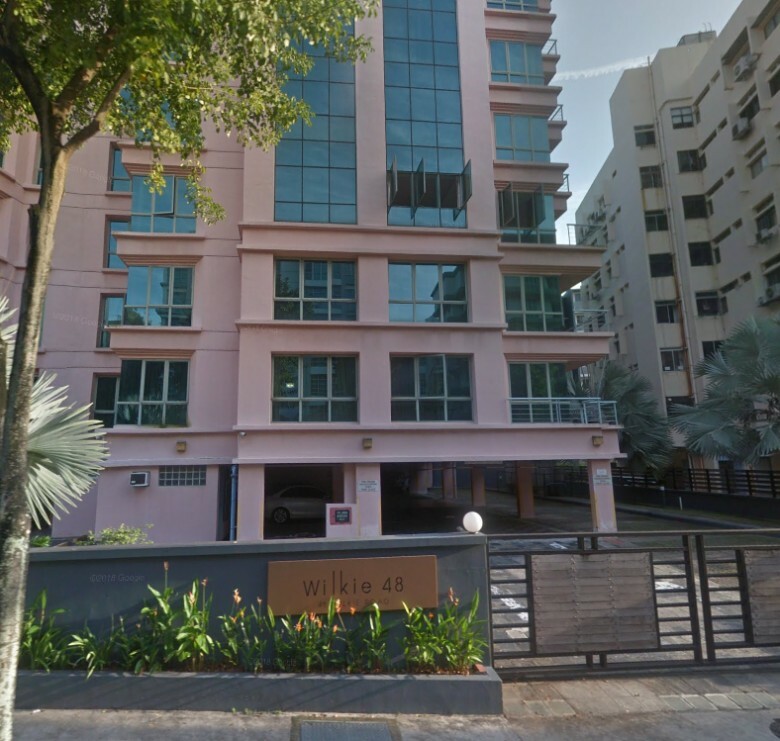 Wilkie 48 is a freehold condominium that is located at Wilkie Road in District 9. 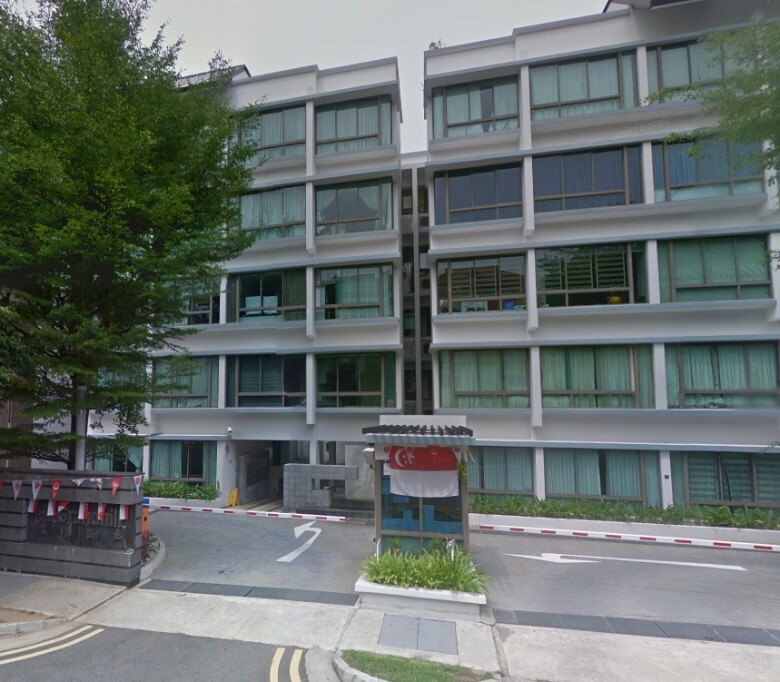 It was built in 1998 and the development is situated 500m away from Dhoby Ghaut and Bencoolen MRT station, which is about a 7 minute walk. If we look at recent transactions, in May 2018 the latest transaction in the development was a 1,292 sq ft unit that changed hands for $1.76 million, or $1,292 PSF. 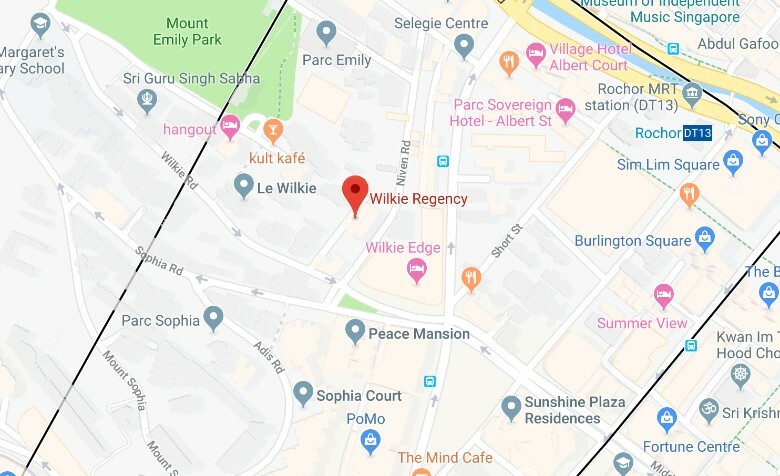 Wilkie 87 is a freehold condominium that is located at Wilkie Road in District 9. It was built in 2004 and has a total of 21 units. The development is situated 500m away from Dhoby Ghaut MRT station, which is about a 7 minute walk. If we look at recent transactions, in January 2018 the latest transaction in the development was a 1,227 sq ft unit that changed hands for $1.62 million, or $1,320 PSF. 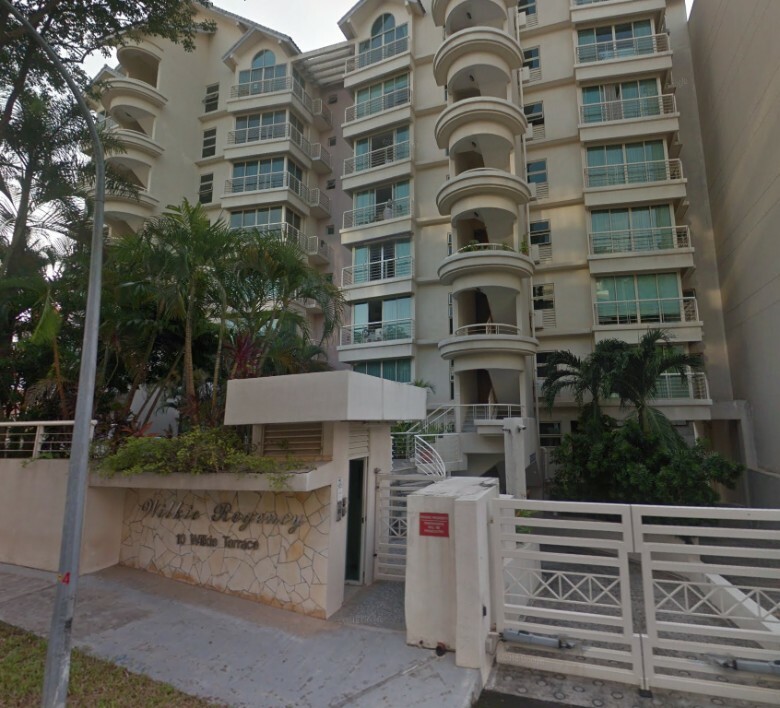 Wilkie Regency is a freehold apartment that is located at Wilkie Terrace in District 9. It was built in 2002 and has a total of 30 units. 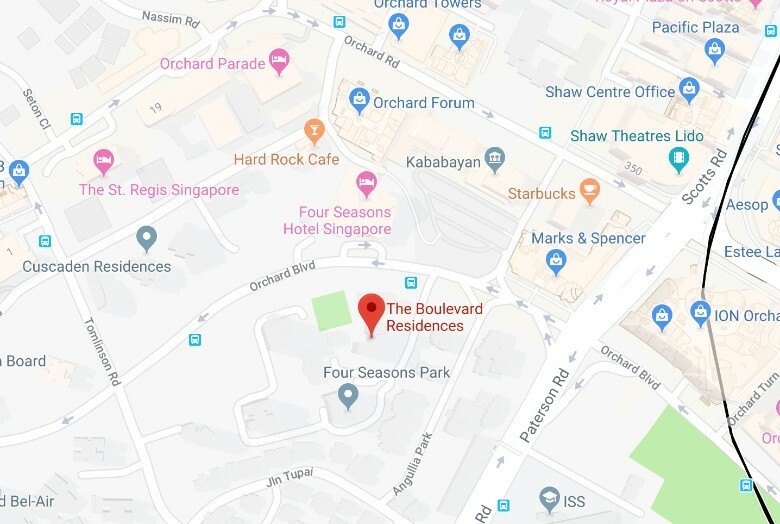 The development is situated 500m away from Dhoby Ghaut, Rochor and Bencoolen MRT station, which is about a 7 minute walk. If we look at recent transactions, in May 2018 the latest transaction in the development was a 829 sq ft unit that changed hands for $1.25 million, or $1,508 PSF. 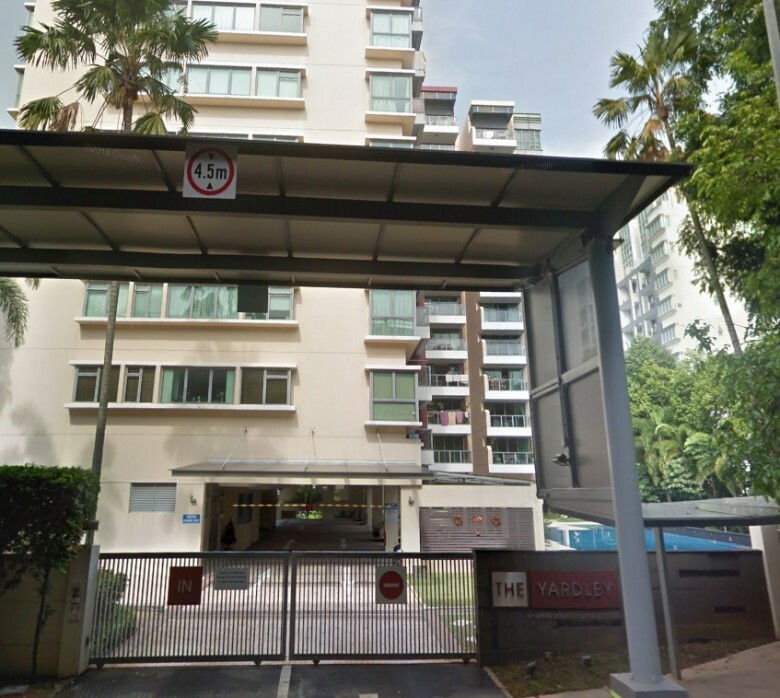 Wilkie Vale is a freehold apartment that is located at Wilkie Road in District 9. 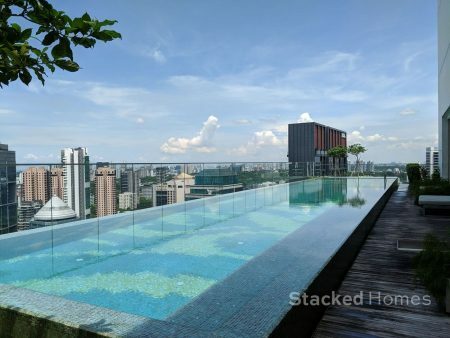 It was built in 2001 and the development is situated 500m away from Dhoby Ghaut and Bencoolen MRT station, which is about a 7 minute walk. 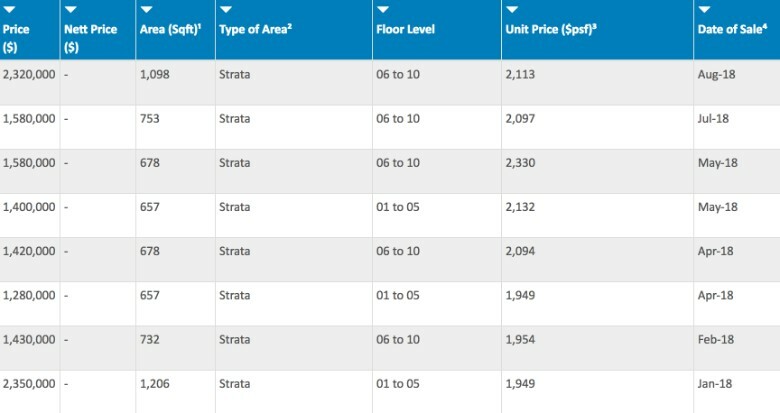 So that rounds up the end of part 3 on our series of condos with future en bloc potential in Singapore! If you have not done so already, here is Part 1 and Part 2. As always, feel free to leave a comment below or you can always reach out to us at hello@stackedhomes.com! Why Sunny Spring is not in your list?